Unicomer Group knows that working for a better world is the responsibility of all those who make up society, in this sense the group promotes the active participation of its employees in the development of their communities. On this occasion they carried out the Second Volunteer Week which seeks to improve the lives of thousands of people through different activities that will be taken on by volunteers. This year the Volunteer Week consists of three activities which will be developed with the support of more than 25 volunteers from Unicomer Group. The volunteers will embark on painting the entire Night Shelter at Rose Place and made a further donation of folding beds to outfit the rooms that will be made available to persons who will benefit from this project. This shelter is operated by the Catholic Church (Ladies of Charity organization). It is their hope to provide accommodation to at least 6 persons nightly. Volunteers will also cook and fed the homeless that come for daily lunches for two days. Approximately 75 less fortunate persons visit the Loaves & Fishes Soup Kitchen every day for a hot meal. The Lewis Punnett Home residents will enjoy a visit on Thursday 9th March by a group of Unicomer Volunteers who will present them each with a personal gift bag. The institution will receive folding tables and chairs to make recreational seating more comfortable for the over 76 persons that call the institution home. Unicomer staffers will interact with the elderly through song and games and bring some much needed cheer at this time. The third project is to establish a library for the Salvation Army Home for Children in Pembroke. An erection of bookcases and study desk to provide a comfortable environment and, further encourage the young children to explore the world of books through reading, will be done. This visit will also give the staff an opportunity to interact with the children through games and fun activities. Approximately 20 children are housed at this facility that is established to place children that come from dysfunctional families. Volunteer Week is executed in the 24 countries where the Group operates, involving more than 1,500 volunteers, who work in the construction of houses, revitalization of schools and public spaces, improving the lives of thousands of people and creating social value for the communities. 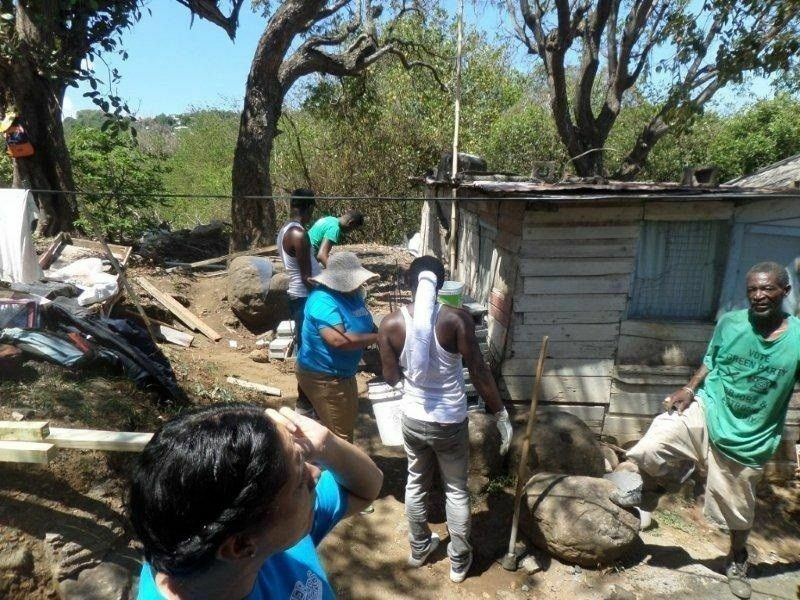 Unicomer Group is concerned for the development of the communities and their employees, and with these volunteer projects it manages to impact the lives of its public in a positive way. Unicomer Group was founded in 2000, when it acquired the retail operations in Central America of the Dutch multinational CETECO and is formed by several chain stores including Courts, which offer the consumer a wide selection of electronic products, appliances and furniture. After 17 years, Unicomer Group is consolidated as one of the most important Salvadoran corporations, with a presence in Central America, South America, the Caribbean and the United States. Unicomer Group is a company that operates 24 countries from El Salvador, where the Salvadoran vision is present through its headquarters, with more than 15 thousand direct employees and offering its customers the most extensive and modern product line of the Home to credit. With the mind focused on its customers, Unicomer Group seeks to offer a range of added values to help you obtain credit for those looking to start a business. Therefore, it gives the opportunity to micro and small entrepreneurs offering them attractive financing plans that they could not obtain in traditional ways. Social Responsibility is one of the priorities for Unicomer Group, developing programs and initiatives that contribute to improve the quality of life of its collaborators and communities, working opportunities that generate social, economic and environmental value. Social value is generated with programs that support education, such as infrastructure improvements, academic reinforcement programs, donation of desks, eye glasses, among others. In addition, they support the development of vulnerable populations with programs that contribute to ensuring a good quality of life. In economic value, they support the growth of Small and Medium sized businesses with programs that provide management tools to grow their business. In environmental value, it seeks to reduce the environmental footprint with programs of correct recycling of electrical and electronic waste. 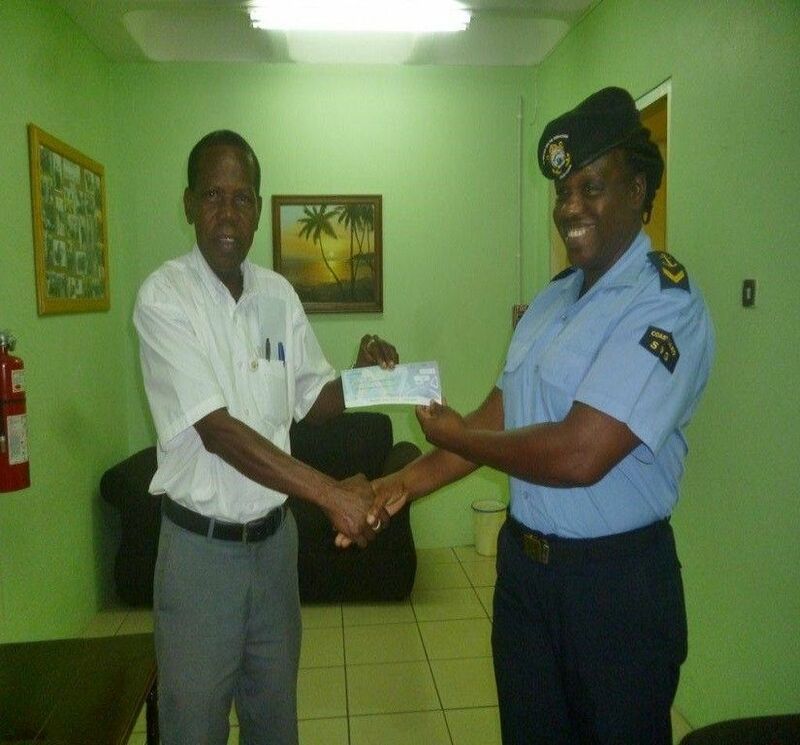 An official handover was done today, Wednesday 22nd February 2017, to Colville Harry of NBC Radio 705 by Courts Commercial Officer Lisa Veira. A request was made by the station to help reintroduce their outside broadcast of “Community Voices” which started in 2010, which is a series of programmes which showcases the cultural, social, spiritual and cultural life in various communities throughout St Vincent & the Grenadines. Due to loss of their sound system earlier last year they were unable to complete and continue the series. Courts was able to step in and donate Technical Pro self powered speakers to assist with this non commercial activity that will be aired every Saturday morning for an hour on the station. “We are pleased to be able to afford listeners- both home and abroad the opportunity to tune in to and be inspired by these community stories. NBC Radio and Courts have a long standing relationship and we are more than pleased to have this grow through these programmes” stated Veira. As Peak 1 promotion comes to an end, four lucky persons walked away with smiles and their pockets fuller. This campaign dubbed “The Season is here” ran from September 23rd and ended on October 26th. Customer shopping during this period had the chance to pay Nothing Down and Nothing Until January 2017. Free gifts were also given to all furniture transactions. 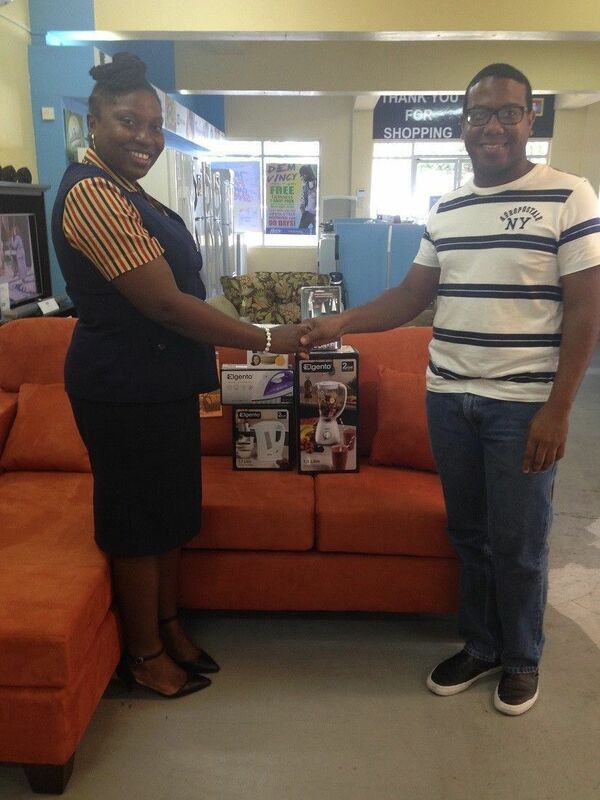 Casseta Samuel Bute of Diamond Village won her Woodhouse purchase free having chosen the Carlisle chair set for her home. Mrs Bute was very elated as she “never won anything in her life before’. The Diamond Village resident promises that this is not her last purchase and encourages other persons to shop at Courts. 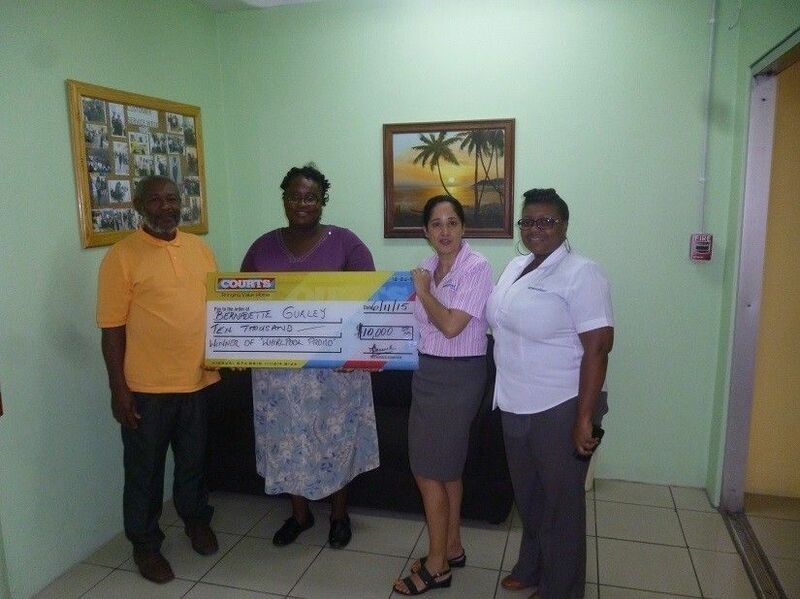 Vilma Samuel Glasgow – a customer since the days of Geddes Grant won her dining purchase free after setting her eyes on the Kayla 5pc dining. She was also very happy to have received the call stating that she was eligible for a full refund of her purchase as she had done a cash transaction. Mikalla Knights was our third winner as she won her Esmeralda wardrobe free as part of the promotional offer. Hailing from Sion Hill, she explained that she was glad to have made Courts her place of choice for her furniture needs. 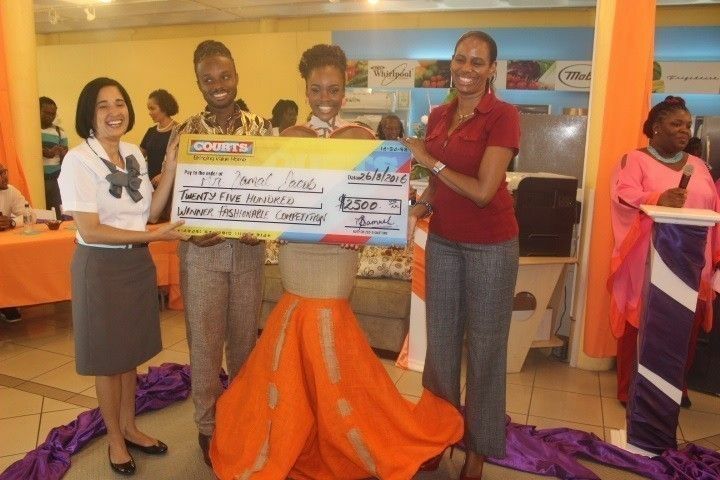 The biggest winner was $8000 richer compliments Whirlpool Loads of Cash offer. Pamela Sam of Edinboro claims it was fate that she had won, as she said from the minute she made her purchase, she prayed that her name could be picked. “I am speechless… this is a wonderful feeling. I am thankful to Courts for putting me in a better situation financially”. 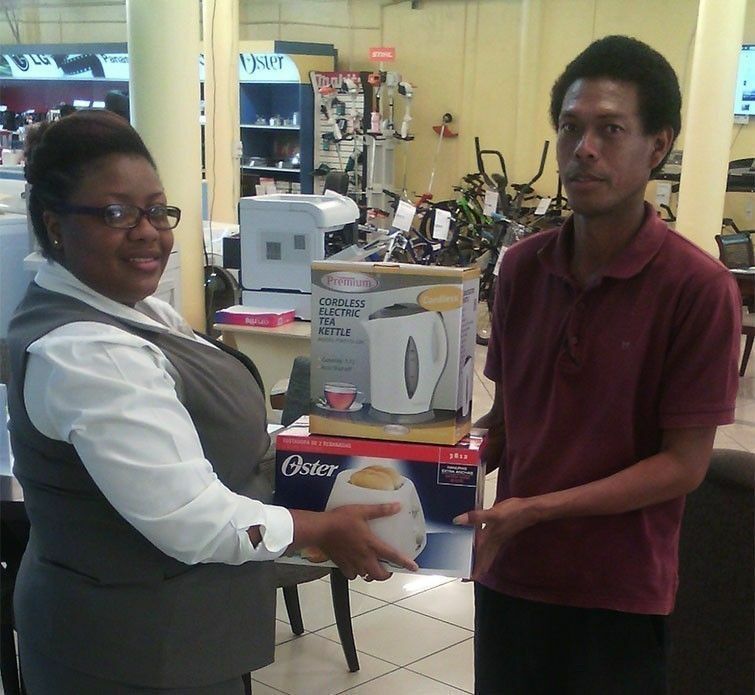 Persons had to buy any Whirlpool product to be eligible for the draw. 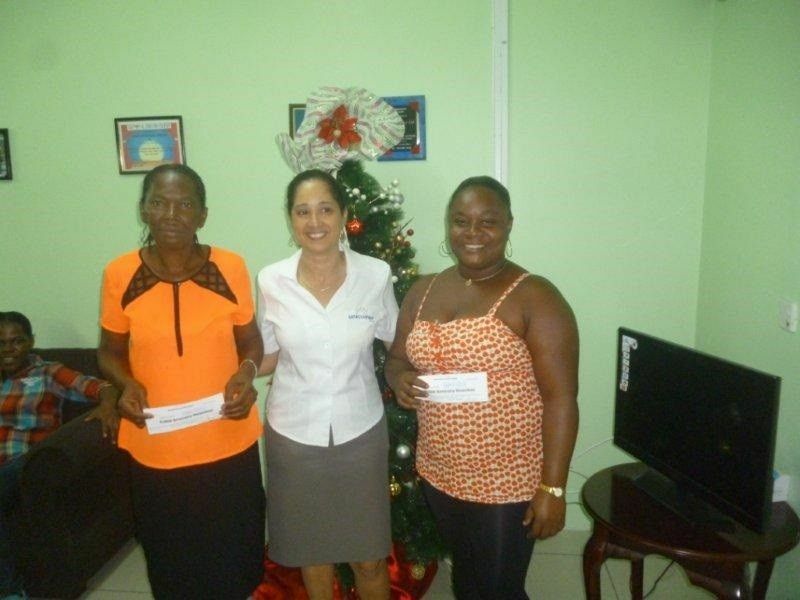 Courts thank all our customers who took part in this first Christmas promotion, and encourages Vincentians to look out for our new campaigns that get even better as the Season gets closer. 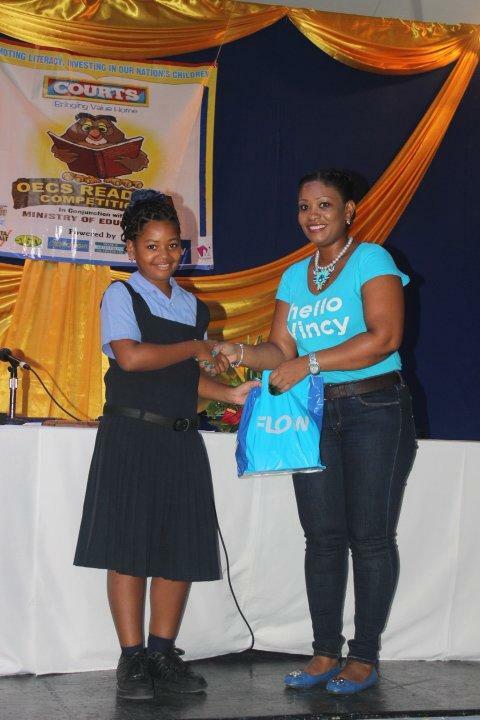 Kaylee Robertson, this country’s candidate for the 2016 edition of the Courts OECS Reading Competition, says that she believes that she can bring home the elusive trophy to St Vincent and the Grenadines.Nine year-old Kaylee, a student of the Stubbs Primary School, earned the right to represent her country at the competition, slated for St Kitts & Nevis this year, when she won the local leg of the event last week Friday at the Peace Memorial Hall in Kingstown, defeating six other schools in the process. The Kingstown Preparatory School’s Kaige Cruickshank placed second, while Azaria Commissiong of the Windsor Primary School came third. Kaylee said that she is nervously looking forward to the regional finals.“I feel a little afraid but I think I can do it this time. I think I can win and bring home the trophy. 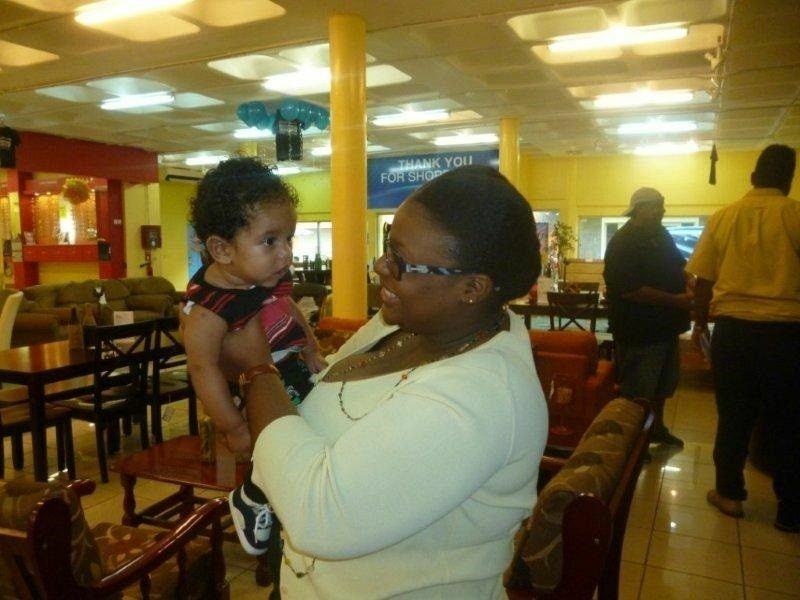 If I win I will jump and hug my mom and I will be so happy,” excited Kaylee said in an interview after Friday’s event.The youngster is not the only person hoping for a regional win, local organizers are hoping that the Vincentian drought would come to an end, since St Vincent and the Grenadines has not won the event since it began eight years ago. Officials felt that previous local finalists came extremely close to winning the title, and hope that Kaylee can break the spell, and “bring home the bacon” for her country. Kaylee credited her teacher Miss George and her mother, who inspired her, for the victory, and thanked Courts for the opportunity to represent her country. 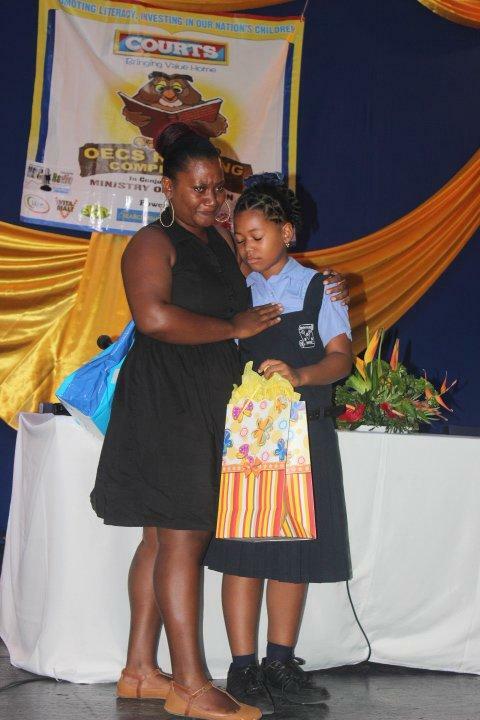 She was also thankful for the support she received from her school mates and her school, and especially excited about the prizes won, which includes: A smart Phone from Flow, A Tablet from Searchlight Newspaper, $2000, along with other prizes from Better brands, St Vincent Brewery (Vitamalt), Jujube Bookstore and OSV. Kaylee said that she thought the competition was good, and enjoyed both reading pieces; a narrative, and a news report. She indicated that she will be taking preparations for the regional finals seriously, and that she is very “happy and excited” about winning and going overseas. “I am actually going to spend some extra time reading, and spend time with the teacher and stay back at school in the evenings, Kaylee said. Courts Commercial Officer Lisa Veira, thanked all the participants especially the sponsors for making this event a tremendous success. “We are advocates for reading. We want to eradicate illiteracy one student at a time,” she stressed. It is the company’s dream to develop the youngsters and remove any obstacles for their achievement through this programme. As the month of September comes to a close, Courts St Vincent Ltd was delighted to hand over to the recipients of the Bedding promotion – their prizes. Project Pink’s PRO Laferne Fraser was also presented with a cheque for $4500 as part of Courts contribution to their organisation. Part proceeds from every mattress sale done in September went towards this NGO that works closely with cancer stricken victims and families of those affected by the disease. “We thank Courts beyond words for choosing us as the recipient of this donation. This disease is an expensive one and we are really hoping that a cure is found soon so that we can, once and for all, eradicate it. We wish the company all the very best especially as they head into their Christmas season. We also look forward to many more partnerships like this in the future”. Commercial Officer, Lisa Veira thanked the recipients and assured them that this is not the last time Courts would be congratulating winners or making donations. 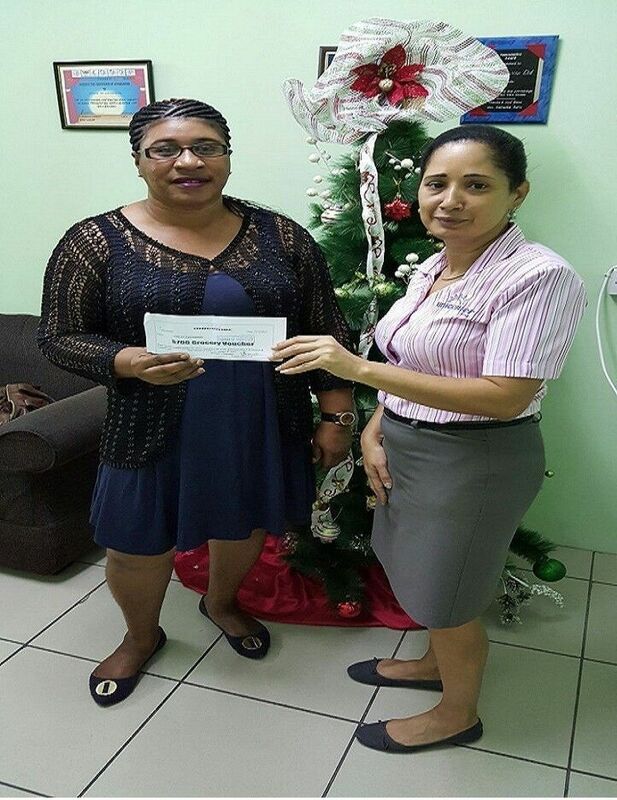 “We truly appreciate the work that Project Pink is doing for Vincentians and we hope that we can do more for this NGO in the future. You haven’t heard the last from us. We would like to work closely with organisations like this to make an impact in the communities but moreso in the lives of individuals”. 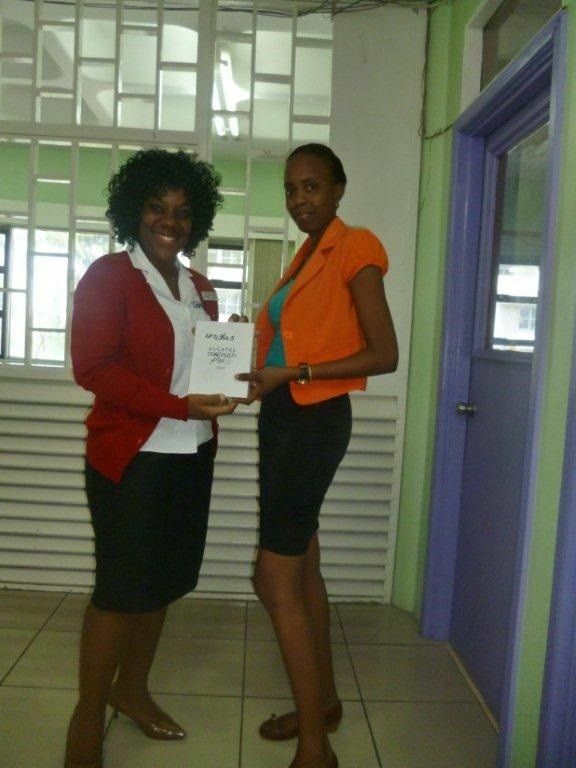 As the month of September came to a close, we had a series of winners that benefited from the promotion. 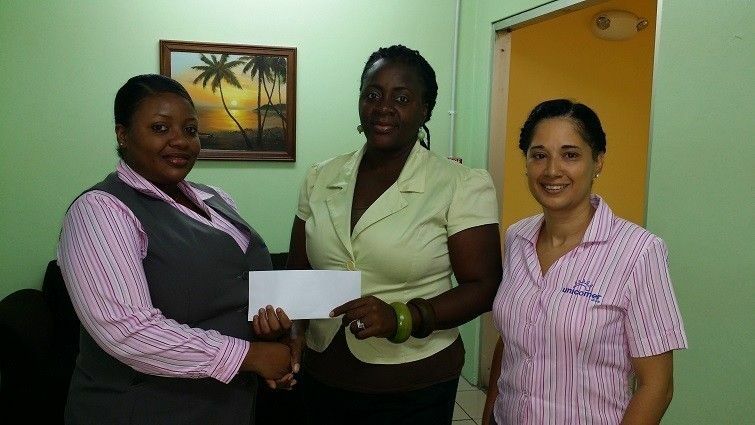 Project Pink an NGO that works closely with Cancer survivors and their families will receive a cheque for $4500. 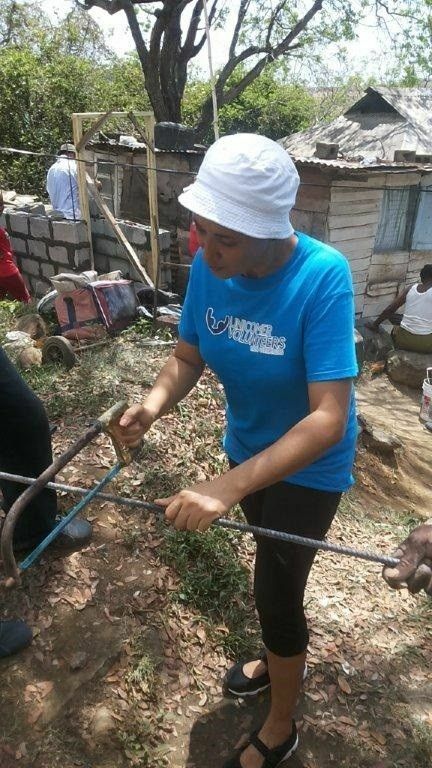 Every mattress sold during the month, part of the proceeds went towards the organisation. Courts was very humbled to partner with such a fantastic group that does so much for persons stricken with this disease. 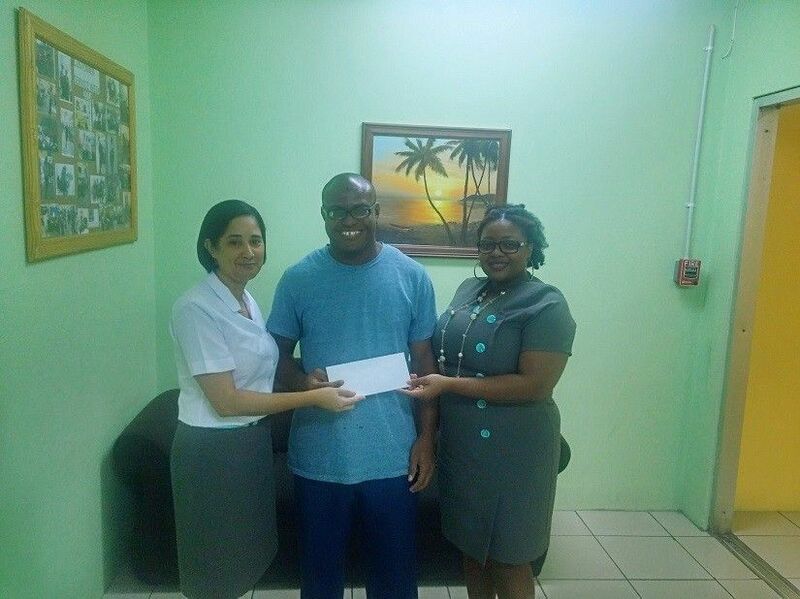 Another lucky person that walked away happy was Mr Duan Ferdinand of Rose Hall who won himself a mattress full of cash which amounted to $2000 ECD. Customers shopping during the bedding campaign and making a mattress/bed purchase had a chance to enter in the draw. 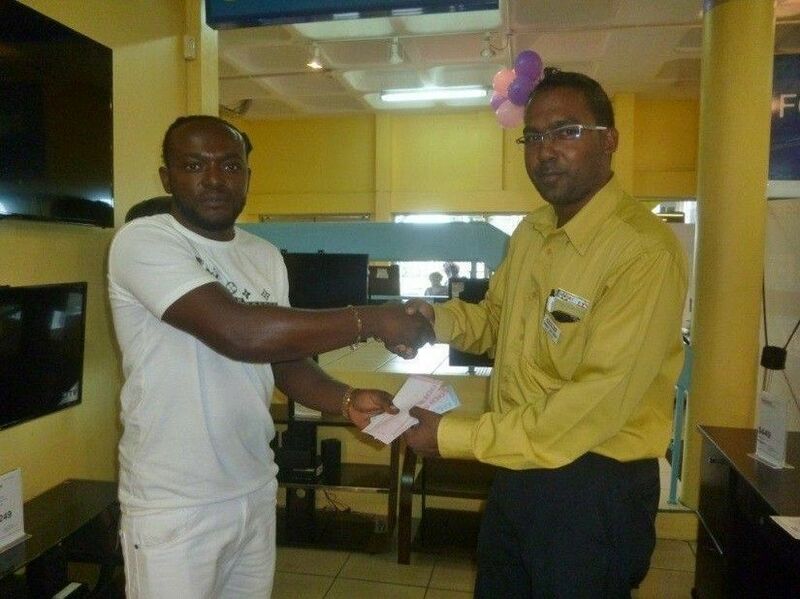 Mr Ferdinand whose last purchase was in February 2013 was elated when called about his winnings. He has no immediate plans for the money but thanked Courts for the much needed cash that according to him” will always come in at a good time”. He encourages other persons to shop at Courts and take part in the promotions citing that the next winner could be YOU!! 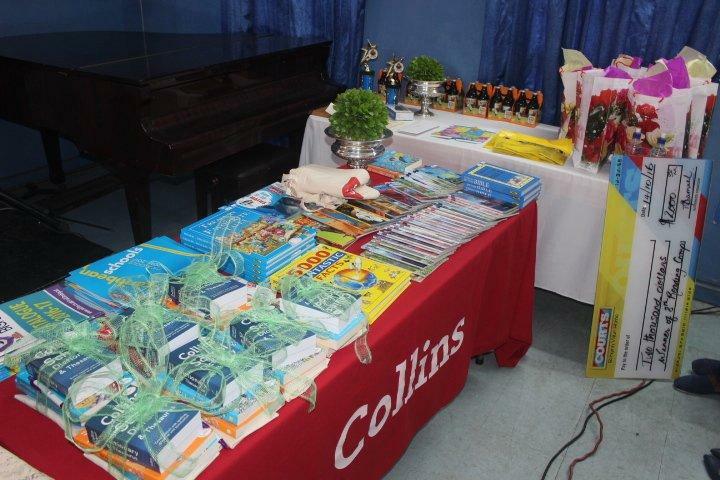 The finalists for the 8th edition of the local leg of the Courts OECS Reading Competition will be selected this week.The seven students will be selected from the 65 primary schools in St. Vincent and the Grenadines that were involved in preliminary competition all week long, at the Ministry of Education’s Curriculum Unit in Kingstown. 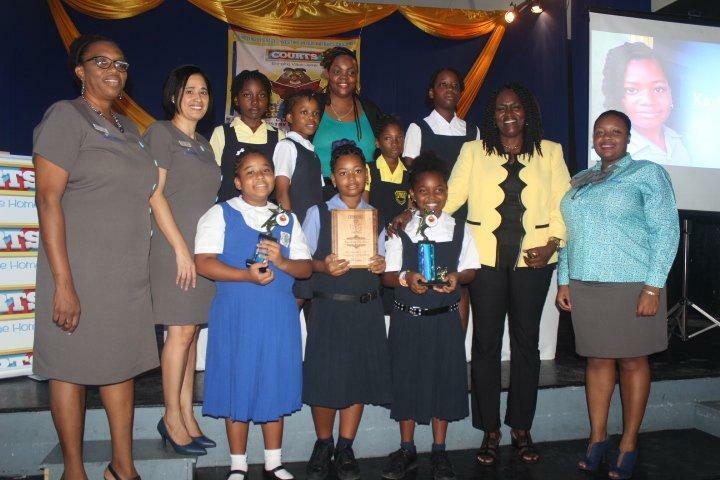 The students competed in eight zones: Grenadines, Kingstown, North Leeward, South Leeward, Georgetown, Union, Marriaqua and Calliaqua.On Thursday last week, Courts launched this year’s competition, at the Spring Village Methodist School, home of last year’s national winner Joelle Campbell. Campbell, who celebrated her 10th birthday on the same day, said during a school assembly that the occasion was a glorious one for her. 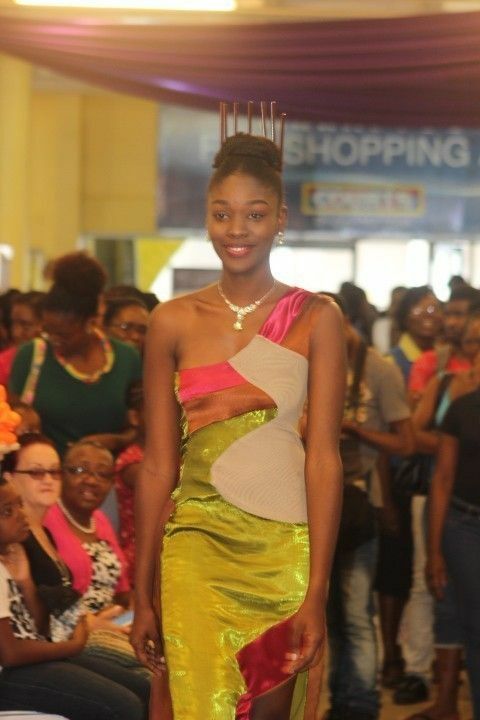 She thanked Courts and the Ministry of Education for the opportunity to represent St Vincent and the Grenadines on the regional stage, and wished her school’s next competitor Leah Millington the best of luck during the preliminaries. Education Officer Albena Jack, who was present at the launch, used the opportunity to commend Campbell for her performance at the finals, which she described as flawless. Although Campbell did not win, Jack indicated that the student did her best and that all of St Vincent and the Grenadines should be proud of her effort. 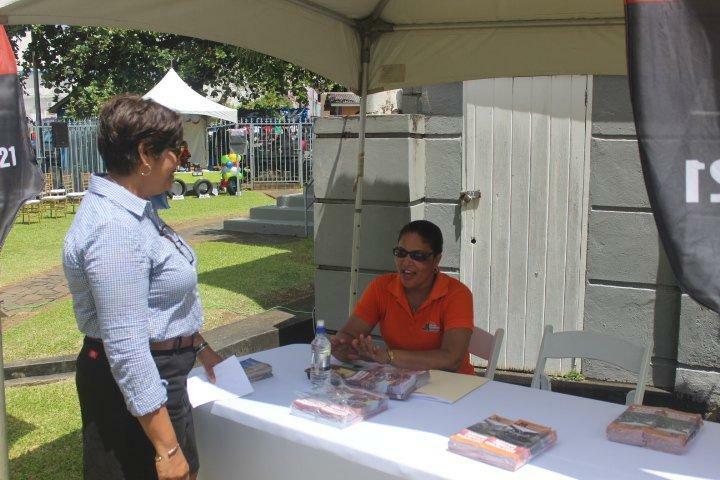 Courts Commercial Manager Lisa Veira also praised and thanked Campbell, as well as the Ministry of Education for making the event, which is in its 8th year a success. 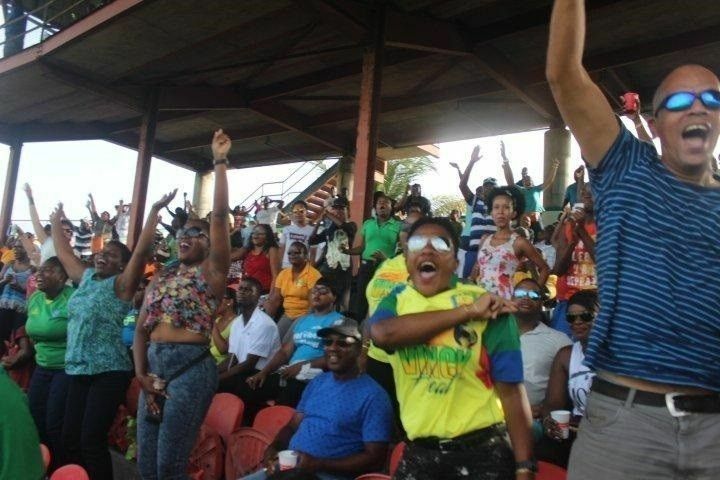 Veira, like many others, are hoping that St Vincent and the Grenadines would finally be able to bring the title to these shores. This year’s finals will to take place on October 14 at the Peace Memorial Hall, with the regional finals taking place in Nevis later that month. Courts St Vincent limited – the Caribbean’s leading retailer of the most comfortable and affordable Bedding items - will be this year throwing its support behind the Project Pink SVG initiative. 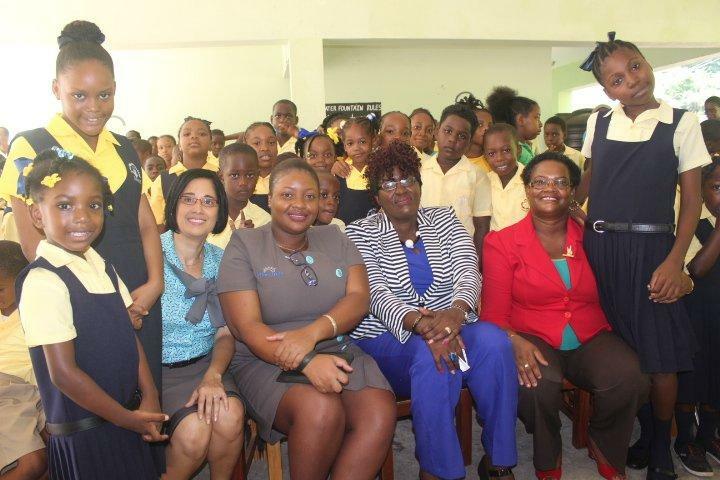 The furniture, appliance, electronics and optical provider will make a donation to the charitable organization, which promotes cancer awareness and treatment in St Vincent and the Grenadines. “We are pleased to be aligned with Project Pink, as cancer can affect anyone, including our own families, staff members and customers, and we are glad to know that Courts is playing a part to fight cancer in this way,” Courts Commercial Manager Lisa Veira indicated. “We look forward to working with this group and helping whichever way we can to put cancer in its place,” Veira added. In its “Sleepy Days Ahead” bedding promotion to support the campaign, Courts will donate a portion of every mattress sold to the organization, with the hope of raising over $5000. Customers are also in for a treat with this promotion, as they can pay Nothing down and Nothing to pay for 90 days. Customers will also get free pillows and bed sheets with their purchases. One lucky customer will also win a mattress full of cash with the purchase of any bedding from Courts. 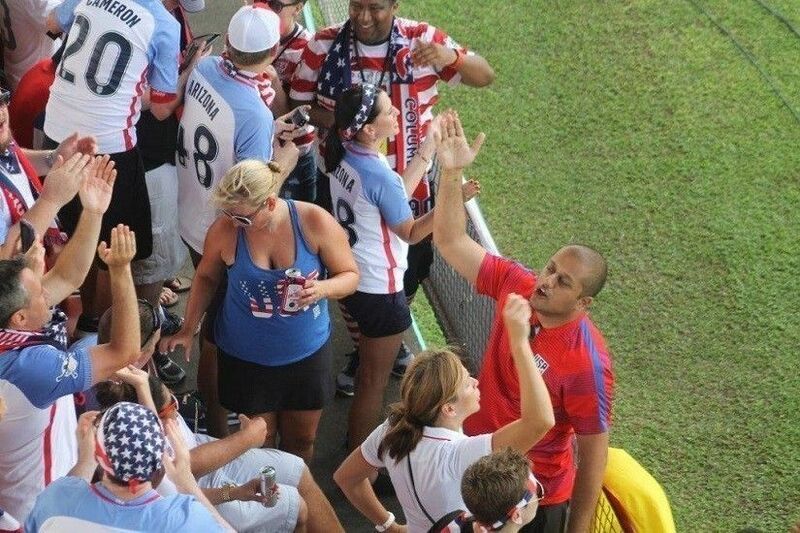 Despite Vincy Heat’s loss to the United States Men’s National Team in a FIFA World Cup qualifier, five customers of Courts St Vincent Limited said that the experience of being at the game was one to remember. On Friday September 2, the five customers: John Williams, Enika Ross, Dianne Smart, Manson Cuffy and Elspeth Latchman, were on hand to witness the historic match, where Team SVG was defeated six nil by the USA. The customers were accommodated by Courts in a private box, after winning tickets to the game through a Courts Promotion. 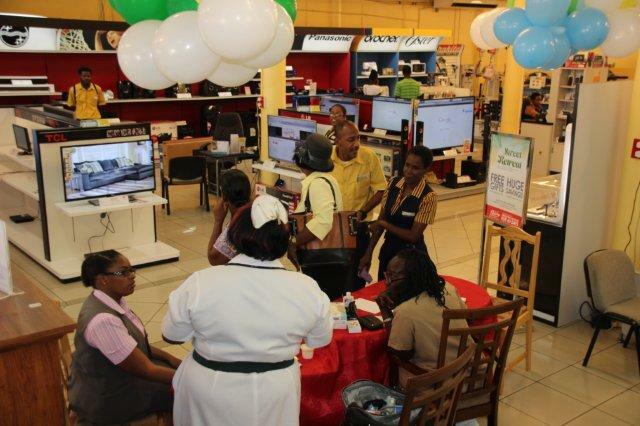 During the promotion, customers spending $999 or more on any furniture, appliance, electronics or optical service, became eligible for the draw, which took place the day before the match, which took place at the Arnos Vale Sports Complex. The winners were treated to drinks and snacks, and of course the comfort of viewing the match from a private box. After the game, although they were disappointed with the results, the customers said that they were pleased to be able to view the game, and thanked Courts for the opportunity to do so. The customers noted that the privilege might have been a once in a lifetime opportunity, and were grateful for the experience. Courts Commercial Manager Lisa Veira congratulated the winners for being a part of the promotion and making it to the game, and noted that many more surprises and opportunities await Courts customers, who make the store their home and health fittings provider of choice.”You never know what’s in store as a reward for shopping at Courts,” Veira said. 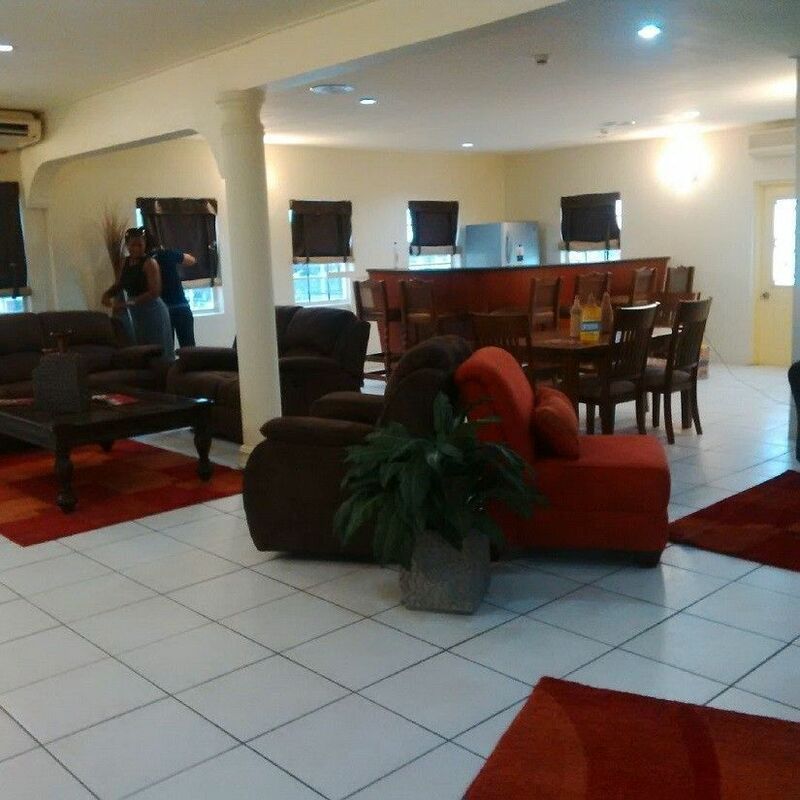 When The World Cup qualifier match plays on Friday 2nd September, officials and dignitaries seated in the Presidential Suite of the complex will be enjoying the view in elegance as Courts St Vincent Ltd was selected to outfit and decorate the venue. Courts St Vincent Ltd welcomes all visitors to our shores who will be attending the match and wish both teams (USA & SVG) all the best as they vie for the next round of the World Cup Road to Russia Competition. Courts …… Bringing Value Home!!! Up and coming designer Jamal Jacob says he is feeling great after winning the Courts Fashionista Competition, for the second straight year. Jacob, whose piece captured the imagination of the judges and the hundreds of persons who flocked the Courts showroom floor to get a view of the 12 pieces that were paraded last Thursday, also thanked Courts for giving him the opportunity to showcase his talent to the public. 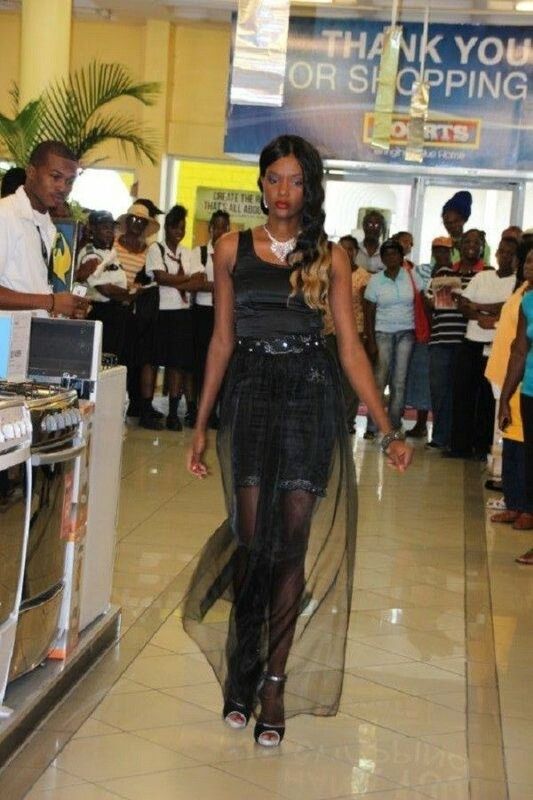 The dress, modeled elegantly by Rondine Browne was inspired by the Claude furniture line, which is available exclusively at the Furniture/Appliance/Electronics and Optical store. He said he hopes to move on to bigger things, and is not sure about next year, because he wants to give others a chance to shine. “My advice to young and upcoming designers like me is to be brave. I know you have the talent so you need to show it.” The self-taught designer said that he has been designing and making clothing for the past three years, after looking at his friends design and sew, and asking questions and getting help from acquaintances. For winning the competition Jacob received $2500, along with other prizes, with Chenise Hendrickson placing second, and Owen Paul third. Jacob believes that Courts Fashionista Competition is a great way to have designers showcase their abilities with little to no pressure. He praised Courts for the opportunity that the show is giving persons like him, and says he looked forward to the event continuing long into the future. 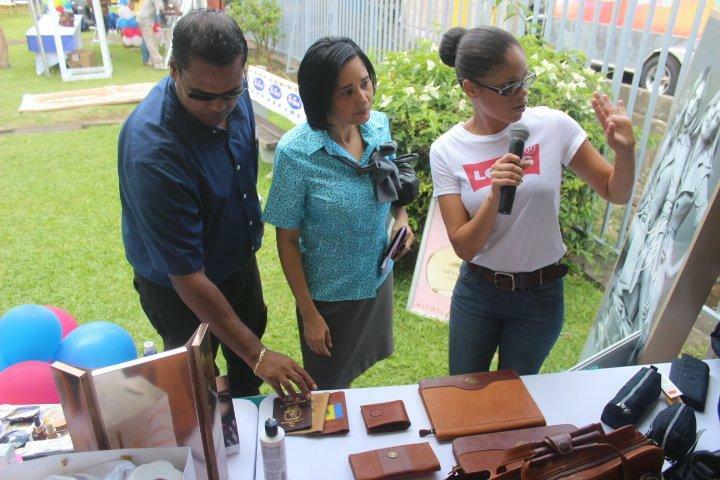 Courts Commercial Manager Lisa Veira congratulated Jacob and the 11 other designers who took part in the competition, and indicated that the event was a successful one, mainly for highlighting the talent of Vincentians. “We at Courts are happy to be able to create an avenue for talented Vincentians to show their abilities. This is just one way in which we do it and by all accounts, it is very successful,” Veira said. “Courts thanks all the participants and their teams, the judges and of course the many persons who came in and supported them and us in this venture,” Veira added. Courts St Vincent is bringing an added valuable service to customers and shoppers around St Vincent and the Grenadines. 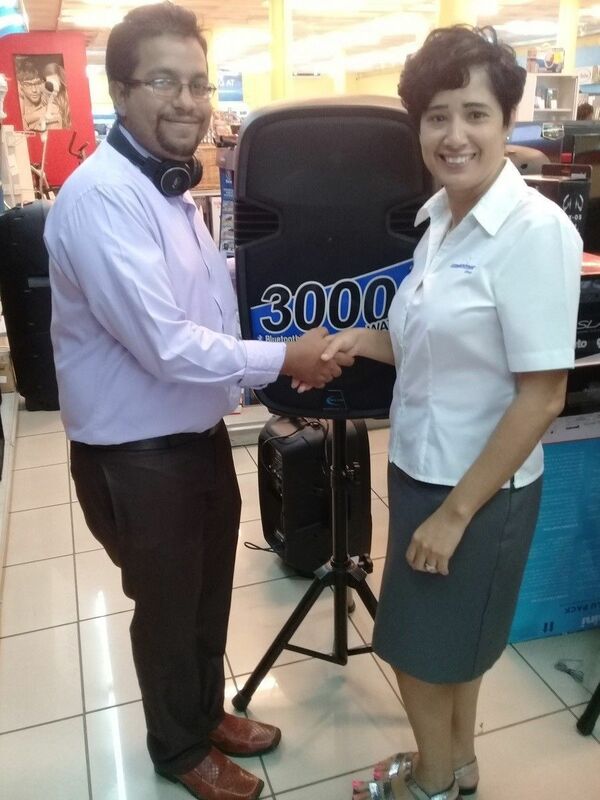 This week, the furniture, electronics, appliance and optical solutions provider announced that it is now offering sales financing, for customers to shop at a number of local partner vendors and retailers, from a minimum limit of $299 to a $30000 maximum. Courts Commercial Manager Lisa Veira said that the initiative is geared towards Courts assisting its customers to purchase products and services that are not available at courts, without having to worry about making payments to these business associates. “All you have to do is identify what you want or need at our partner vendor, and come to us to make a financing application. “Once that application is approved, we pay upfront the cost of the item to the business place, and the customer repays Courts on a monthly basis, according to our agreement,” Veira said. Veira indicated that the partnership works well for all involved, giving customers increased buying power. “We have realized that we are unable to service all of our customers’ needs within our four walls here at Courts, so we are giving them the opportunity to get more and do more by working with our partner vendors to provide the goods and services that they, our customers want and need. The list of Courts partner vendors in this initiative consists: Adams Brothers Engineering, Cash Money Auto, Dekie’s Auto Zone, Express Data Systems Ltd, Fabric Plus, Fine Things, GCK Investments, St Vincent Jewellers,, Generl Importers, Haydock Insurances, Joche Moments, Metrocint Insurances, SVG Tire Sales and Services, The Trend-LEVI’S, General Hardware Supplies, Third Eye Security, Fanfare Events, Nightingale Book Shop and Lewis Auto World. The winner walks away with $2500, second place $1000 and third place $500. Competition starts at 12pm and contestants will create a design that mirrors a furniture products that is highlighted in the Home Furnishings brochure. 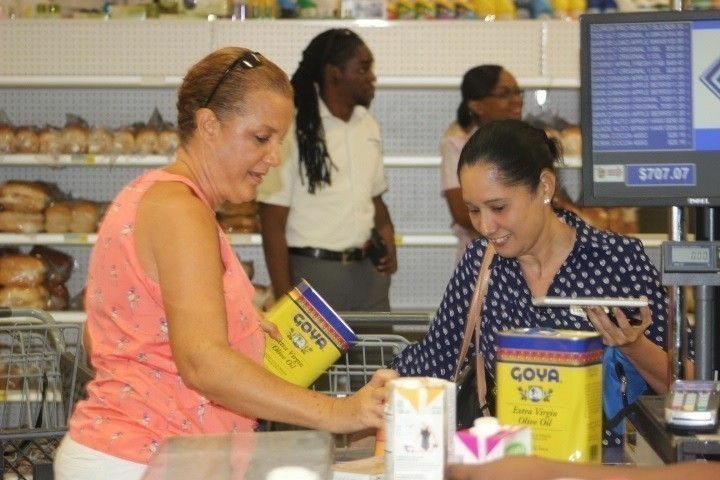 Two lucky Courts customers on Wednesday this week shopped to their heart’s content during Courts’ Frigidaire Supermarket Spree promotion, which took place at CK Greaves Marketplace in Pembroke. 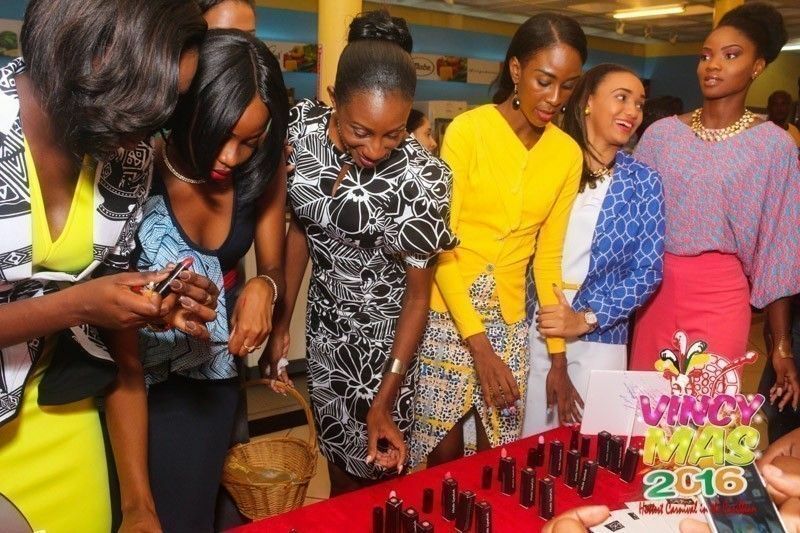 Bequia resident Debra Davis and Venencia “Ann” Richardson of Peters Hope both got the opportunity to grab any product from the supermarket shelves up to the value of EC $2,700, in a space of two minutes. Davis, who purchased a microwave oven to qualify for the run, took to the aisles first, and during her dash accumulated just over $1400 in the two-minute window. The elated woman said that she was excited to qualify for the exercise, and was happy to be able to grab a number much needed items that she would not have ordinarily picked up on any ordinary shopping day. “I was kind of excited it was unbelievable because I never won anything from Courts. “There were a couple of items I had on my list that I didn’t get but the things that I got, I am happy with that. I feel pretty good. Davis says she intends to continue shopping at Courts, and used the opportunity to encourage others to make Courts the store of choice. “I would like to thank Courts for giving me the opportunity to participate in this. I encourage others to shop at Courts because from time to time they give their customers the opportunity to take part in cool things like this,” Davis said.Richardson, a shopkeeper, qualified for the event after purchasing a refrigerator during the campaign. She was assisted by a family friend Anthony Brown, who made the run through the aisles on her behalf. 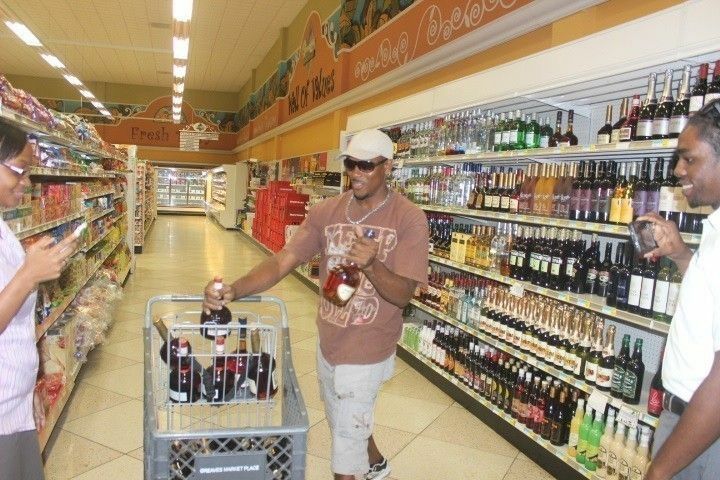 Brown received a loud cheer form spectators at the supermarket, when he made his second trip down the aisle and headed to the supermarket’s liquor section, where he made the most of the second minute, by grabbing top shelf premium drinks. Founded in 2014 by an employee at the radio station WE FM- Mr Damion Mc Tair, the overarching goal of the challenge is to respond to deficiencies in reading among a considerable amount of students attending secondary schools in St Vincent and the Grenadines. Although much work is being done, WE FM sought to come up with this challenge as a leading media entity in St Vincent to see how they could help to address the issue through an initiative which can bring about behavioural changes among young people. 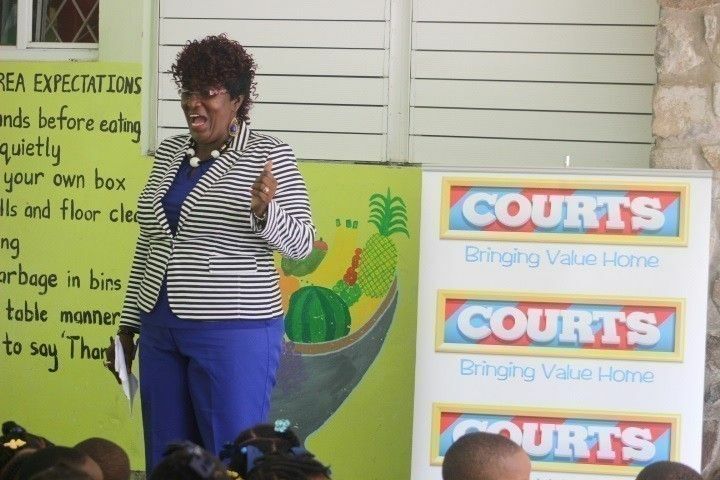 Courts St Vincent Ltd has pledged partnership in this initiative which seeks to build better readers in our schools and by extention our communities. “We applaud WE FM for the step they took in creating this great opportunity. Reading and Literacy are important issues. At Courts we look for ways to help our young people grow into great reading ambassadors. Every year Courts host its Annual Reading Competition, and we have seen the students who take part, grow from leaps and bounds and done exceptionally well in various aspects of their lives. We are happy to come on board with this project, and wish that more institutions can take a page and provide similar opportunities to our youth. 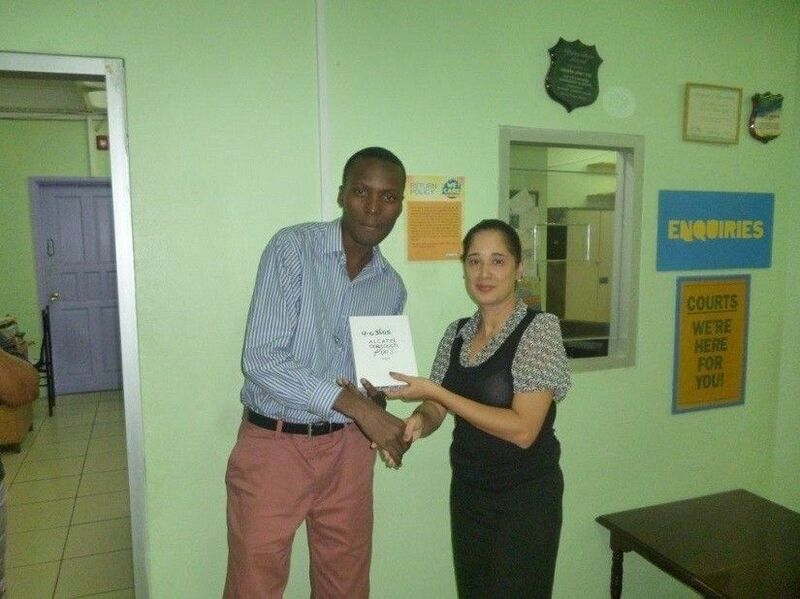 Reading is food for the mind and soul” said Commercial Officer Lisa Veira. 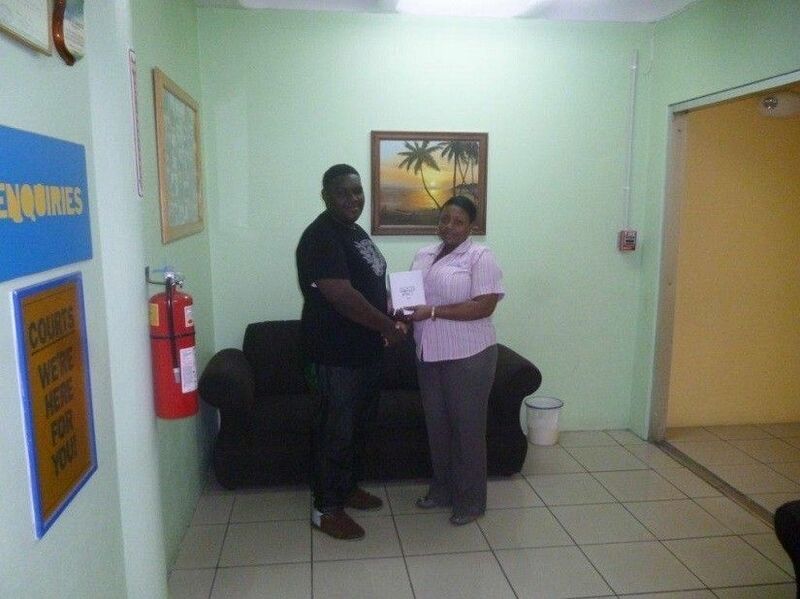 A donation of an Alcatel tablet was handed over as the main prize for the competition. For the next three weeks, shoppers at the Optical department of Courts St Vincent Limited will have the opportunity to win a tablet. Persons spending $499 or more on sunglasses, shades or other services, will be entered for a chance to win an Alcatel One Touch Pixi 3 tablet, one of the latest offerings from the leading producers of mobile handsets and tablets. So far, two Courts customers have won prizes; they are Melanie Matthews and Wendol Sargeant. 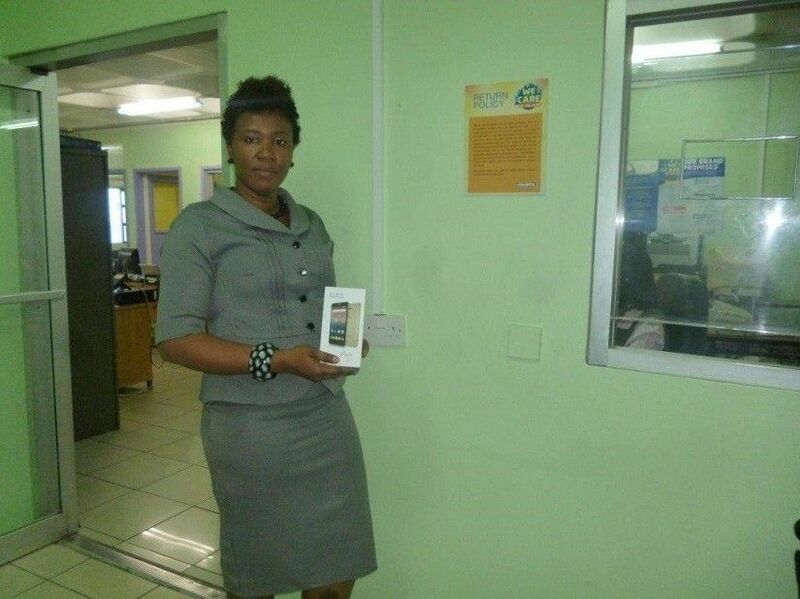 An excited Matthews came in person to collect her new gadget, while Saegeant’s prize was collected by his sister. 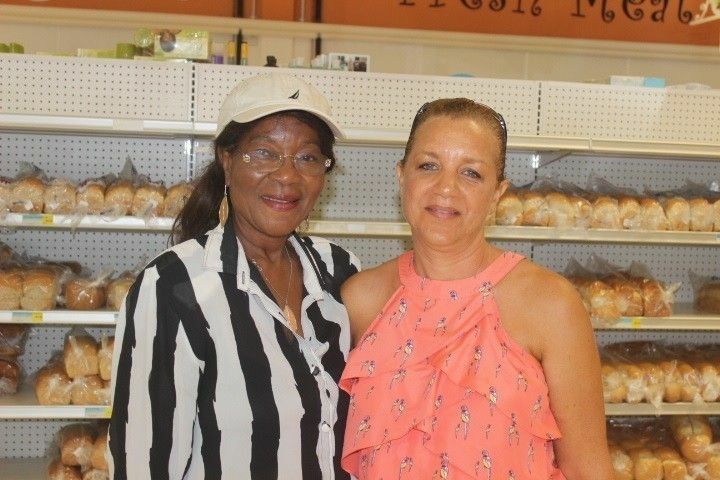 In other exciting Courts news, debra Davis of Bequia and Venecia Richardson of Petershope are the winners of the Courts Frigidaire Supermarket Sweep, and will next week run the aisles of CK Greaves Supermarket, to grab up to $2,700 worth of grocery. Patience Providence and Aldrick Deshong would be attending PUMPIN All inclusive Fete at Flowt Beach Bar having answered the two questions posed on our Facebook page for the Carnival Trivia Competition. 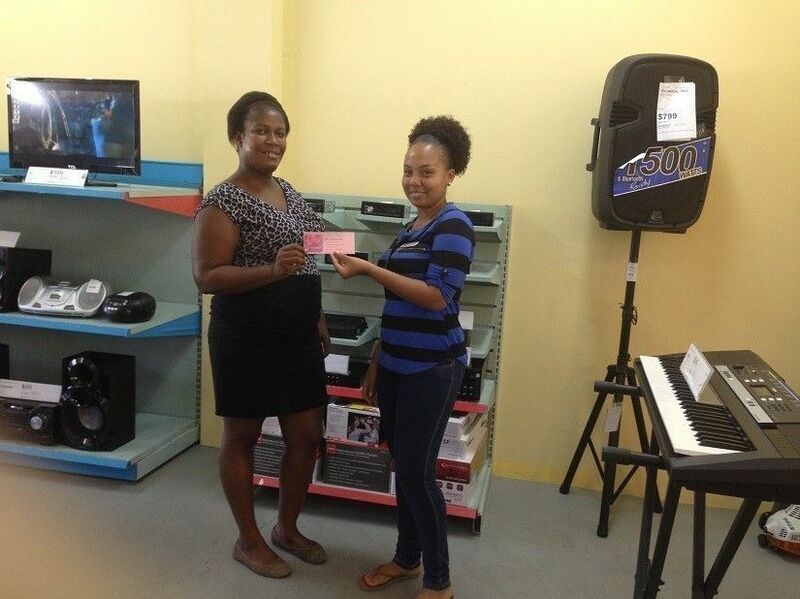 20 Courts St Vincent customers walk away with phablets this week, after purchasing MABE products from the furniture, appliance, electronics and eyewear supplier. The customers took part in the month long Phabulous Phablet Giveaway campaign, which saw persons buying MABE products, cash or credit, entering in a draw to take home one of the devices; which is a cross between a phone and a tablet, hence the name. On Friday 24th June, some of the winners came by to claim their prizes, which they indicated that they were happy to receive. The shoppers said that they were grateful to Courts St Vincent to be able to take home more than their purchase, which was also at a competitive price. 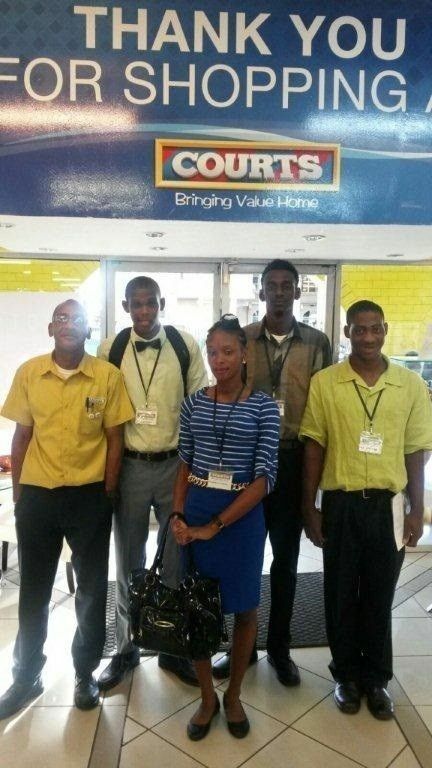 The winners said that they intend to continue shopping at Courts, and would encourage others to do likewise. Courts Commercial Assistant- Indra Grant said that the company is always happy to give back to its loyal customers. She pointed out that throughout the year, Courts has been rewarding, and will continue to reward shoppers, with campaigns that gives them incentives to continue shopping at Courts. 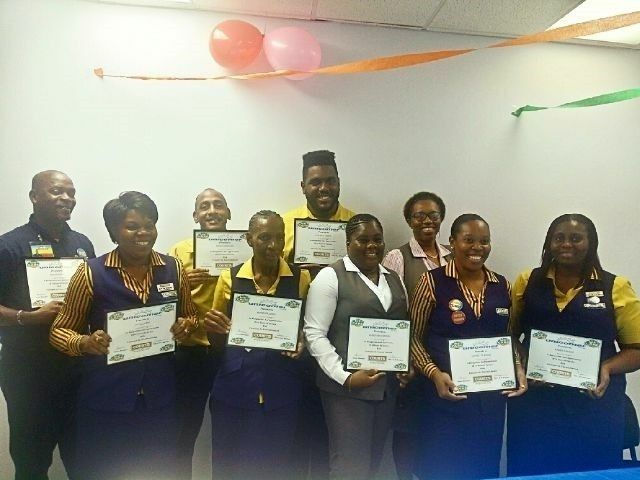 The winners were James Lewis, Sheffique Joseph, Shakeila Lavia, Estina Sandy, Fidel Snagg, Clint Grant, June Huggins, Rosmond Adams, Calvert McFee, Grinnett Edwards, Francis Peters, Moriscia Foye, Ruth-Ann Lewis, Camelita Quashie, Rawdica Stephens, Leo VanBladel x 2, Patricia King, Valerie Hercules, and Arnold King. As St Vincent celebrates the 31st anniversary of MISS CARIVAL which was first staged in 1985, the show this year promises to be a spectacular one as Super Star Marlon Roudette will be performing with his band. As is customary , each year the contestants visit various business houses as part of their programme of activities. 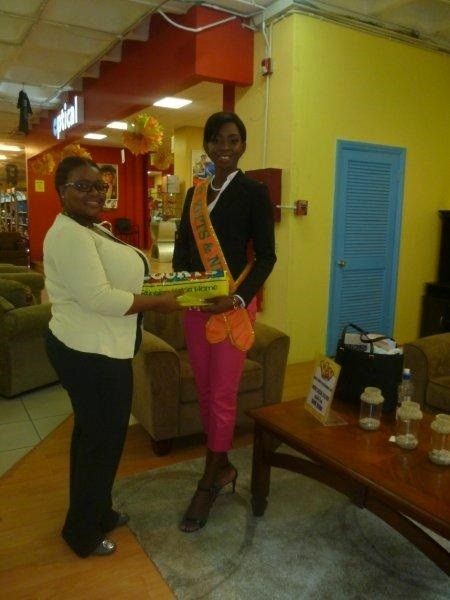 This year Courts hosted Ms St Kitts Orngel Erskine. She was given the opportunity to meet the members of staff as well as interact with the public. She indicated that she has a lot of fond memories to take back to her home island. 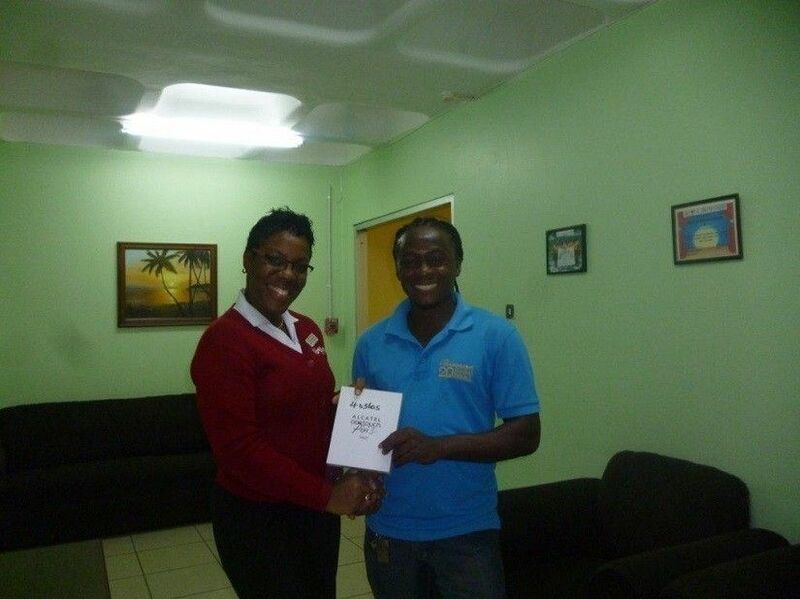 Indra Grant; Commercial Assistant was on hand to present a small token of our appreciation. As part of its 20th Anniversary activities in 2015, Interative Media Ltd publishers of Searchlight newspaper, decided to honour the memory of the paper’s first editor, the late Norma Keizer who spent her entire public service career in the education sector. To give effect to this decision, the Norma Keizer Foundation was established and registered as a distinct legal entity to provide scholarships to deserving students to attend secondary school and Community College. In order to meet the need of assisting more students, a series of fund raising activities have been planned annually. The first for this year will take the form of a dinner that is scheduled for July 9th 2016 at the Cruise Ship Terminal . During the dinner a Chinese auction will take place as this will augment the dinner experience. 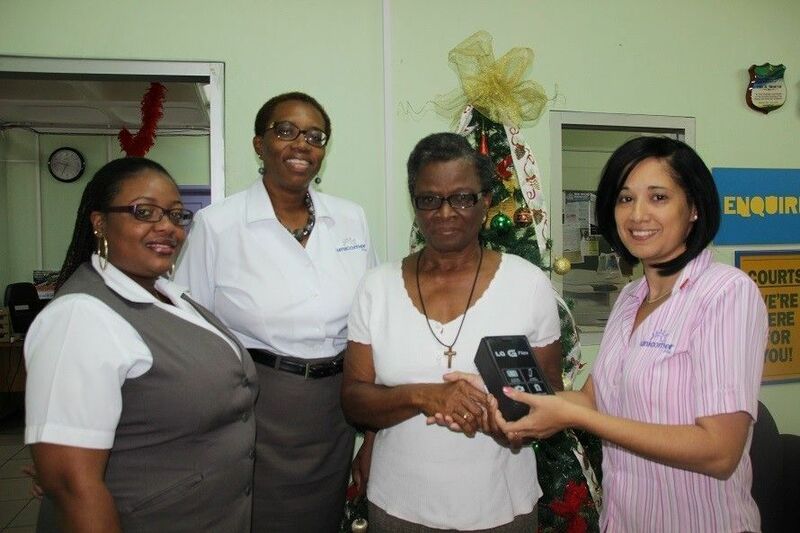 Courts St Vincent has taken the decision to donate an Alcatel Pixi tablet to assist in raising additional funds for this venture. 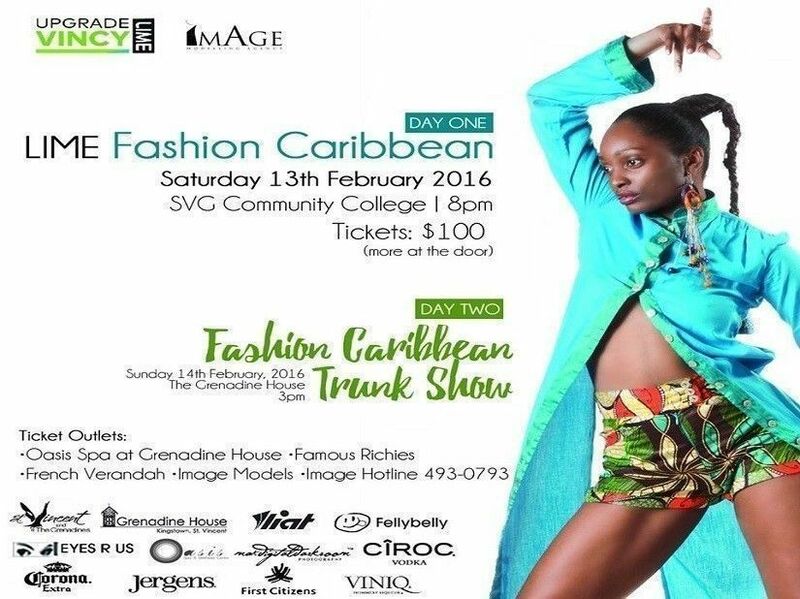 Union Island native Roshik Mason is this year’s face of Courts Carnival promotion. Mason, whose 2016 carnival offering “Dem Vincy” has been transformed into one of the catchiest Courts jingles to date, encourages shoppers to visit the Courts showrooms in Kingstown and Bequia for great offers during the carnival season. Shoppers spending $999 or more are automatically entitled to ten per cent off their next purchase, cash or credit, and will be put in the carnival spirit with a free carnival pack for the Guinness Posse Monday band, which includes a t-shirt, drinks and lots of other goodies while on the road. Shoppers also has the option of paying nothing down, and nothing for 90 days on 24 months or more credit purchases. “It’s a good feeling to represent Courts in this way. This is a great platform for me to take off from and I intend to represent Courts to the best of my ability and hopefully this could lead to more support for me and my career,” Mason indicated. Courts Commercial Manager Lisa Veira said that she believes the collaboration between Courts and Mason will do a lot for the promotion of the artiste and the company’s current promotion. “We congratulate Mason for joining with Courts with his 2016 contribution for Vincy Mas. 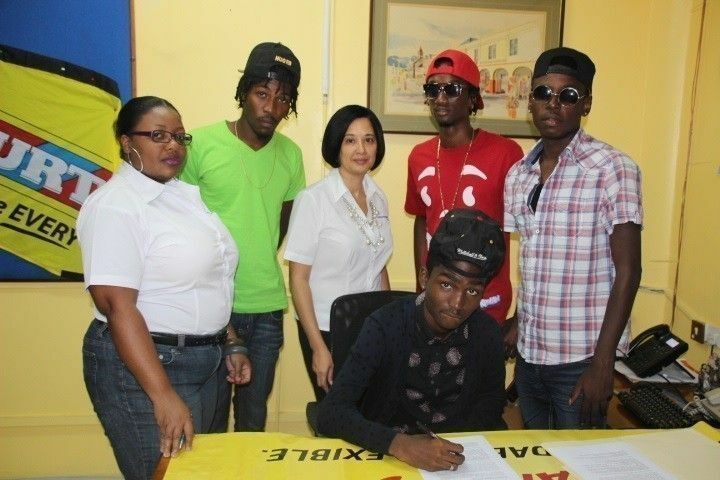 This is the first time we are partnering with an artiste who is not from mainland, and we are happy to incorporate the Grenadines by signing Mason.We see this as a perfect fit for what we are offering this carnival season, since his song and Courts are leading the way this carnival season. Courts and Mason joining forces are a fantastic combination and we hope to add value to the lives and entertainment of our customers for the carnival season and beyond,” Veira said. 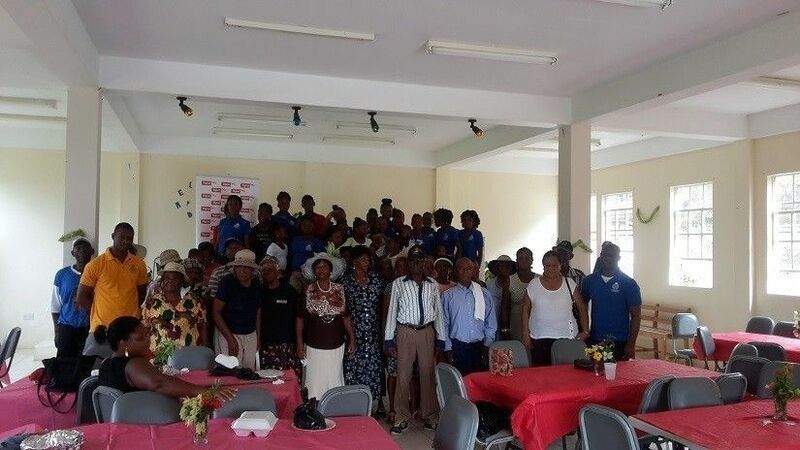 Members of the Petit Bordel Police Youth Club held a luncheon for the elderly and shut-in of the community last Sunday 19th June at the NIS Retirement Home. Twenty five persons were treated to lunch as were also presented with a small token of appreciation by the organisation. Courts St Vincent was happy to be able to make a donation towards this event and supports the efforts of the youth in the community. 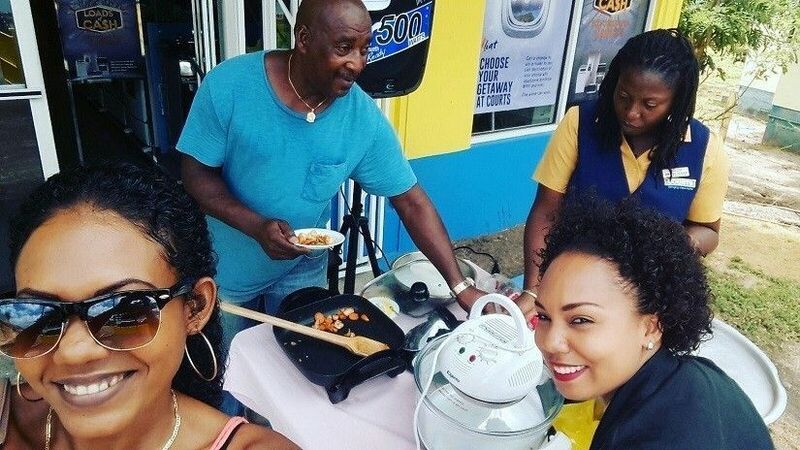 Furniture and Electrical superstore, Courts, has once again showed their support towards the local organisers of the Bequia Carnival Committee. Last year Courts made a donation to the committee by way of various small domestic products that were given to the various winners in the different competitions. 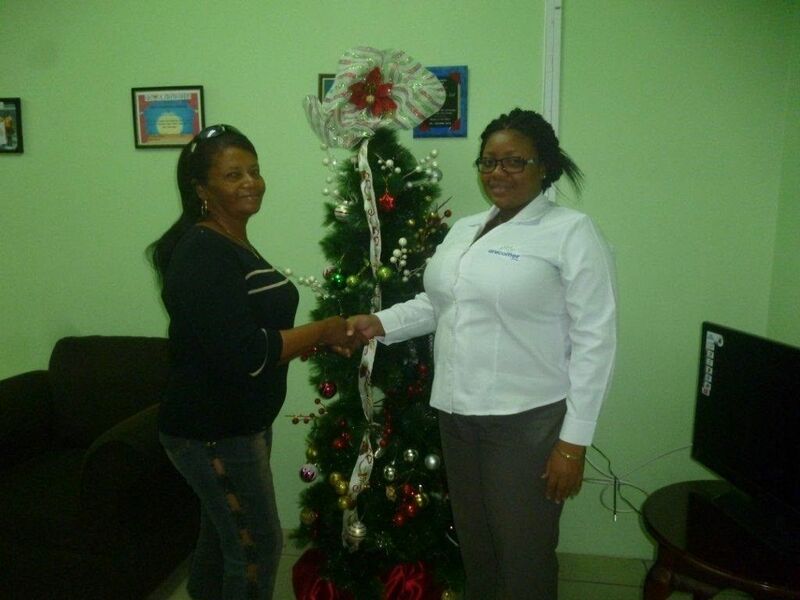 This year is no different as Commercial Manager – Lisa Veira has expressed the company’s commitment to supporting the Grenadine island that is trying to revamp their festivities. 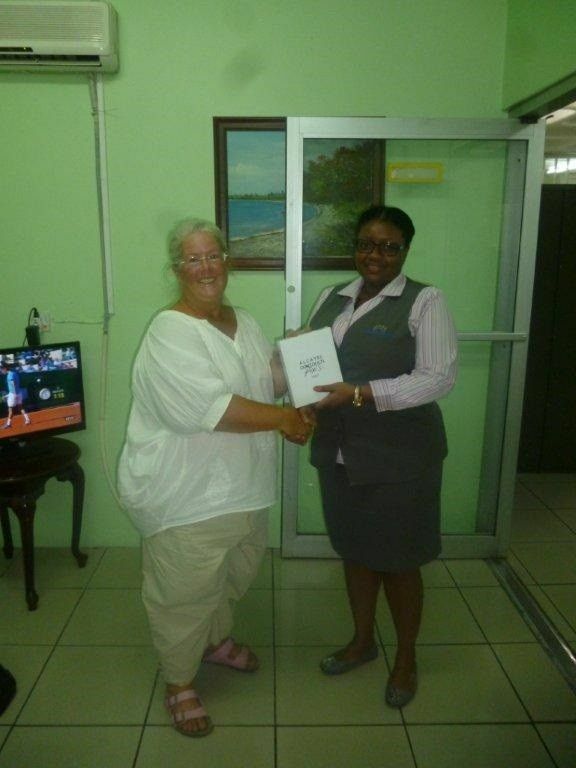 Bequia’s Manager- Afranka Graham made the handing over of some of the prizes to organising members of the Committee who were very excited to have Courts partner with them for the third year. In collaboration with the National Sports Council and the Community College Division of Technical Education, a fundraising Solidarity Football match along with a raffle will be held on June 19th 2016 at the Calliaqua Playing Field. Funds realised from both events will be donated towards the Special Olympics Committee. “This activity hits home to us as we have a member of staff who is hearing impared and is also part of the Special Olympics team that represented St Vincent last year in the Special Olympics in Atlanta. They are a unique group of individuals who remind us every day that disability is not what defines them” said Commercial Officer Lisa Veira. 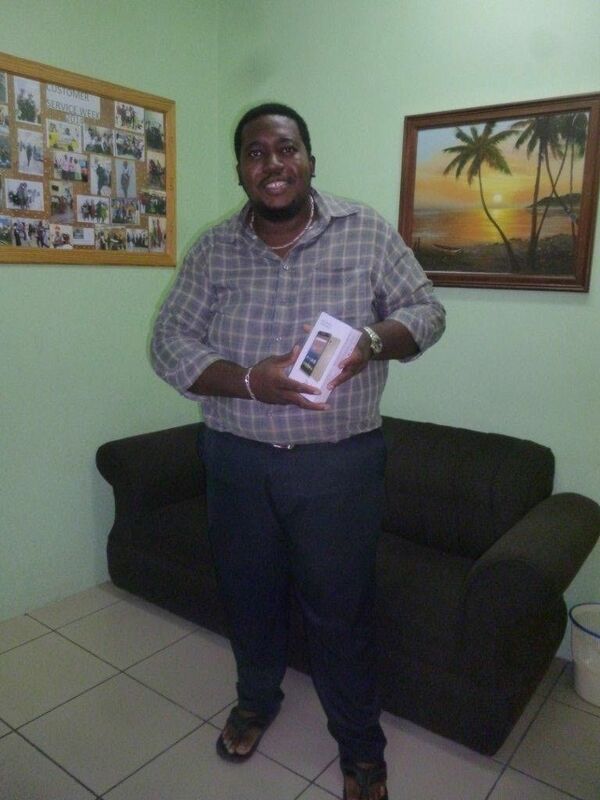 An Alcatel pixie tablet was donated to members of the committee to be used as a prize in the raffle that takes place the same day of the football match. “Courts has always been an institution that lends supports – especially to sports… we are happy to receive this donation” said Shemica Charles and Gary Miller who are interns from the Community College that is attached to the National Sports Council. 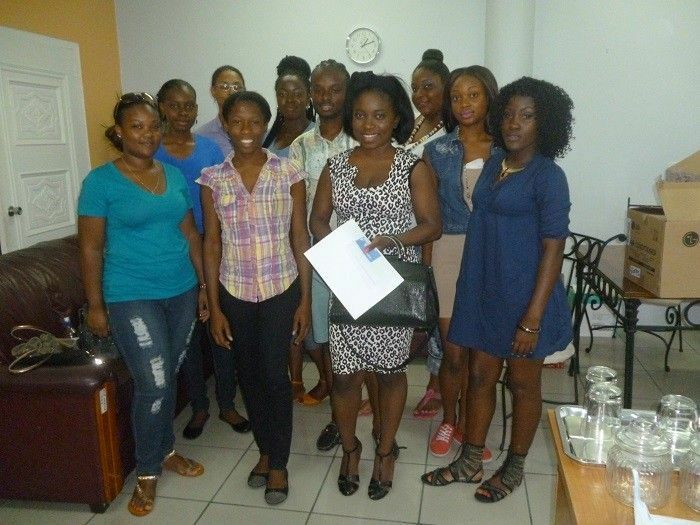 The St Martin’s Secondary School Modern Language Club was the latest recipient of a donation from Courts St Vincent Ltd.
Members of the organisation along with the Facilitator – Ms T’sah Farrell have organised a raffle to raise funds towards an educational tour to the Dominican Republic in August. “We believe that immersion in the culture will help students break down the linguistic barrier and we are happy to make a donation to this cause” said Commercial Officer Lisa Veira. 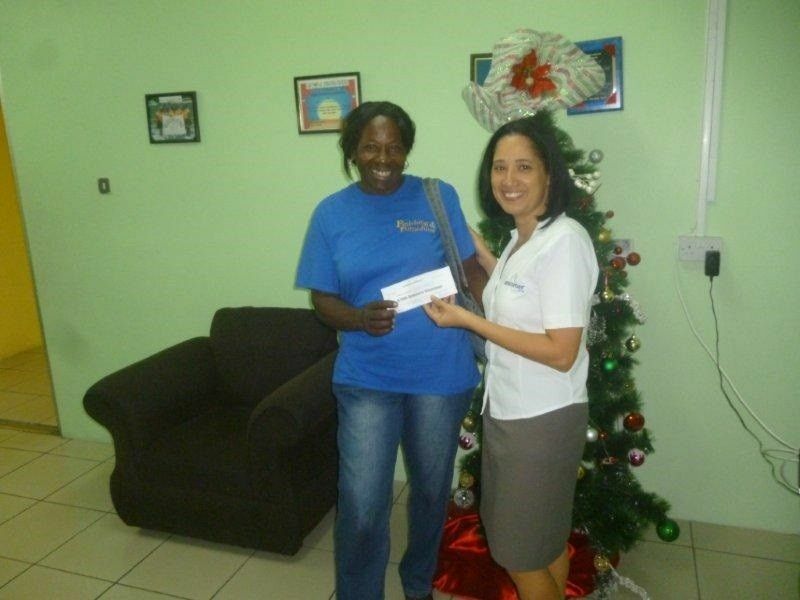 CSR Karen George handed over an Alcatel Pixie table that would be used as the first place prize in the fund raising project to Tsah Farrell (Foreign Language Teacher0. June 1st – July 2nd is the period designated for the newest promotion that Courts St Vincent launches. Customers shopping during this period and purchasing a Frigidaire product will be eligible to enter in the draw to win a 2 minute shopping spree at supermarket giants- CK Greaves and Co Ltd.
“Two lucky persons can walk away winners of $2700 each of groceries. There will be a winner from the mainland and the other from the Grenadines- so nobody is left out” said Lisa Veira – Commercial Officer at Courts. The date scheduled for the shopping spree is tentatively set for July 7th. The winners will have a trolley dash where they can pick up random items in the supermarket aisles to the tune of $1000 USD each. Frigidaire range varies from microwaves/fridges/stoves and prices start as low as $399. On Tuesday 24th May, 11 persons were awarded by Unicomer St. Vincent Limited in recognition of their years of dedicated service to the Company. We congratulate them on this milestone and thank them for their loyalty. When the Belfongo Football League commenced last Saturday 21st May, Fresh Football Team which was sponsored by Courts St Vincent Ltd was in full attendance. “Courts is very much a part of developing sports in the community “ Commercial Officer Lisa Veira commented. The 18 athletes who are part of the tem were very appreciative of the assistance as it is seen as a positive activity for young males in the community. Manager of the Team Earl Haynes thanked Courts for coming aboard for this initiative and stated: “Courts is one company that has been supporting Sports and Culture here in St Vincent. They are doing a tremendous job”. Courts St Vincent wishes the Team every success in the tournament and in all their future endeavours. 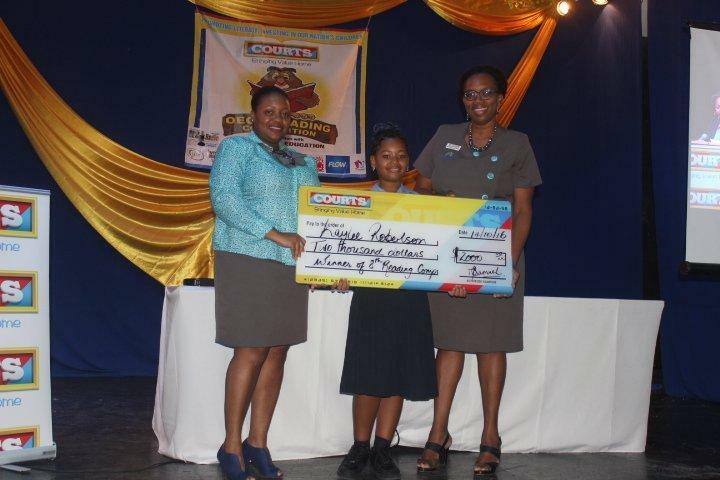 A grade three teacher of the CW Prescott Primary school is the overall winner of the Courts and Whirlpool $8000 Loads of cash promotion. The announcement was made this morning by the company’s commercial officer, Ms Lisa Veira. 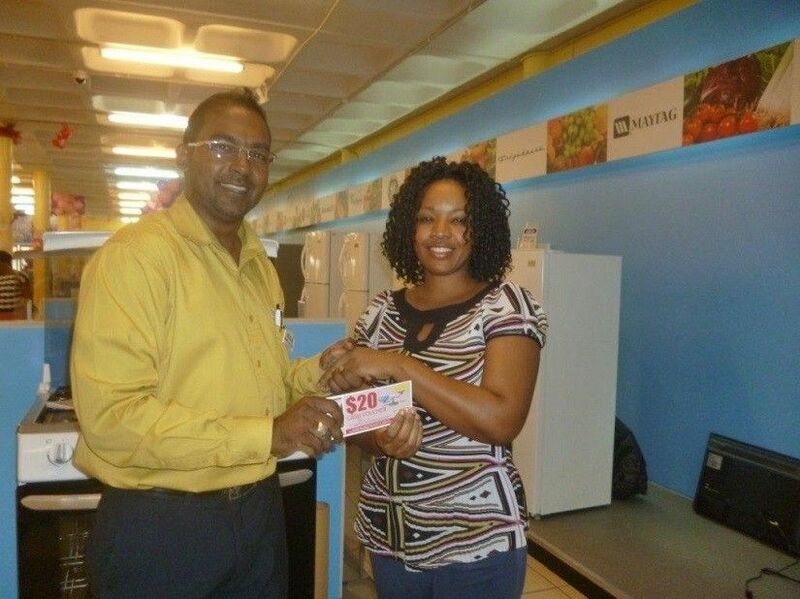 Ms Ancia Williams made a purchase of a Whirlpool washing machine to have qualified her for this promotion. The Courts Appliance campaign which culminated on the 14th of May featured the world’s best brands in Appliances at the most affordable prices. 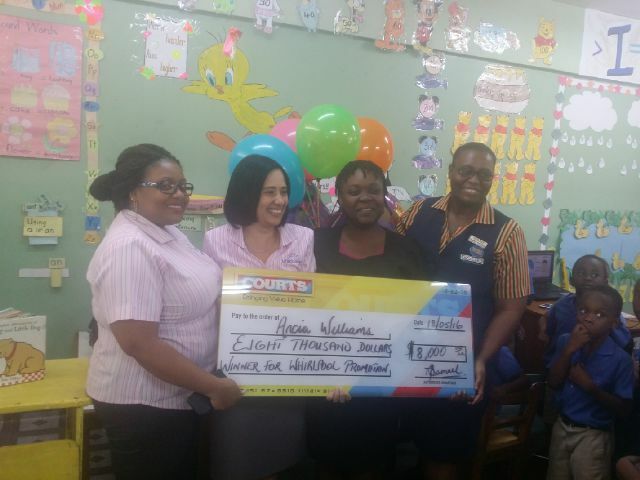 In true Courts style, a team comprising the Commercial Officer, Ms Lisa Veira and Commercial assistant, Ms Indra grant made the grand visit to the school to present the Courts cheque to the winner. It was truly a celebration at the school and the winner, fellow colleagues and students jumped for joy upon hearing of the good fortune. “I never won anything before – this is indeed a blessing” said Ms Williams. “It is always a pleasure to reward our customers… this is the best part of the job. Changing people’s lives one customer at a time is what Courts is all about” commented Courts Commercial Officer, Ms Lisa Veira. When asked what she would do with her winnings Ancia indicated that she wanted to pay off her bills at Courts and use the balance towards her dialysis treatments which she has to do twice per week. Courts ST Vincent Ltd would like to thank our valued customers for making Courts their number one choice. We appreciate your support. Visit us on facebook at facebook.com/courtsstvincent. Shop online with us at shopcourts.com. Three lucky persons walked away winners in our Mother’s Day promotion which concluded last Saturday 7th May. 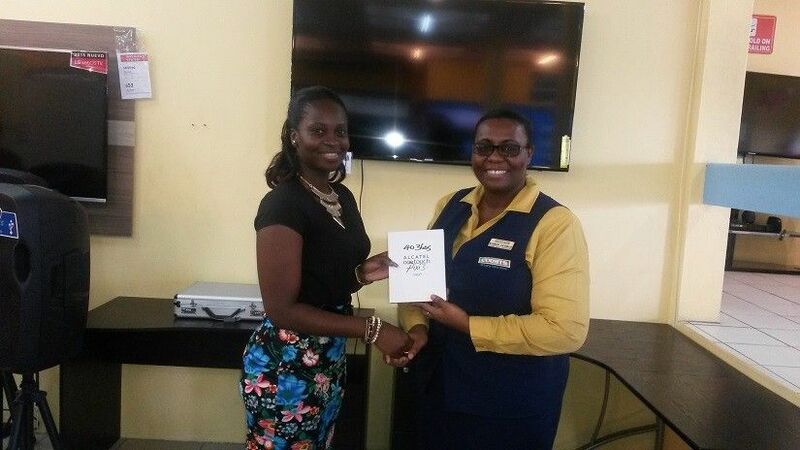 Nerissa Quashie and Neshie Hazell were recipients of tickets to a Mother’s Day Luncheon at Bequia Beach Hotel and Mrs Grinette Theresa Edwards won herself a Samsung S6 Smartphone. Customers shopping on both cash and credit options over $999 were eligible to participate. 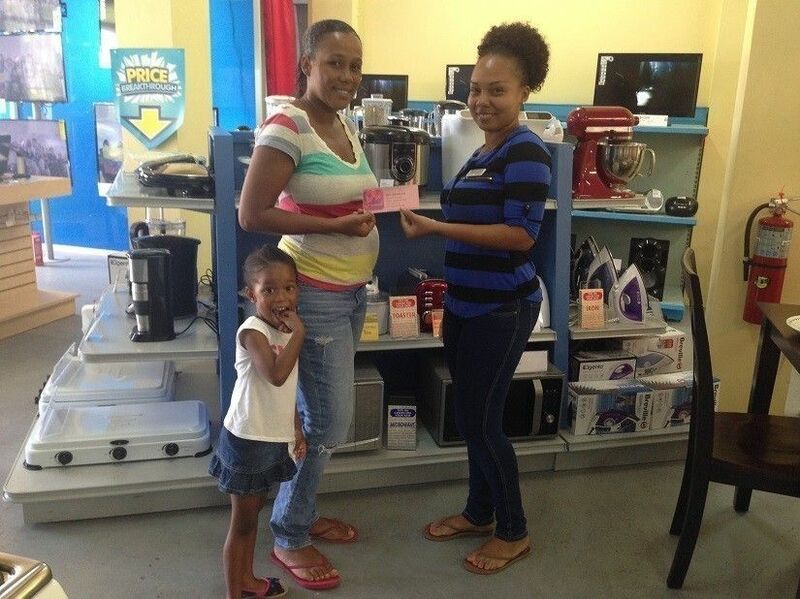 We thank these individuals for shopping and hope that they enjoyed their Mother’s Day winnings. 20 COURTS CUSTOMERS WILL WIN BIG THIS MAY!!!!! Shop today and with the purchase of any Mabe appliance, you can win an Alcatel PIXI 4 Phablet; 20 Courts customers will win! Plus, customers who purchase and qualify for Courts Ready Finance pay absolutely “Nothing for 60 Days”. Shop online at www.shopcourts.com or like us on Facebook at facebook.com/courts. 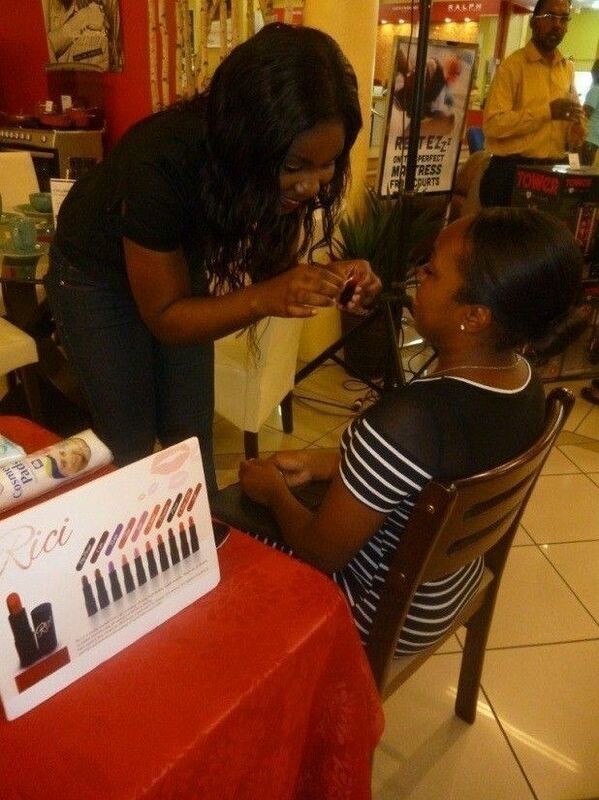 Apart from Ricci Cosmetics conducting instore demonstration, we also had Health Remedy showcasing their products. Sampling of rotisserie chicken prepared using our SDA products, was also part of the day’s activities. 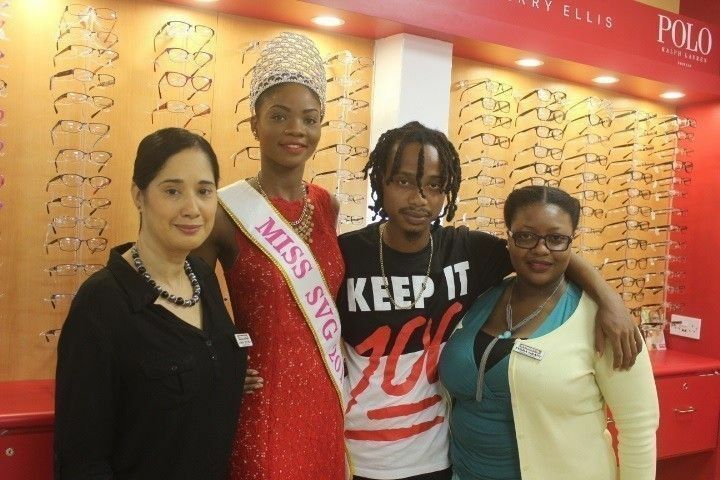 We concluded with a visit from the 8 contestants vying for the Ms SVG 2016 title ,who were photographed throughout the store enjoying the many ranges we carry. 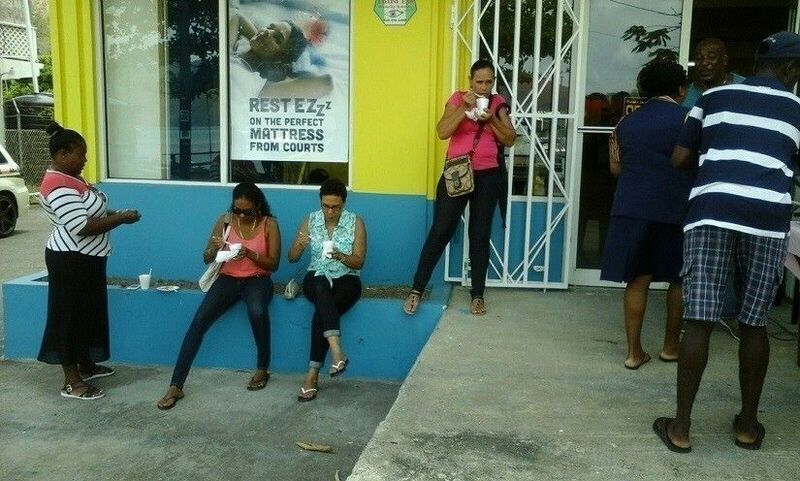 At Courts there is never a dull moment- Vincentians can always look forward to exciting and innovative activities that showcase the exciting furniture/electrical products we stock. 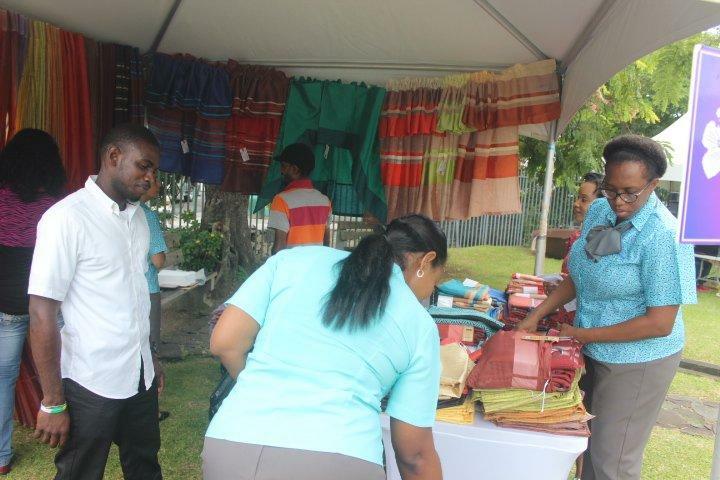 Customers in our neighbouring Grenadine island of Bequia got a sample of various dishes while they shopped in store today. Our new line of SDA products including the Elegento electric frying pan and Hologen oven as well as the new Tower pressure cookers were used in the food preparation to highlight how simple and easy it is to have meals ready for the table. 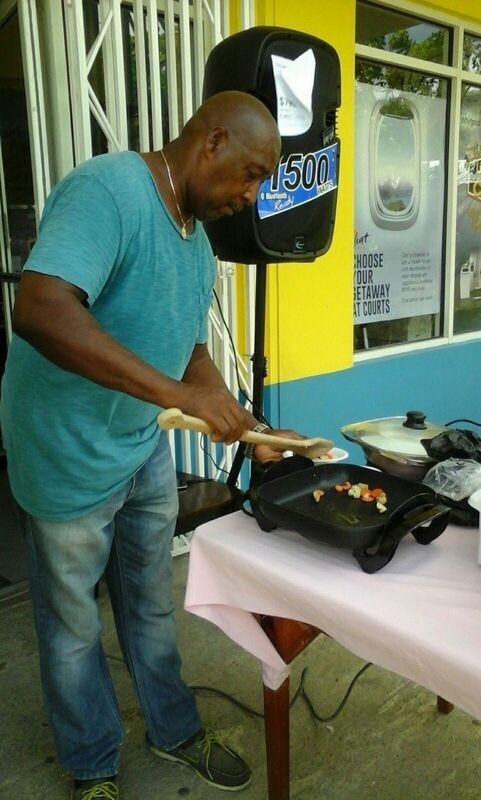 Chef Clement did a great job in cooking up the dishes while persons were treated to DJ music from our very own Danley Bacchus who highlighted the great combo deals we had on audio systems. 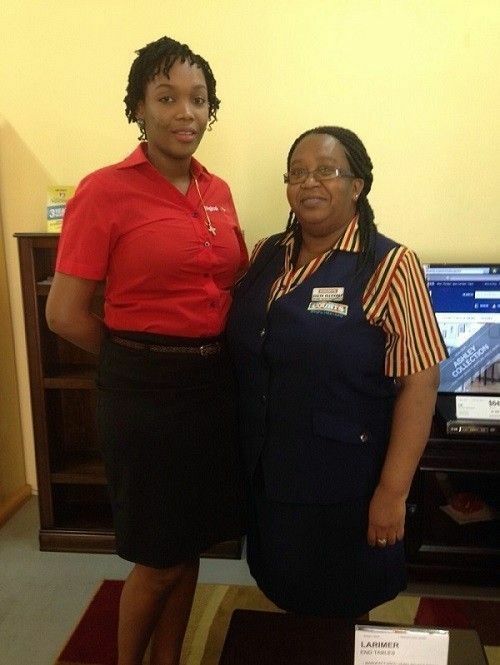 Afranka Hackshaw- Bequia Branch Supervisor was very happy with the turnout and the added footfall. She indicated that this is the beginning of many more events like this to create more awareness to the public on the specifications of our products. In an effort to create awareness to our customers and the general public, Courts launched a campaign that was interactive. This offer was for Twitter and incorporated the Fitness Promotion which ended March 29th. Persons were encouraged to “like”, “follow” “Share” and subscribe to our posts on Facebook, Twitter, Youtube for weekly prizes of an Alcatel Pixi tablet.Our winners were Eric Bascombe, Nancy Saul-Demers, Melissa Billingy and Carissa Ash. 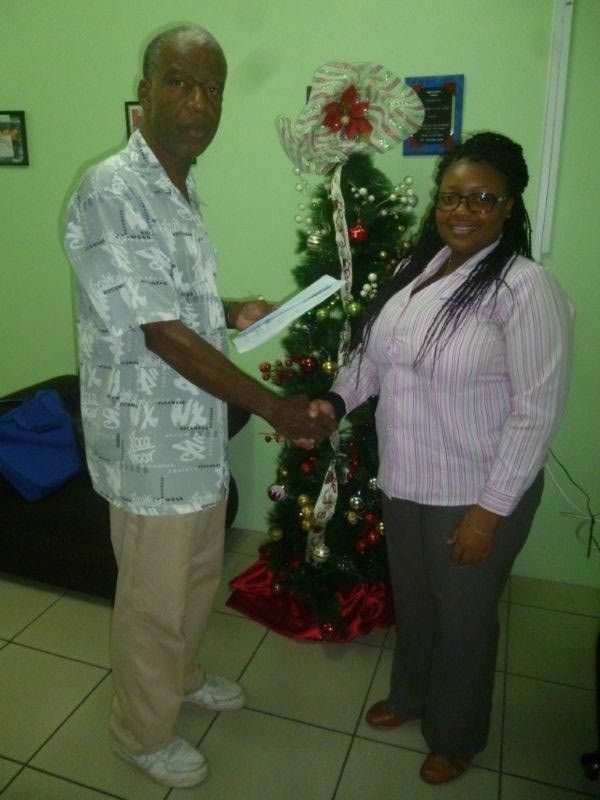 Last year the organisation was able to assist with the Dominica Hurricane relief efforts by donating over $27000. 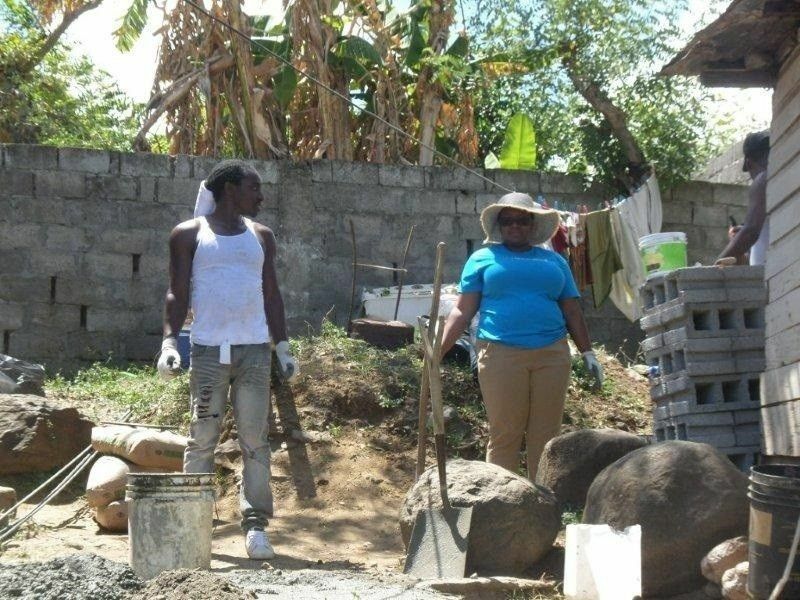 Over the past week, Courts employees, went “above and beyond the call of duty” putting their expertise to work by upgrading the homes of Vincentians who were not in a position to do so for themselves. The work ranged from the installation of floor tiles to constructing an outside shower. Whilst the company is known and appreciated for their commitment to continue bringing value home, Courts sees this initiative as an avenue to strengthen relationships within the communities, improve employee commitment and retention as well as to reinforce the company’s corporate image. Mrs Elizabeth Mars, a paralysed 62 year old resident of Calliaqua, had the good fortune of having her entire floor upgraded from vinyl to tiles by Courts. The company also replaced all windows in the house in an effort to make the Calliaqua resident’s living conditions more bearable. 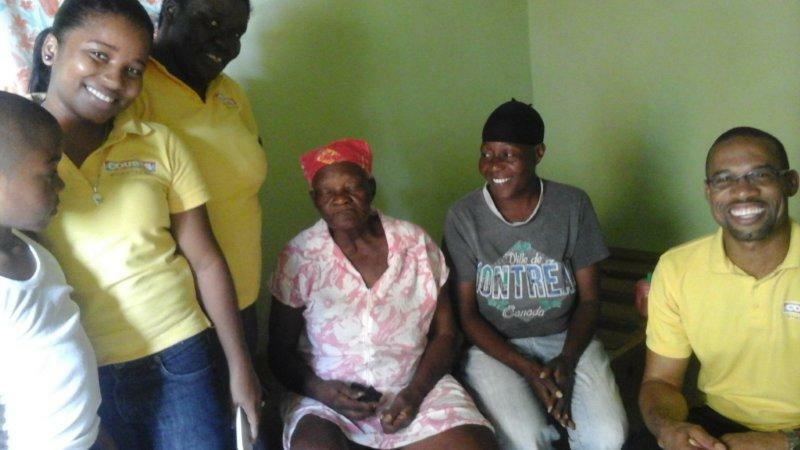 Mrs Mars was also the recipient of a brand new refrigerator, stove and dining set from Courts. Another beneficiary of the Courts Volunteer Week initiative was Ms Gloria Rogers from Stubbs. The unemployed Ms Rogers had been struggling for a while to make ends meet as she had little to no access to running water or electricity. 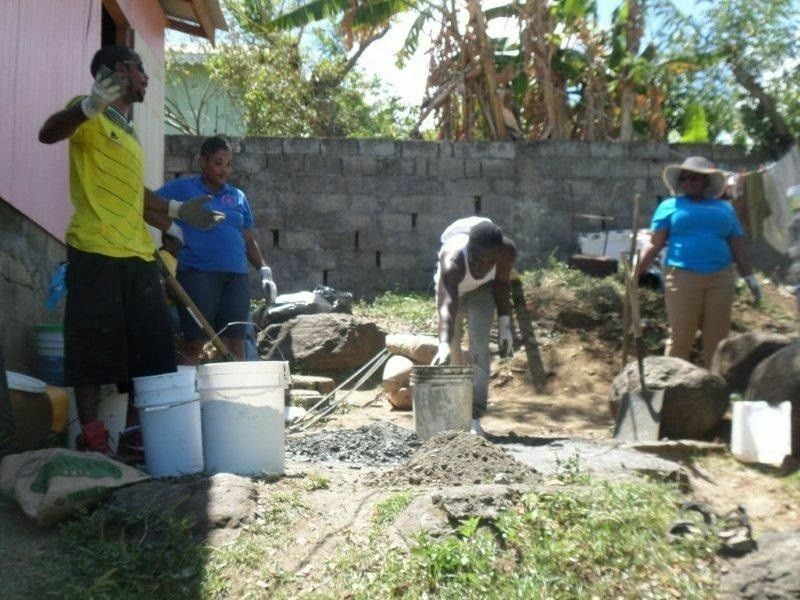 Members of staff, volunteers and community residents all came together to construct an external washroom facility for Ms Rogers and her family. This gesture was very well appreciated by the family. The company would like to extend further gratitude to our employees who volunteered their time and skill in celebration of ‘Volunteer Week 2016”. Without your support, this initiative would not have been a success. APPLIANCE PROMOTION BEGINS AT COURTS Beginning today April 1st , Customers of furniture, electronics, eyewear and appliance provider Courts St Vincent Limited, will have an opportunity to win fabulous prizes, with the purchase of major white goods. Customers choosing from the wide range and brands of appliances can win trips, free appliances and of course cash, when they take part in this six week promotion, which promises to be one of the biggest campaigns of the year. What’s more, in customary Courts style, shoppers can take advantage of fabulous offers, wow deals, combo deals and fantastic savings, and also have the option of paying nothing down, and would not have to make any payments for the next 60 days. Each week, one lucky customer wins a ticket from regional airline LIAT to one of their destinations, with any appliance purchase of $999 and over. Courts customers purchasing any item from the INDURAMA brand of products will receive a free electric kettle with their purchase, and any large appliance customer automatically gets free cleaning products from the Affresh line of cleaners. Fans of the WHIRLPOOL brand of appliances stand a chance of winning $8000 cash, with the purchase of any WHIRLPOOL product. The winner of this promotion will be selected through a draw, at the end of the campaign in May. Persons who want to be a part of this promotion can get more information in a specially produced brochure, or visit the Courts stores in Kingstown and Bequia, where that they can speak to a Courts Customer Service Representative, who would be gladly willing to assist. In an effort to enhance the school environment, two schools have benefitted from assistance from Furniture and Electrical superstore- Courts St Vincent Ltd.
On Monday 21st March, 2016 Mr Adonis Charles (Head Teacher Barrouallie Anglican Primary School) and Medica Jones (Principal Kingstown Government School) both received cash donations that are intended to improve and develop the learning atmosphere at the institutions. Both individuals indicated that they were indeed overwhelmed with Courts coming on board to assist. They indicated that this is a welcomed start to the projects they intend to undertake. Courts Commercial Manager – Lisa Veira, was happy that Courts could partner with these schools. Education is one area that the company takes very seriously and any assistance that can be given in that field is always considered. March Mad Dash in store competition continued today with two winners walking away extremely happy. 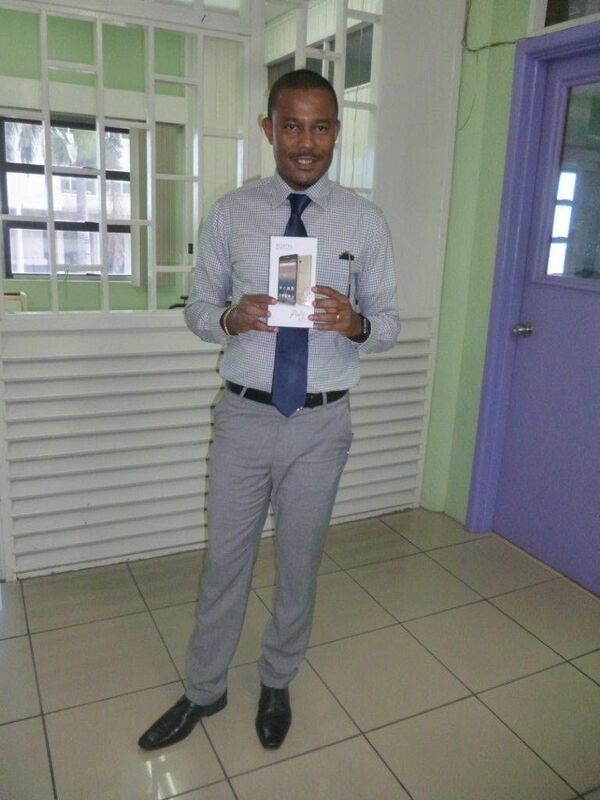 In addition our Tweet to Win champion - Mr Eric Bascombe was very overwhelmed today when he came in to claim his prize of an Alcatel pixie tablet valued at $300 from Commercial Assistant Indra Grant. Lose to Win weigh-ins also continued today for customers who purchased selected gym equipment during our Fitness Promotion that concludes March 26th. 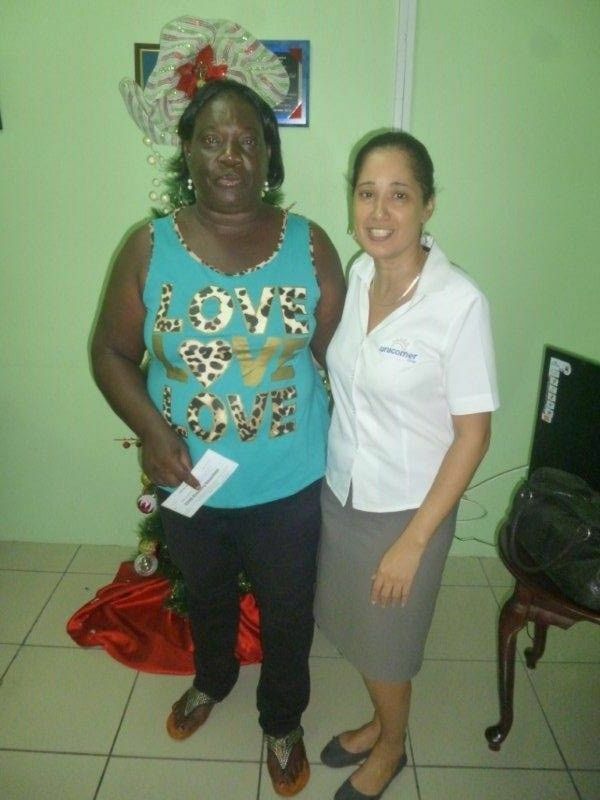 Mrs Eileen Gibson who had lost a total of 18lbs since the campaign started, lost an addition 2 pounds this week as she came to collect her $40 cash winnings. She was full of high praises for the promotion and encourages other persons to get on track with a healthy lifestyle as this can increase your longevity tremendously. 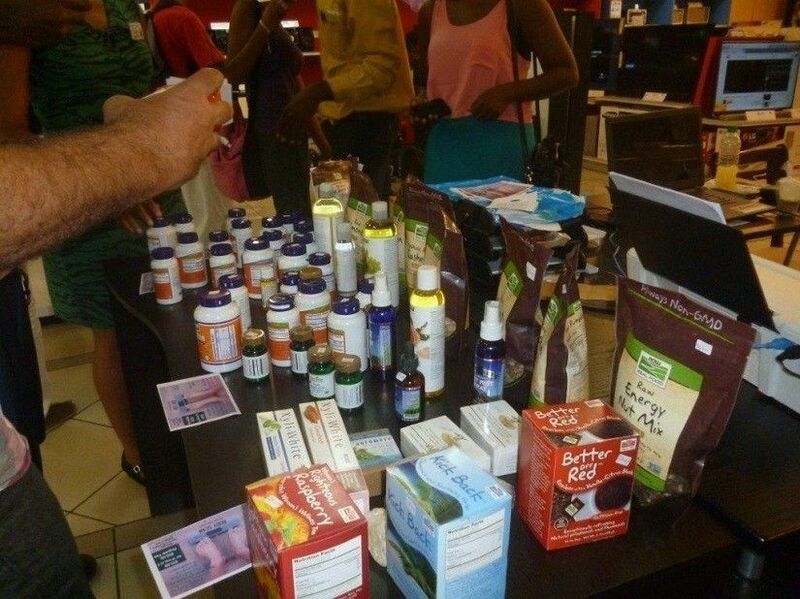 Live music in store coupled with a health booth set up by Nature Remedies complimented the day. The Sunshine School for Children in Bequia- which is a privately operated institution- will be hosting a Bingo this weekend March 12th to assist in the day to day functioning of the school. The funds derived from this activity will give the 28 children that attend the school, an opportunity to obtain goals achievable to the various physical and mental disabilities. March Madness In Store Activity at Courts a Huge Success! As part of this very exciting promotion, the company has announced plans to host an instore activity every Friday until the end of the promotion geared at promoting a fun and lively atmosphere in store. The Courts “Mad Dash” activity is really a creative way of encouraging interaction and synergy at the company’s flagship stores. A horn will be blown for 30 seconds and the person who collects the most tags at that specified time will walk away with amazing prizes to include cash and other gifts from Courts. The participants really loved this gesture by Courts. Mr Robertson eagerly expressed his desire to place his winnings towards his Courts bill; a true Courts customer. The company also launched a Fitness campaign geared at promoting and increasing the awareness of the importance of a healthy lifestyle. Customers who qualify are invited to return to a Courts store to weigh – in for the “Lose to Win” promotion. Every pound lost by a Customer will result in that customer receiving $20 cash from Courts. Ms Melissa Veira lost four pounds and was the recipient of eighty dollars cash, Ms Nicole Adams received $40 for the 2lbs she lost. 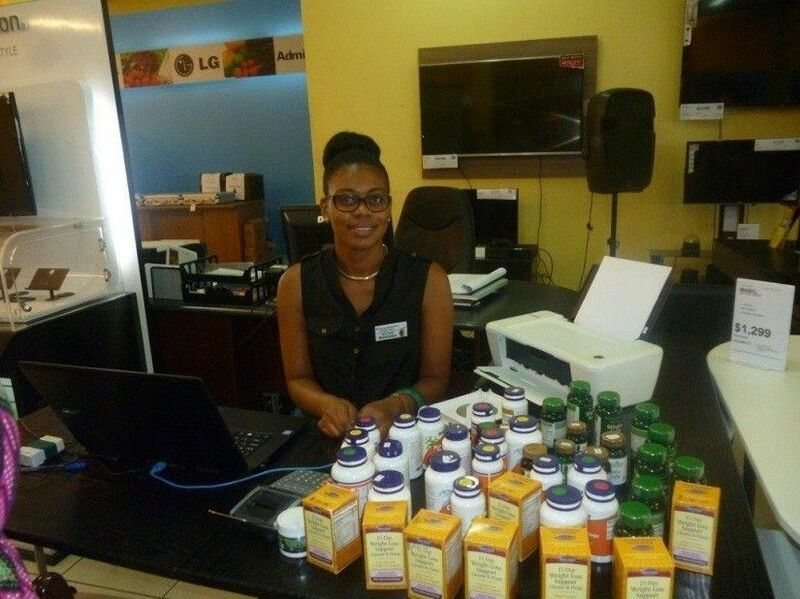 Management of Courts also saw it fitting to include a demonstration aspect to this in store activity by inviting Ms Kemora Layne of Nature Remedies in-store to highlight and recommend healthy food options that can aid in customer’s goal for optimum health. This initiative was extremely well received by customers who took that opportunity to ask questions and learn how to change and/or revise their current meal plans. Remember, The Next “Mad Dash” activity will take place on March 18th and you don’t have to be a Courts customer to participate. We look forward to welcoming you! Congratulations Once Again to All our Winners!!! St. Vincent’s very own, Joelle Campbell will proudly represent the nation at the Courts OECS Schools Reading Competition in Dominica tomorrow Thursday 3rd March. 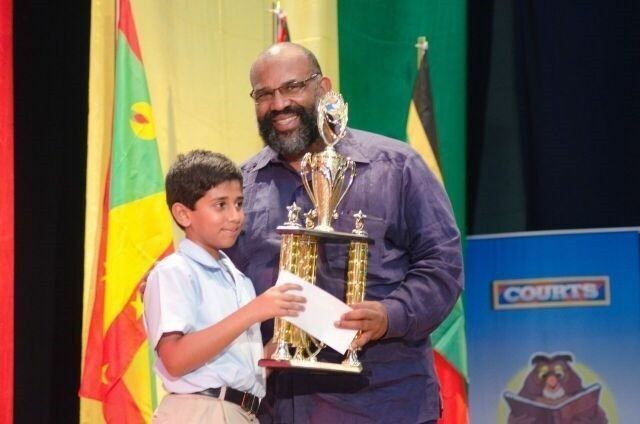 The nine year old is a student of the Spring Village Methodist Primary School and is also the National Courts St. Vincent Schools Reading Champion. The company launched a schools competition in 2009 in an effort to join in the fight against illiteracy in schools. 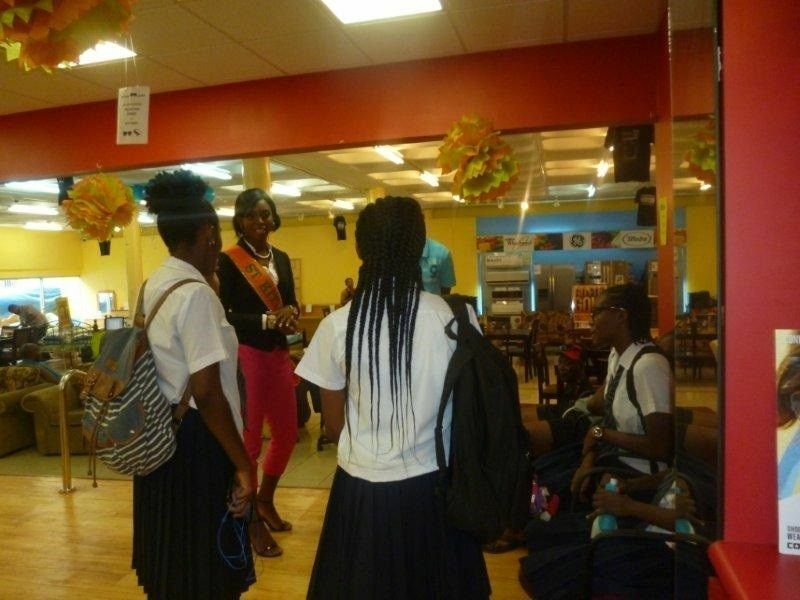 This initiative forms part of the company’s corporate social responsibility which is primarily geared at providing interminable service to the wider Vincentian populace.Joelle will be competing against national champions from Antigua and Barbuda, Dominica, Grenada, St. Kitts and Nevis and St. Lucia. We at Courts would like to take this opportunity to wish all of the participants the best of luck on Thursday. The company would like to take this opportunity to thank the Ministries of Education in the Countries where we operate for their unwavering support over the years. A big thank you to the teachers, principals, parents and family members of the our national participants; with you, this competition would not be a success. 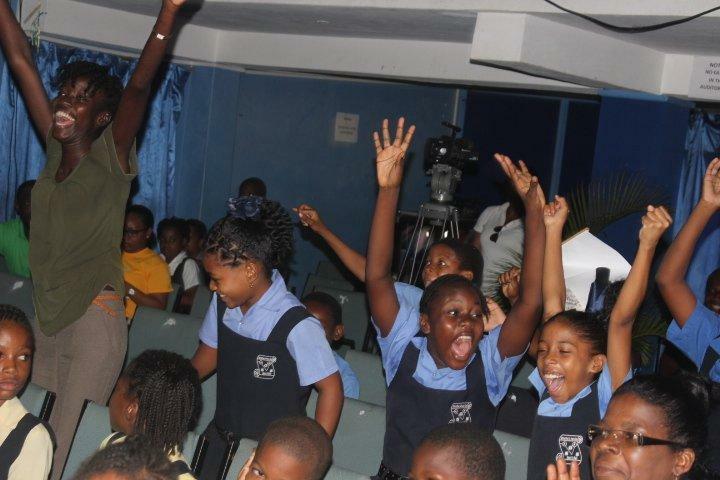 Please be reminded that the finals can be viewed live at ComeSeeTV on Thursday March 3rd at http://www.live.comeseetv.com/event/109/7th-annual-oecs-reading-competition/. Please be sure to tune in and support our National champion as she tries her best to bring home the trophy. 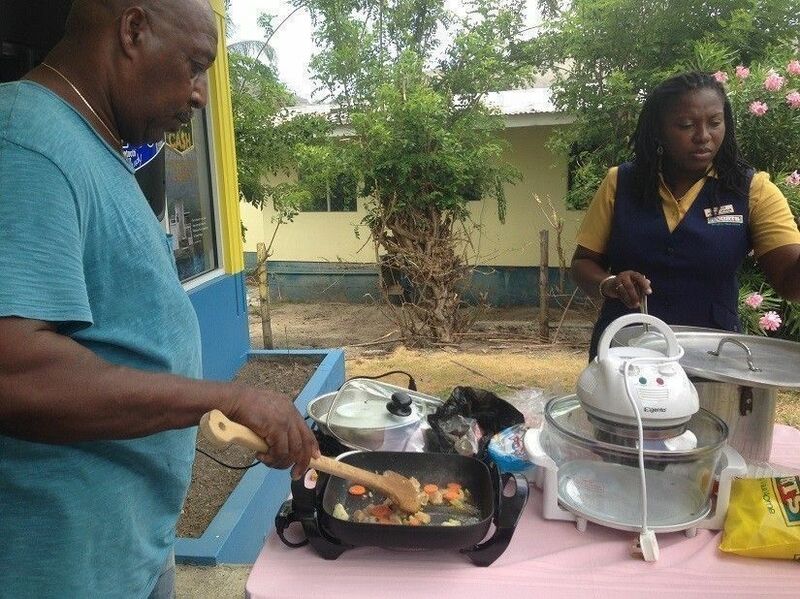 The stove that was handed over to Pastor Sydney Bute (Secretary/Treasurer) by Courts Commercial Assistant Indra Grant was well received by the institution.”The Church teaches various skills to young people such as meal preparation – this will come in very useful”. 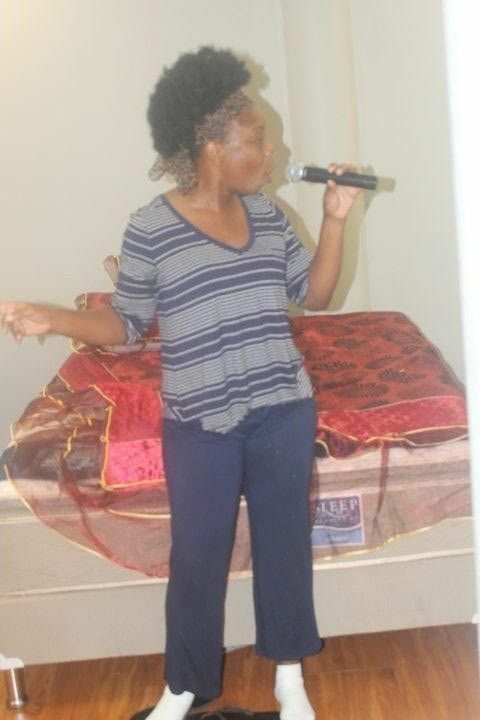 Ms Grant said that she hopes the donation will adequately fulfil the needs of this programme and commended the church for projects such as this to get the youth more involved in community activities. 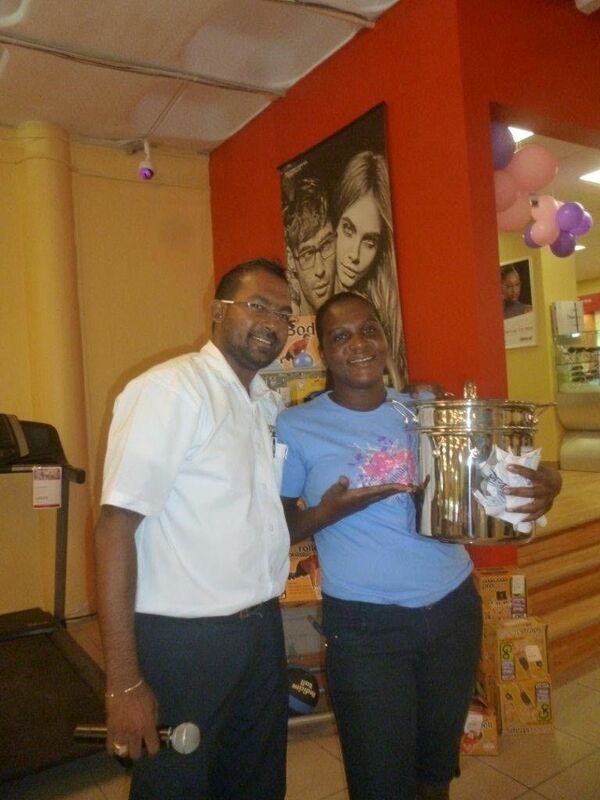 Courts shopper Glendeen Ballantyne is the winner of the 2016 Courts Valentine’s Day Campaign. The Green Hill resident won herself a romantic Valentine’s Day gift basket, which included a spa treatment for two compliments the Bamboo Spa, chocolates, a bottle of wine, among other gifts that suit the occasion. 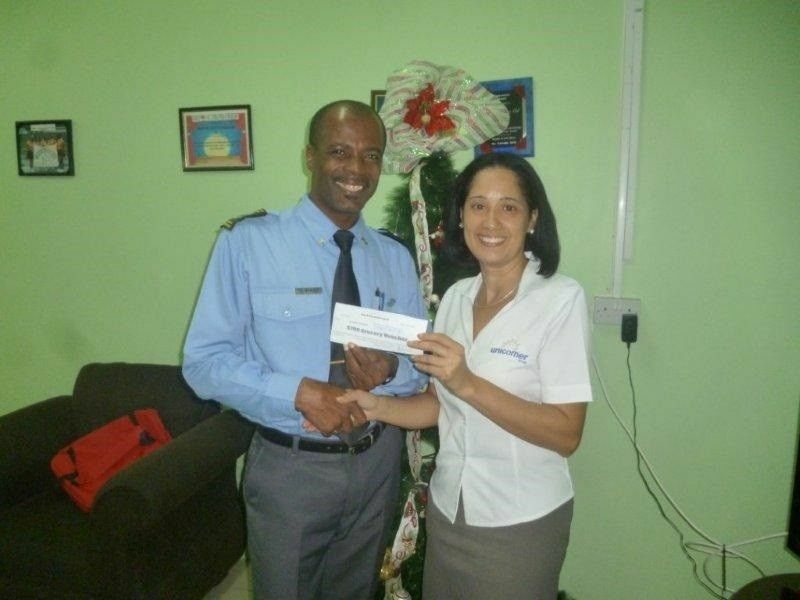 Ballatyne, a member of the Royal St Vincent and the Grenadines Police Force purchased a Front loading washer, to qualify for and ultimately win the campaign. 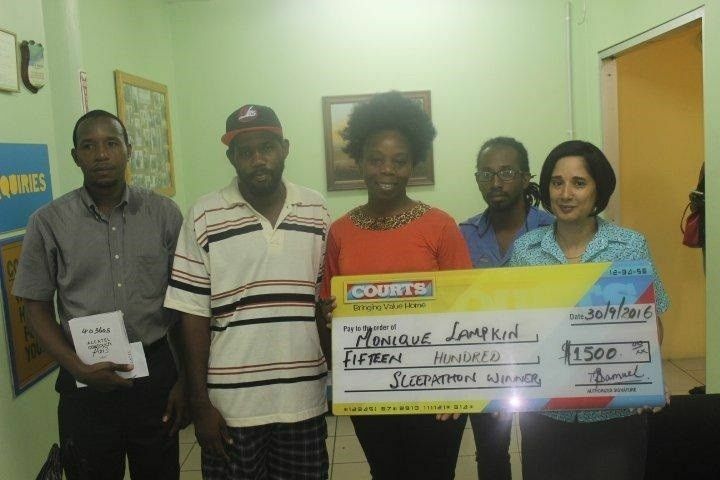 Ballantyne was elated to win the prize, and become the latest Customer of the furniture and appliance, eyewear and electronics store to benefit from shopping at Courts. Courts customers can look forward to new and exciting promotional campaigns soon, as the company continues to reward them for shopping at Courts. 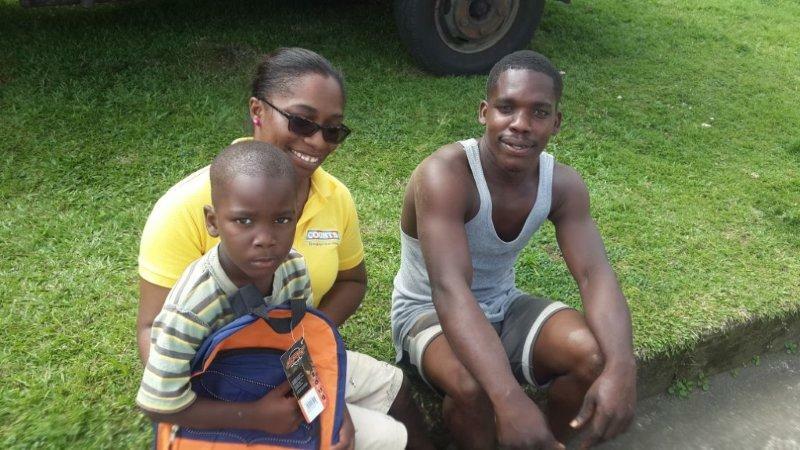 Last week Thursday, an awareness outreach exercise took place under ‘the almond tree’ on the Grenadine island of Bequia, where Courts staff educated customers on the various credit services available to them. 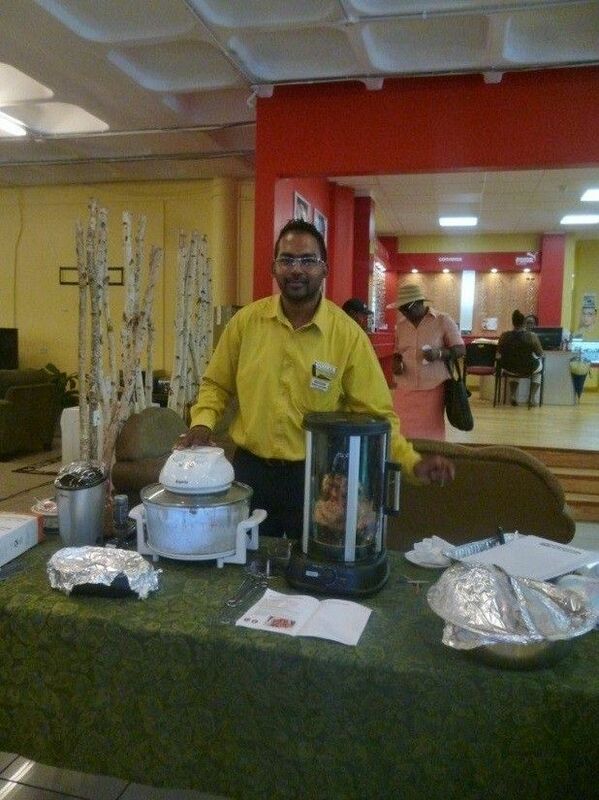 Customers were also treated to goat water bar-b-q meals. Courts Credit services include: Ready Finance, Cash Loans and Sales Financing. With Ready Finance, customers can purchase products on easy credit terms with flexible term lengths of 3 to 36 months, and various levels of insurance coverage for contingencies such as total loss or damage of product due to natural disaster or fire, burglary, robbery, disablement, hospitalisation and redundancy. Cash loans are available for any purpose, and anyone can apply. Sales Financing credit is available for making purchases at vendor partners. Courts currently has 20 partners in several industries, including hardware, auto parts and supplies, clothing and accessories, fabric, jewelry and general insurance. 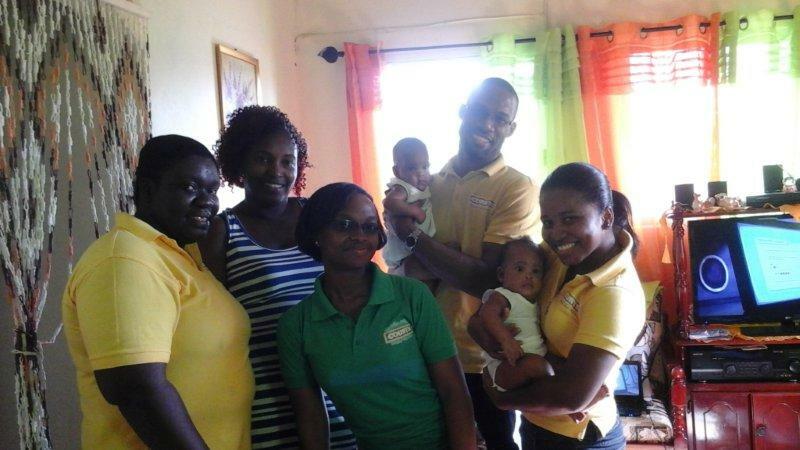 Courts St Vincent Ltd, in collaboration with the Ministry of National Mobilisation, came to the assistance of the Victims Support Programme. 2 Brother sewing machines were handed over by Commercial Assistant Indra Grant to a representative of the Ministry of Youth, Sports and Culture to be used in a programme that was implemented to assist women and their children by empowering them with knowledge while seeking to equip them with a skill to assist in the development of their livelihood. 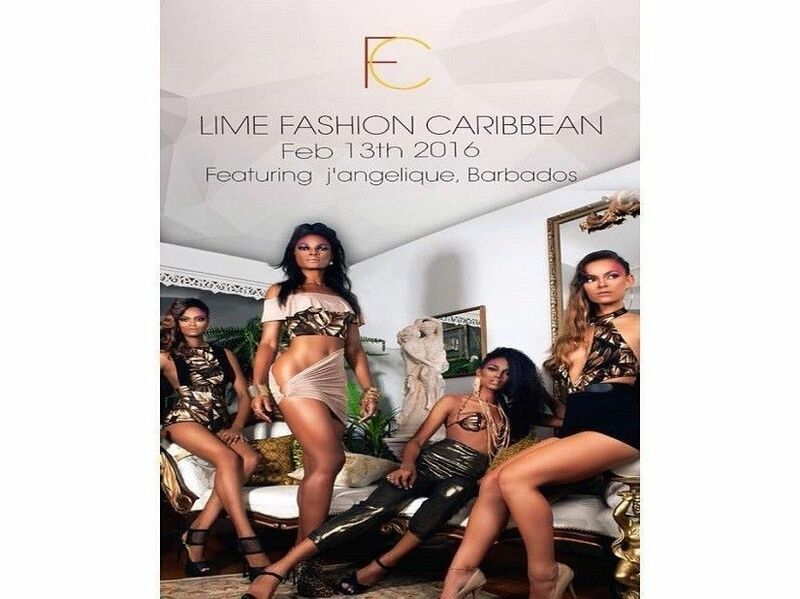 Jamal Jacob, Shernicia Mayers , Rachel Bailey and Olecia Lynch will present 4 of their original designs on the catwalk next week Saturday 13th February at the Community College at Glenn. 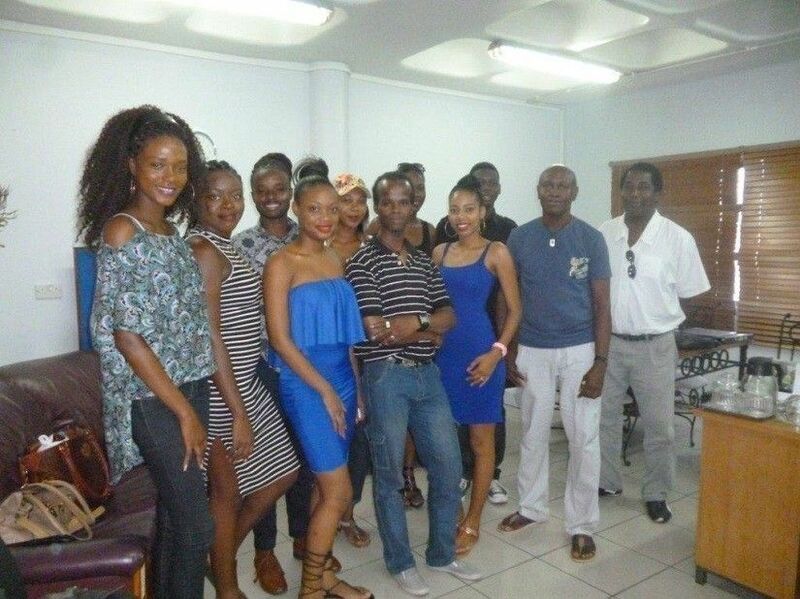 The participants are very excited at the exposure they will get – thanks to Courts & Image Modelling Agency. “We are very supportive of local talent and wish our three Ambassadors all the very best in their future endeavours. 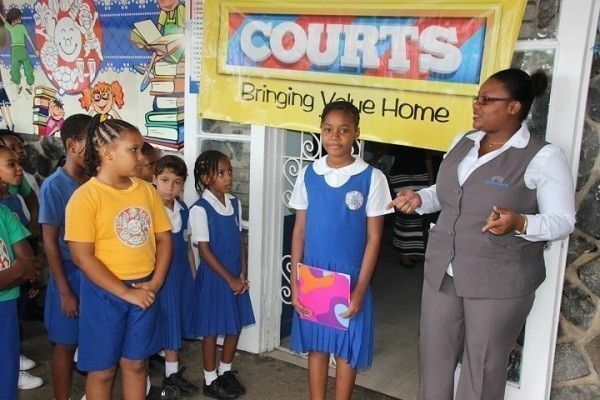 This is just the surface of how far they can dream… Courts is very happy to have been the foundation for them to launch their skills” Lisa Veira – Commercial Officer at Courts St Vincent stated. 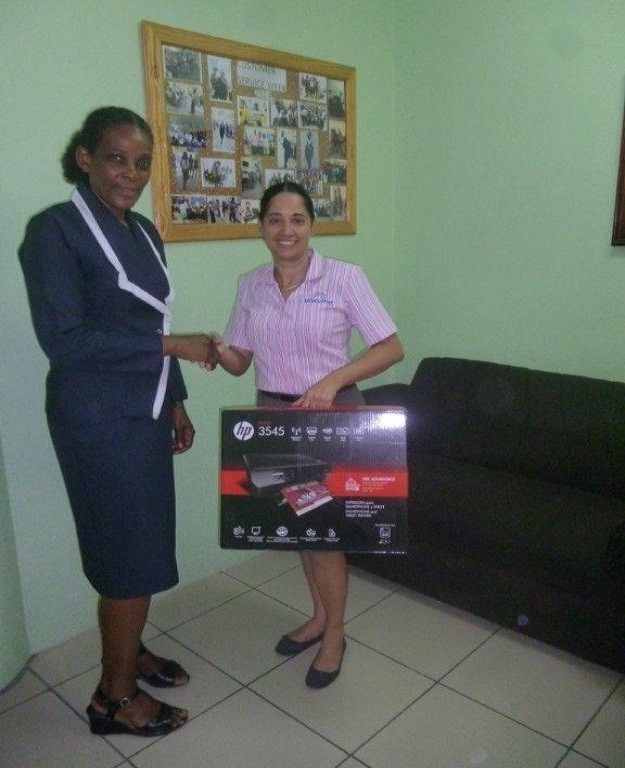 The CW Prescod Primary school were the recipients of an HP All in One printer compliments Courts St Vincent Ltd last week. 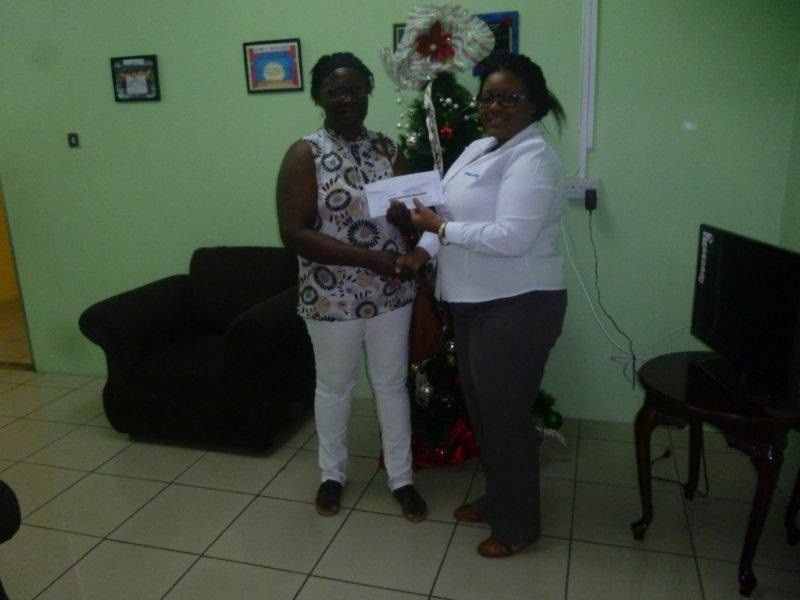 Gloria Glasgow, a teacher at the school accepted the donation at a handing over ceremony at the Kingstown branch from Indra Grant- Commercial Assistant. “Presently we have one working printer in the Principal’s office and it is very chaotic having to use that one to have all our letters and assessment papers done on time to give to the children. This printer will definitely make the load easier and assist us with the clerical work. We thank Courts for coming to our aid”. Courts is committed to supporting all areas of service in St Vincent – particularly Education. 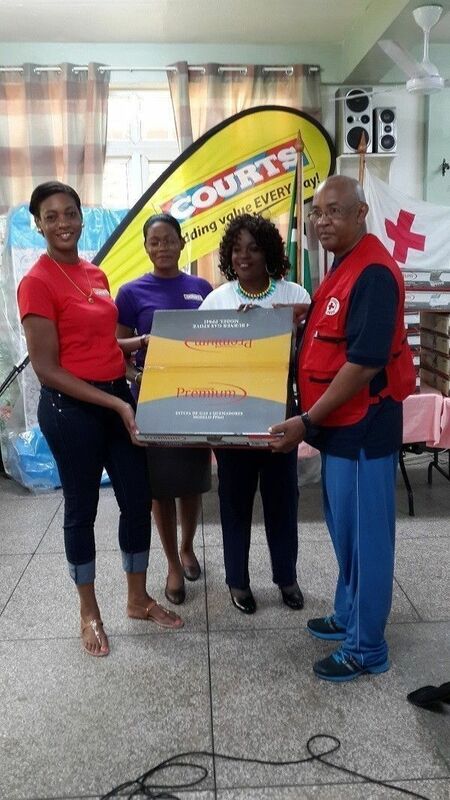 Courts St. Vincent Limited has partnered with Red Cross for their “Relief Outreach Programme”. More than fifty families in the North Central and North Leeward Areas will benefit from this partnership. The families will be the beneficiaries of food and hygiene that will go a long way in alleviating the daily strains that they are being faced with. 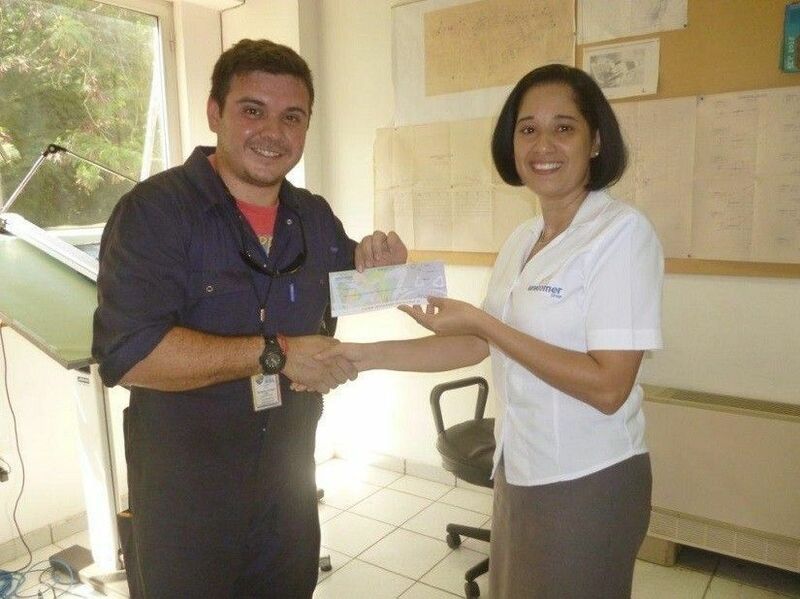 According to the Company’s Commercial Officer, Ms Lisa Veira, Red Cross continue to be resilient in their quest to provide interminable assistance to the needy. “We salute the efforts of the Red Cross as they offer this Humanitarian support. 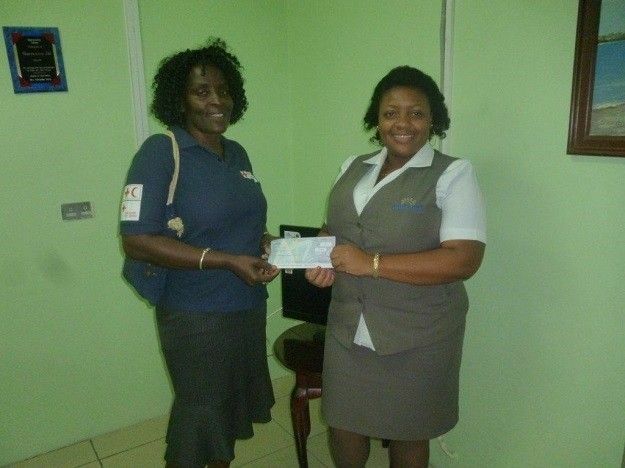 Courts St Vincent Ltd is committed to working with organisations like the Red Cross to ensure that we help persons who are in need by providing them with the basic necessities, at least, so they can go about their daily routine”. To learn more about about our corporate social responsibility projects, like us on Facebook at Facebook.com/courtsstvincent. Courts Cash Loans Open to the General Public!!! 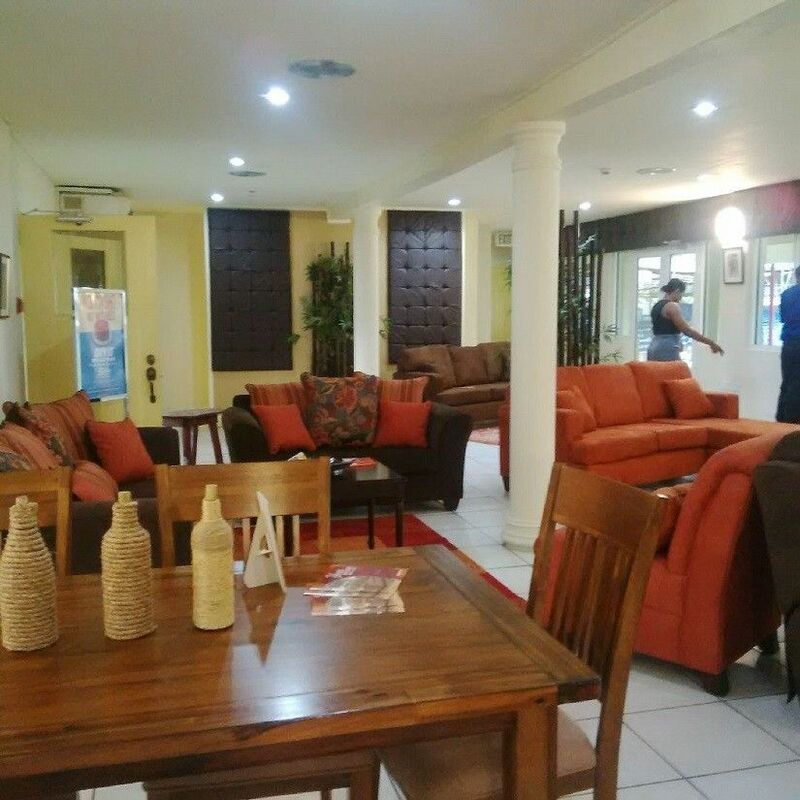 Any Vincentian can now take advantage of local furniture and electrical superstore Courts Unsecured Cash Loan. This revamped initiative was launch in November 2015 just in time for Christmas. Although the company has been offering cash loans to preferred customers for over five years, this new approach is in an effort to meet the changing demands of the retail market. Now, with the decision to extend the Ready Cash Loan offer to all the company’s valued customers, the company is really diversifying the way they do business. No security is required and individuals don’t have to be a Courts customer to apply for a Ready Cash Loan. New Courts customers can get a Ready Cash Loan up to $2700 in the first instance with up to 24 months to pay while returning Courts customers qualify for up to $7000. The requirements for application are: Two forms of picture I.D, Recent Job Letter and Proof of Income, Proof of Address and Two References. Strapped for Cash???? Head Down to Courts Today!!! Local furniture and electrical Super Store Courts, has launched their Valentine’s Day promotion dubbed “LOVE IS IN THE AIR, With the Perfect Gift for Valentine’s”. The promotion which will run until February 13th highlights a selection of the company’s world class brands at up to 50% off. Customers, who shop using Courts Reading Finance, Pay absolutely nothing for 30 Days. The company is very excited to have partnered with Boom 106.9 FM for their own Valentine’s promotion. Listeners of the very popular radio station must simply visit www.facebook.com/BOOMSVG1069 ,write about their perfect love story or heartbreak in sixty nine words or less, for a chance to win a fantastic prize from Courts. Visit Courts on Facebook at https://www.facebook.com/courtssvg/?fref=ts or shop online at www.shopcourts.com . The Hilltop Preschool at Mc Kies Hill recently was the recipient of a Mabe 20” stove which was donated to assist with preparing the meals for the toddlers. On Friday 29th January the pre-schoolers journeyed to Courts to say a special “Thank You” to the Management for the generous gift they received. Courts St. Vincent Limited known and appreciated for outstanding service to the Country has partner with the St Vincent & the Grenadines Coast Guard Service during the activities surrounding Coast Guard Service 35th Anniversary. The latest of such ventures is the donation of grocery hampers to the needy and less fortunate individuals across the Country. 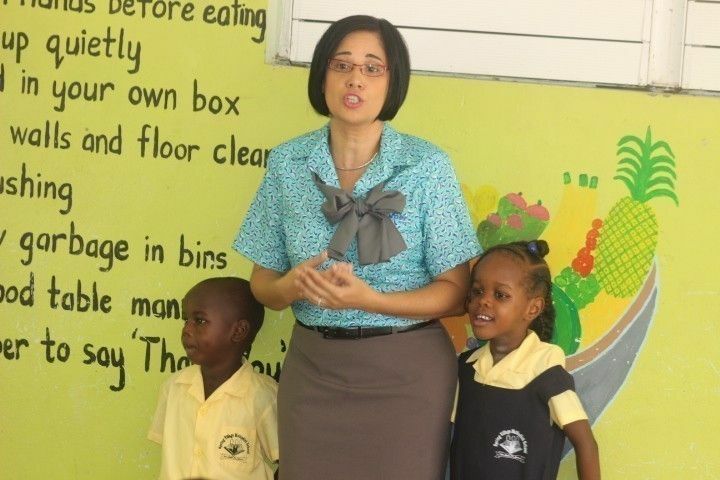 “Giving back to Vincentians has always been a priority of the company as this is part of our Corporate Social responsibility” said Courts Commercial Officer, Ms Lisa Veira. The realization of a need that went way beyond a simple donation could not have been misplaced, however, the joy of receiving such a gift from Courts, translated into hugs and cries of joy from all recipients. For more information on the many initiatives undertaken by Courts, visit us on Facebook at facebook.com/courtsst.vincent. For exclusive offers and deals, shop online at www.shopcourts.com. 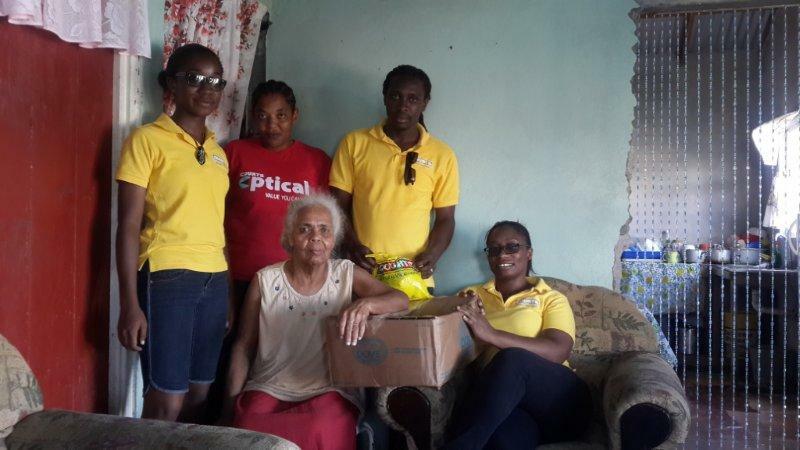 The campaign dubbed “Courts Wish List” was officially launched in 2010 with one primary focus; modifying the lives of those persons directly affected by Hurricane Tomas in St. Lucia and St. Vincent. 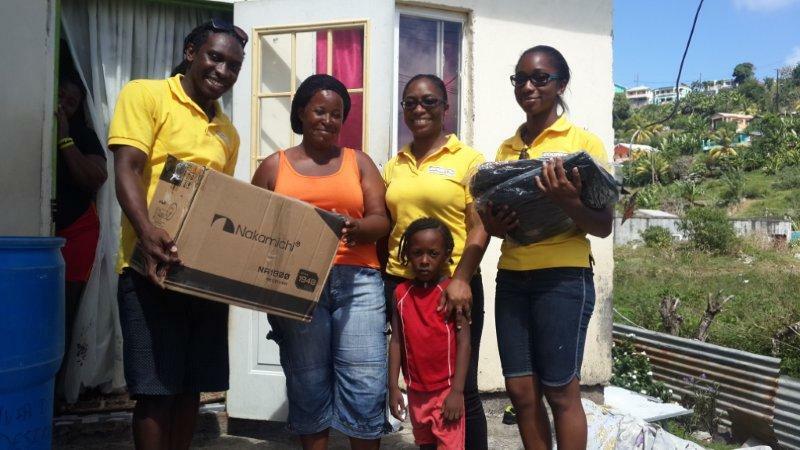 More than fifty persons benefitted from this venture that year in the two islands, some receiving brand news cookers, fridges and sofa’s with the majority receiving beds and mattresses. 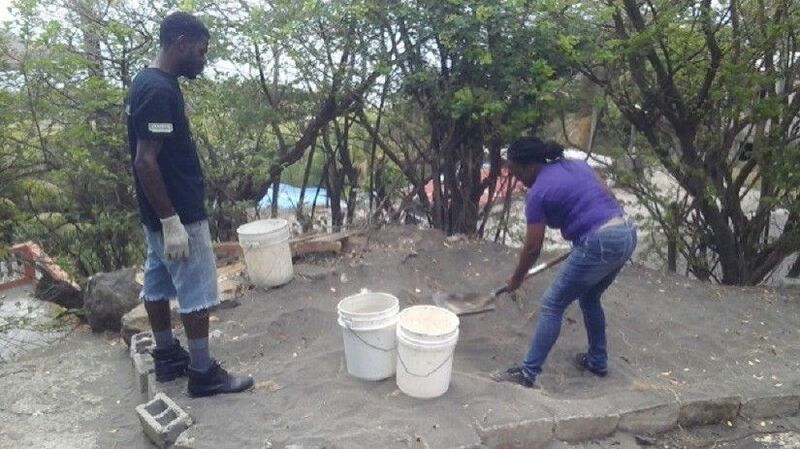 This tied in with the company’s corporate social responsibility which focuses on poverty alleviation in St. Vincent. 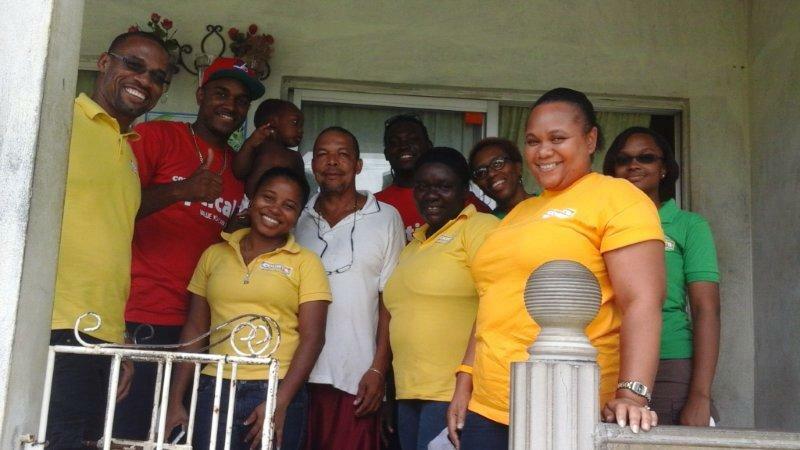 The campaign was officially launched on Tuesday December 1st on a popular radio station in St. Vincent. Letters, e-mails and calls poured in, each emotionally charged as they told of stories of hardships, obstacles, trials, but above all, stories of resilience and perseverance. The narratives and phone calls captured the determination of persons who lived with daily challenges and would be heartened by the joy and surprise of receiving a “Courts Christmas wish-list” item. The recipients received items to include kettles, beds, stoves, refrigerators and washers, as well as hampers complete with essential supplies to meet daily requirements. Courts Commercial Officer Lisa Veira expressed her gratitude to the well-wishers and recipients who made this initiative a reality. “We traversed through tough terrain, coming across high levels of poverty at every stop. This is why we are extremely happy to give back and to be able to bring smiles and in some cases tears to the faces of the recipients of these gift packages.This was an awesome and eye opening experience for many of the staff members who went out on this drive. We helped a bit of persons but we have only scratched the surface. We at Courts give every day, every week, every month, but it’s an overwhelming privilege for us to give back on such a large scale. We look forward to doing this again next year” Veira said. Visit us on Facebook on Facebook.com/courtsst.vincent or shop online at www.shopcourts.com. St. Vincent and the Grenadine’s leading retailers of the world’s best brands in Electronics, Appliances and Furniture products Courts, shows a softer side of the company as they welcome students from the School for Children with Special Needs to their doors. Four students from the Special Needs School experienced what it felt like to be a temporary employee of the superstore. 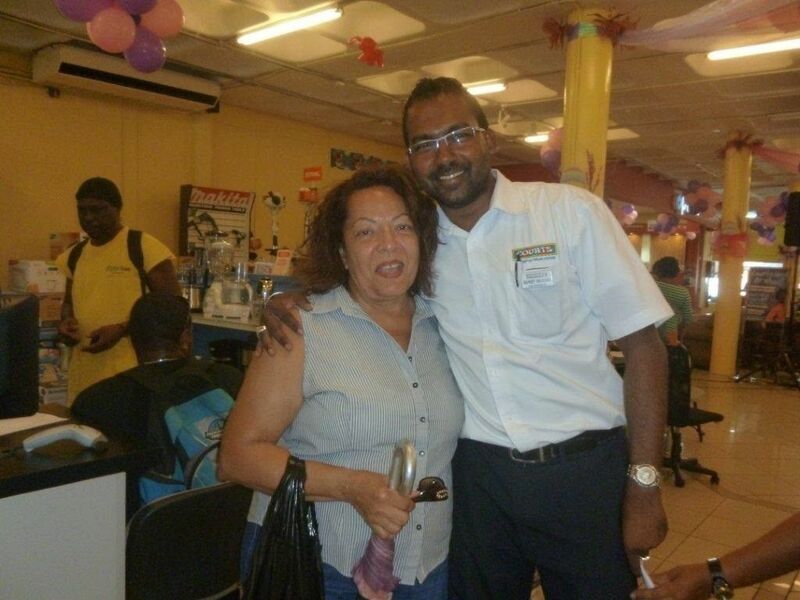 Mr Andrick Arthur who is hearing impaired was assigned to the Bargain Centre where he learnt how to deal with customers looking to get the best Bargain. Mr Jamal Mitchell who is also hearing impaired was educated on customer service as he was assigned to the sales department. 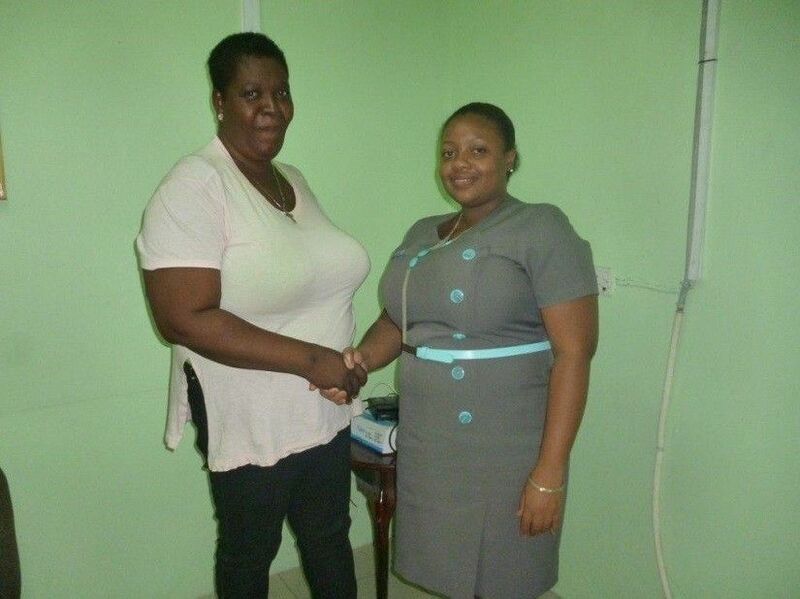 The lone female of the group, Ms Daleesha Patterson was assigned to the Credit department where she was taught how to approve sales. 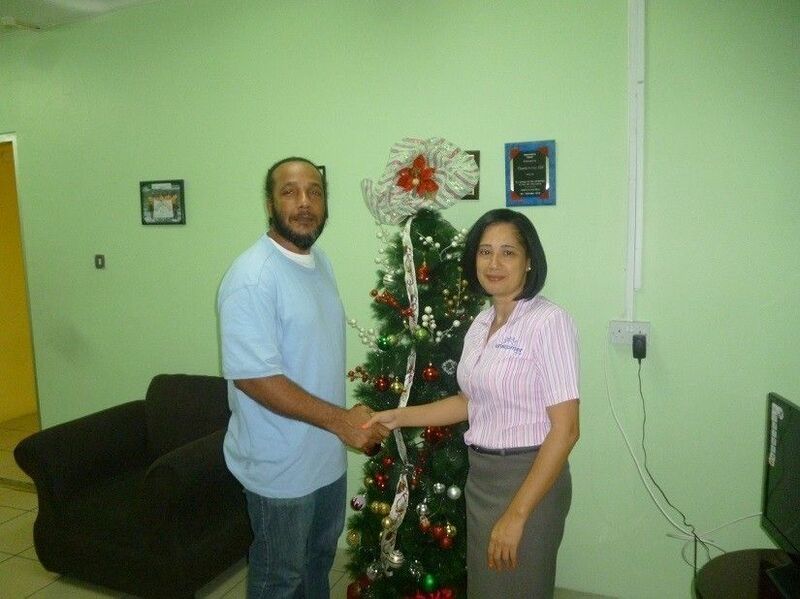 Mr Nigel Quashie was assigned to the head office as an assistant Office Assistant. The students will be rotated and reassigned to the company’s departments every week in an effort to enhance and develop their abilities to become employees in a workforce. This experience will prove to be essential as the students get set to occupy kep positions in the workforce in months to come. 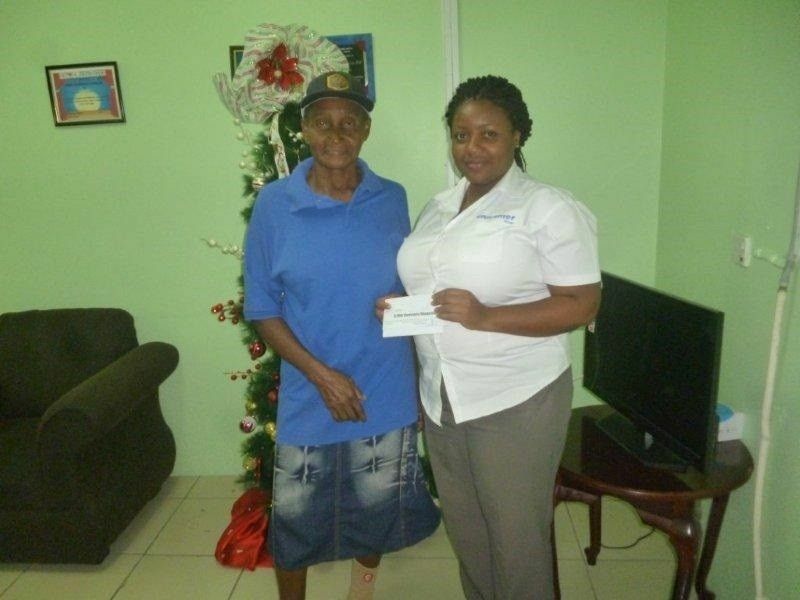 Twenty customers walked away extremely happy as they each received $700 towards groceries that were redeemable at C. K Greaves & Co Ltd compliments of Mabe. To be eligible, persons simply had to purchase ANY Mabe product during the promotion that ran from November 28th – December 31st 2015. Each winner when contacted were all very excited to get this gift at the perfect time of the year. They thanked Courts for helping to make their Christmas a little brighter by providing them with foodstuff to enjoy with their families and friends. Mabe is one of the many suppliers that support Supplier Funded campaigns that benefit Courts Customers. The branches opened early and provided the early morning shoppers with local bush tea as they did their purchases. The winners for the campaign were Alpheas Lavia- Bequia, Alban Williams- Mespotamia, Sylvonne Cain- Calliaqua, Collin May- Arnos Vale, Janeil Henry- Villa, Elenor Lavia- Questelles, Jasmine Hull- Bianou, Kiprene Grant- Green Hill. Each winner was excited when contacted. Most expressed their thanks and many promised to return whenever they had another major purchase to make. Two of the customers were actually first time shoppers and indicated that this was a great way to welcome them to the Courts Family. Customers shopping during Nov 1st – 31st got a chance to win $1500 in Shopping spree compliments a supplier funded promotion from Frigidaire. The criteria was simple- purchase a Frigidaire product, fill out the entry form and get an opportunity to be one of 2 lucky winners to walk away with the prizes. 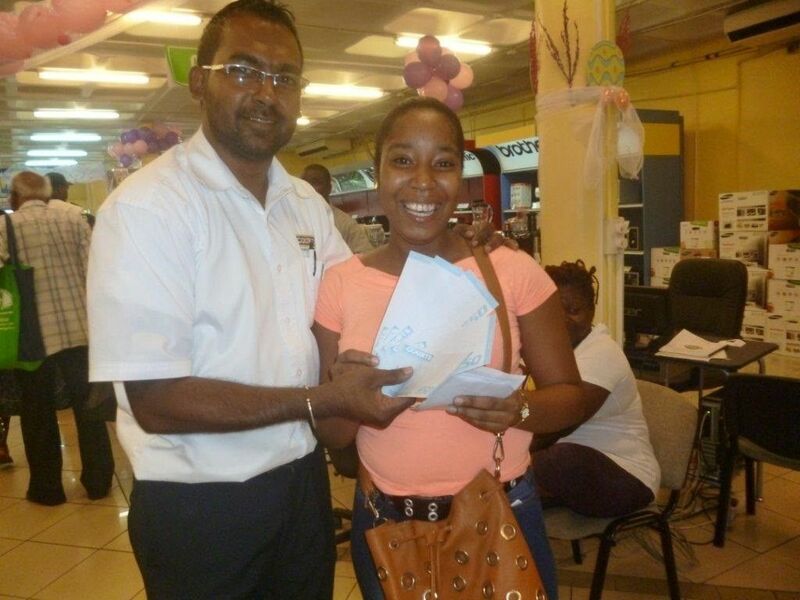 It was certainly a great surprise for Mr Joseph Mapp and Ms Idena Ballantyne, who when contacted, were elated with the news that they were the winners from among many eligible shoppers. Mr Mapp is a retired headteacher who has called Courts his number one shopping centre as he has done numerous transactions with the company and is always pleased with the service. Ms Ballantyne who comes from the Grenadine island of Union Island owns a small business and was also extremely happy that she had won. Both customers wasted no time in claiming their winnings and promised to return if they had a need for another purchase. 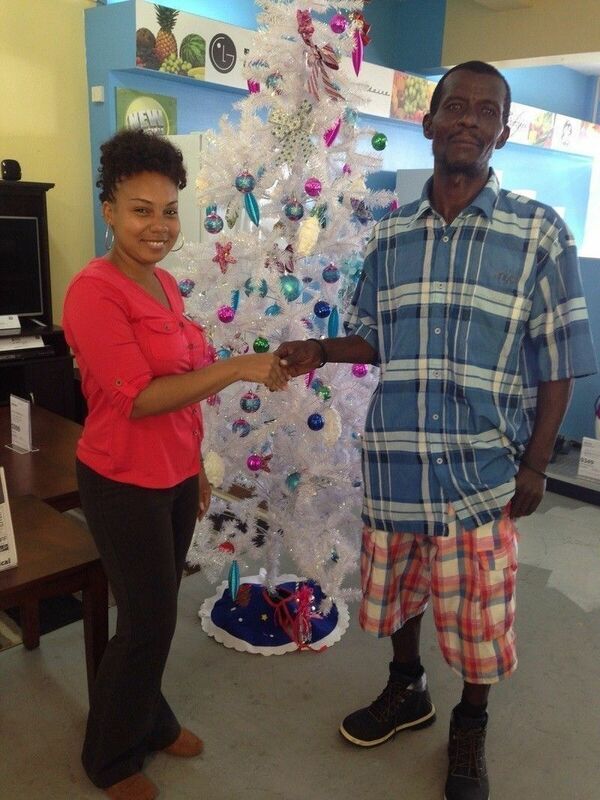 We congratulate them both and thank them for choosing Courts as their place to shop. On Nov 6th 2 lucky winners were announced from our Peak Season Promotion. Whirlpool winner Mrs Bernadette Gurley walked away with $10000 in cash. The resident of New Montrose was speechless when she realised that she was the grand prize winner. She vowed that this is certainly not going to be her last purchase with Courts as she has been a customer since inception. The house wife stated that although she had no initial plans for the money, it will certainly come in quite useful during this Christmas Season. She thanked Courts for making her wish come through. 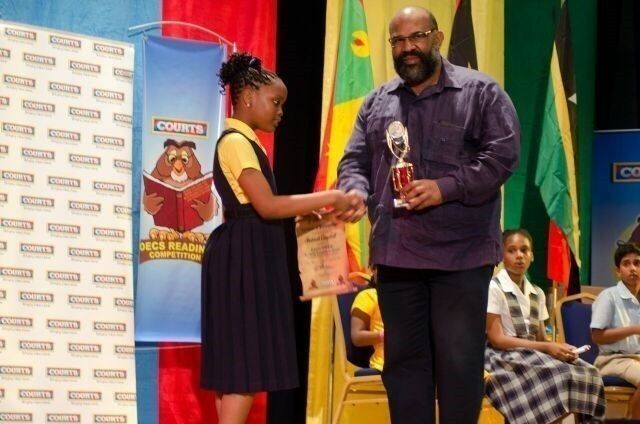 Organizers of the Courts Primary Schools reading competition are hopeful and confident that this year’s representative would bring home the OECS title. Courts Representatives, as well as Ministry of Education officials say that this time; marking the 7th year that the event is being held here, would be a perfect time for the elusive trophy to come to these shores. 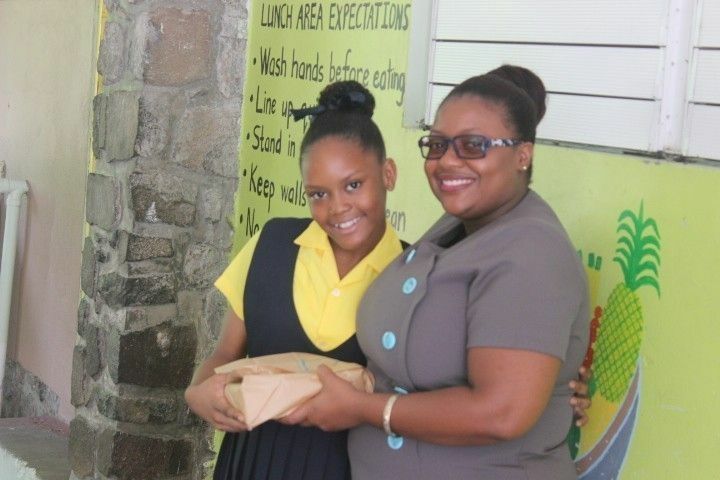 With seven representing the number of perfection, the officials say that they believe young Joelle Campbell, the nine year-old lass from the Spring Village Methodist School, could be just the person to make this happen. 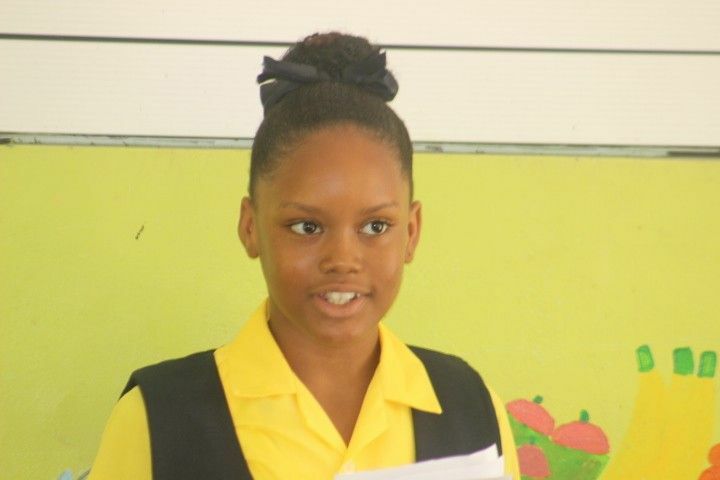 Campbell topped the field of ten students in her age group, to secure the opportunity to represent this country in Dominica in the Regional Finals after the local leg of the competition, which took place last Friday 25th September at Frenches House. Campbell got top marks in the narrative section; reading a short story entitled “The Red Rose.” She also took the first place in the news item category, confidently maneuvering through a newspaper article, pulled from the pages of the SEARCHLIGHT newspaper. For taking the first position, Campbell won herself $2000, and another $2000 for her school. 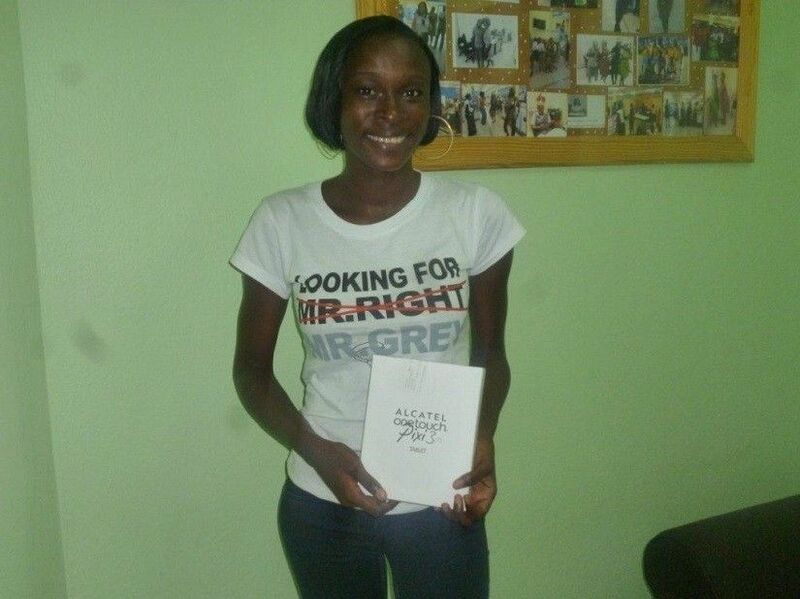 Apart from the cash, she also won a trophy, a number of other prizes, including a one year e-subscription from SEARCHLIGHT, and the opportunity to read a news segment on SVG TV. An excited Campbell thanked her parents and teachers for the support that she received in preparation for the competition, and thanked God for winning the finals and the chance to represent her country, which she said that she would be doing with the best of her ability, when the time comes. Placing second was Janos Lucas of the Calliaque Anglican School, while Saskia Truchot of the Sugar Mill Academy placed third. Two customers purchasing any 48” – 55” TCL televisions during the period August 21 – Sept 19th had a chance to win their purchase free. Our lucky winners were Mr Daniel Ravotti of Indian Bay who purchased a 55” TCL and Ms Carmen Kelly of Diamond who purchased a 48” Smart tv. Both winners when contacted were elated and expressed their appreciation. They were pleased with their products and intend to return if they need any future purchases . Help is on the way to storm ravaged Dominica in the form of mattresses, donated by furniture and appliance store Courts St Vincent Limited. 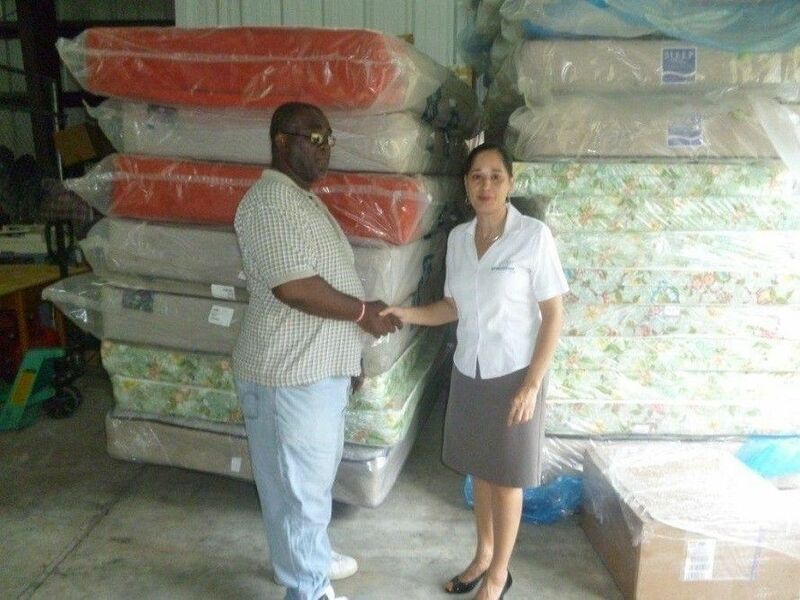 Courts’ Commercial Manager Lisa Veira presented the National Emergency Management Organization (NEMO), with 22 mattresses to be sent to the neighbouring sister country, in an effort to relieve some trauma caused by Tropical Storm Erika. Erika ripped through Dominica on August 28th 2015, claiming dozens of lives and wreaking hundreds of millions of dollars’ worth of damage in the process. Veira said that the donation, valued over $18,000 ECD was a small part of what the company plans to do for those affected by the storm. 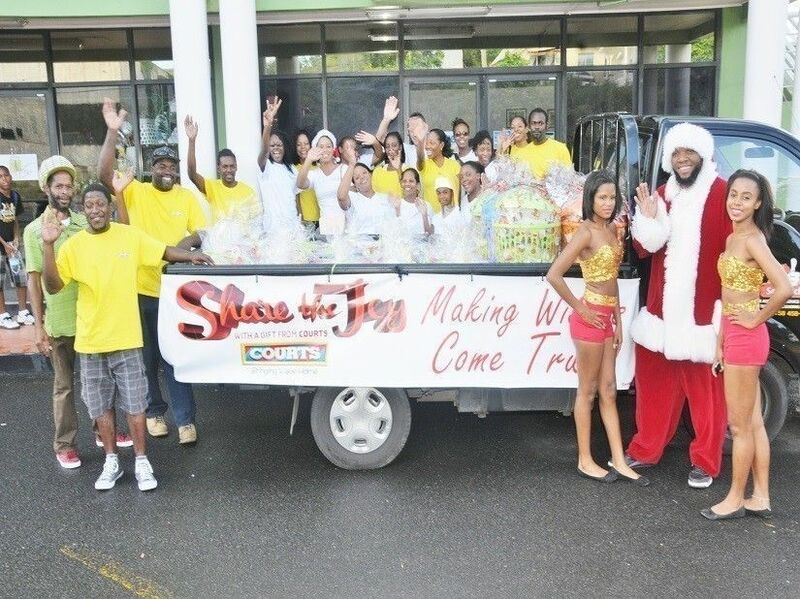 The Management of Courts OECS has committed to donate over $50,000 in products to the victims that are most in need. 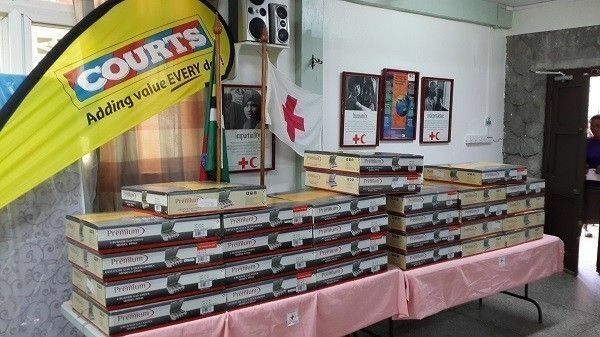 The other donations that are being given are Premium table top Stoves and another shipment of mattresses from Courts Antigua. The mattresses were handed over to St Vincent’s NEMO’s Warehouse Manager Raymond Yorke and would be shipped out to Dominica on Saturday 12th September. 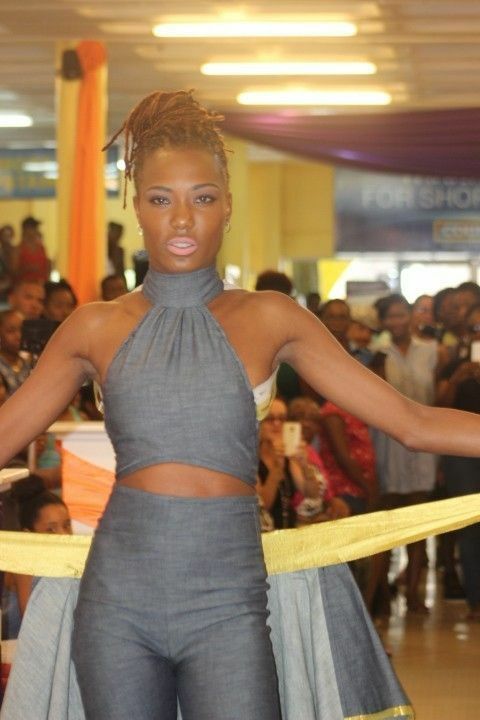 His first appearance in a fashion show has earned Jamal Jacob the title of the Courts Fashionable Furniture Competition winner. Jacob, who hails from Old Montrose gained the judges nod over 11 other young designers in the furniture and appliance store’s second hosting of the competition, which allows the fashionistas to create clothing inspired by furniture in the Courts furniture catalogue. The winning piece, modeled by Jacob’s sister and last year’s winner Davilla Providence, was inspired by the Kayla five piece dining room set. The elated designer said that he was well pleased with his victory. “I feel very great because this is my first time in a fashion show. I never entered into anything before, so this is a great feeling. “I have been designing for three years now and usually designed my own clothes, so it was good to see that I did something for a female and was outstanding at it,” Jacob said. Jacob thanked his family and friends who encouraged him to enter the competition, and congratulated the other participants who entered the event. 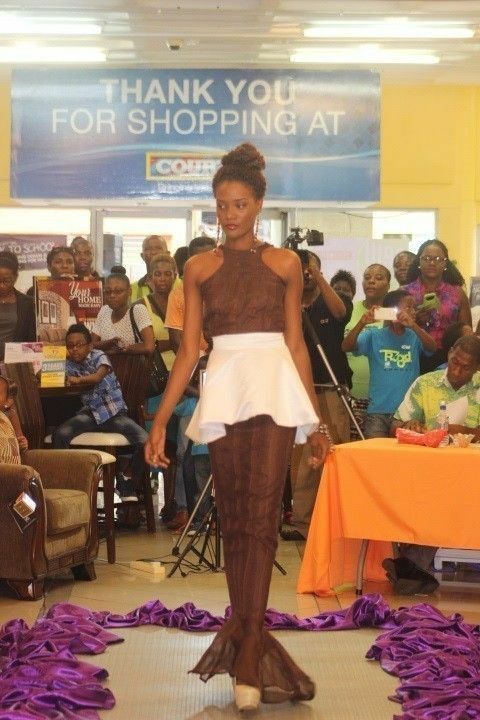 “It was a great show and it shows that we have a lot of talented designers here in St Vincent. I am glad that Courts has an event like this that gives us the opportunity to show what we can do. 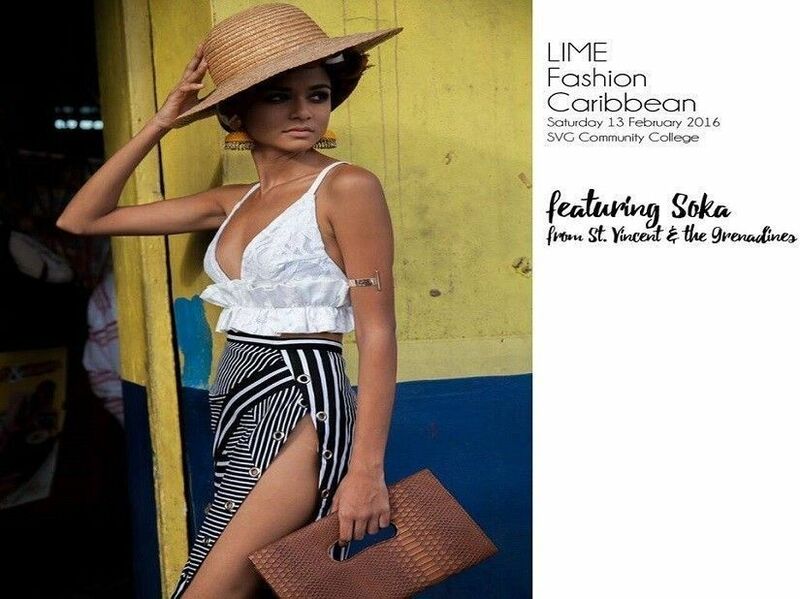 He also gets the opportunity to have pieces showcased at the upcoming Fashion Caribbean show, slated for later this year. Placing second in the competition and earning $1000 was Shernicia Mayers, while Rachel Bailey placed third winning $500. All participants received the Courts and fashion house voucher, as well as a certificate of participation. The Courts fashionable Furniture competition, is fast becoming one of the most anticipated events on the company’s calendar, with customers and designers saying that they are looking forward to the next hosting of the event. We're ready for the Catwalk! 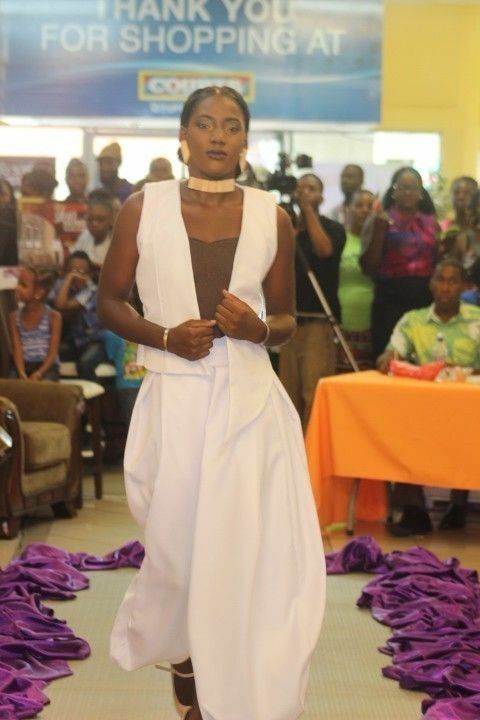 Next week Friday, August 28th, the place to be is inside Courts St Vincent Ltd where the catwalk will be on fire as 12 upcoming local designers will vie for the converted winnings and title of being awarded Courts Fashionista 2015. The winner walks away with $2500, second place $1000 and third place $500. Competition starts at 12pm and contestants will create a design that mirrors a furniture product highlighted in the Home Furnishings Brochure. The wait for customers of Courts St Vincent Limited on the long anticipated optical store is now over. On Friday last week, the curtains came up on the newest addition to the line of products and services offered by the furniture, electronics and appliance store, with the launch of its Optical store, located at the Kingstown showroom. Courts Optical promises to offer customers Value they can see. Patrons got a first-hand look at the facility, following a brief opening ceremony, which heard remarks from Senior Manager Michelle Samuel, Matthew Bender Regional Optical chain manager, and Dr Rosmond Adams, National Epidemiologist in the Ministry of Health, Wellness and the Environment who delivered the feature address, urging customers to pay close attention to their eyes, which could determine their general health and wellness. The store, which offers state of the art equipment and technology, will be helmed by seasoned optometrist Indra Hadley, who would be ably assisted by Michelle John, Indra Charles, the department’s Optical Service Representatives, and Samantha Garraway, Dispenser/ Supervisor, who are ready and willing to serve with the usual Courts excellence. 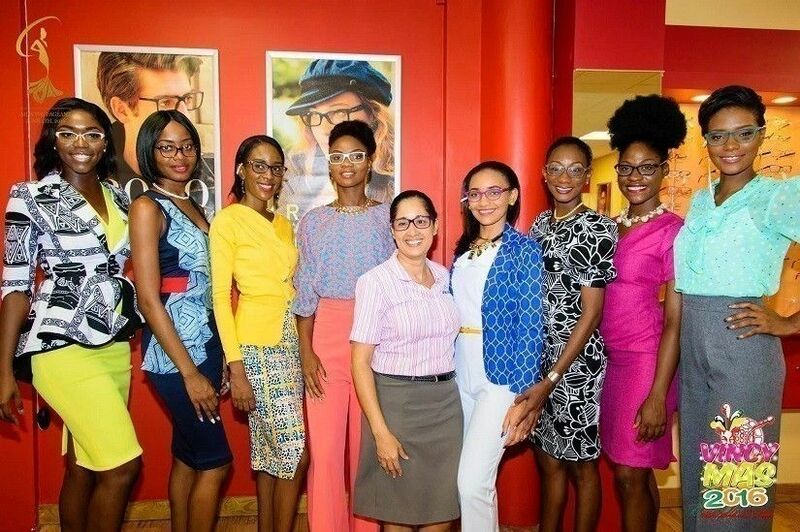 The Courts Optical store, the first in the OECS, is one of 22 stores located in the Caribbean, and one of 100 in the region. Courts has been operating Optical stores for the past 15 years. The highlight of the launch was a highly appreciated fashion show, where models displayed the many brands of eyewear available at the store. The store offers the latest brand in glasses, contact lenses and shades, with customers having up to 24 months to pay, if they need eyewear, following their free examination. 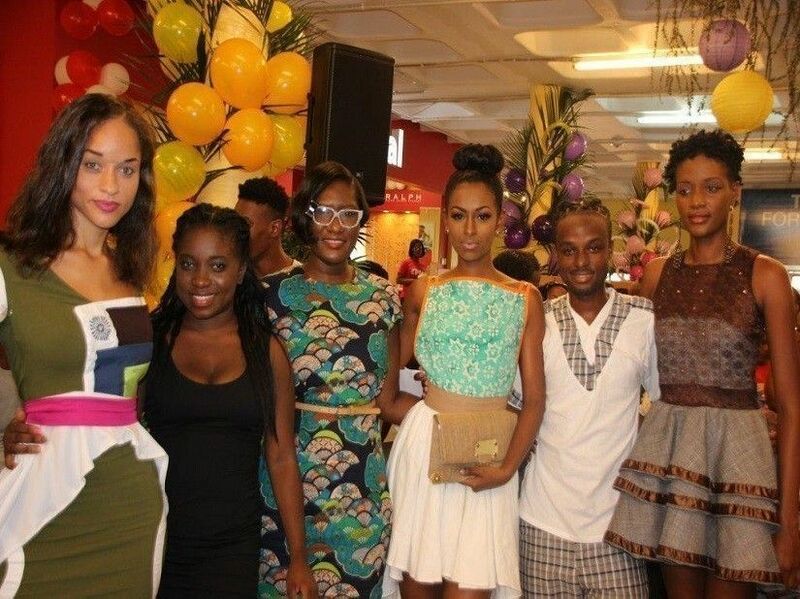 Customers who purchased eye wear at the launch were also given a free gift, and 10% discount on their purchase. 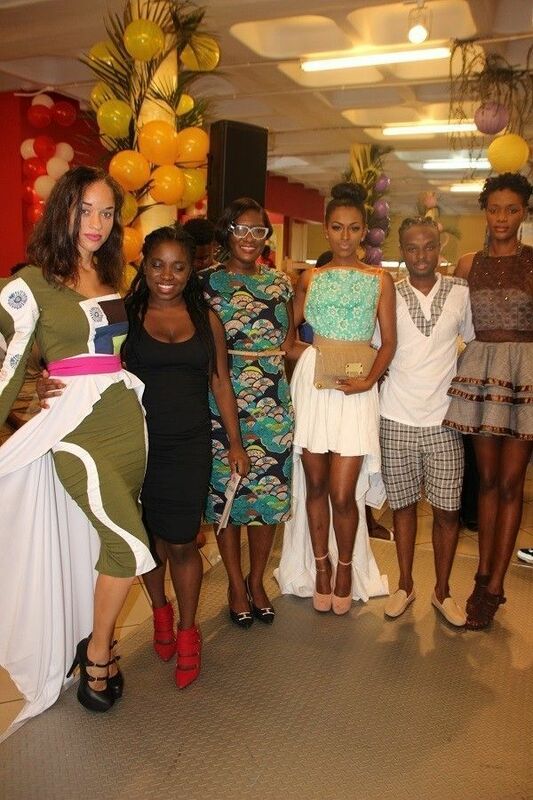 It’s back and better than before – the Courts Fashionista competition!!!!! As part of our Fashionable Furniture promotion which commences Friday 31st July, we will be hosting an in-store fashion show slated for Friday August 28th. The deadline for registration is August 14th . The aim is to promote and give a launching platform for local talent particularly young persons who don’t have the avenue to showcase their sewing talent. 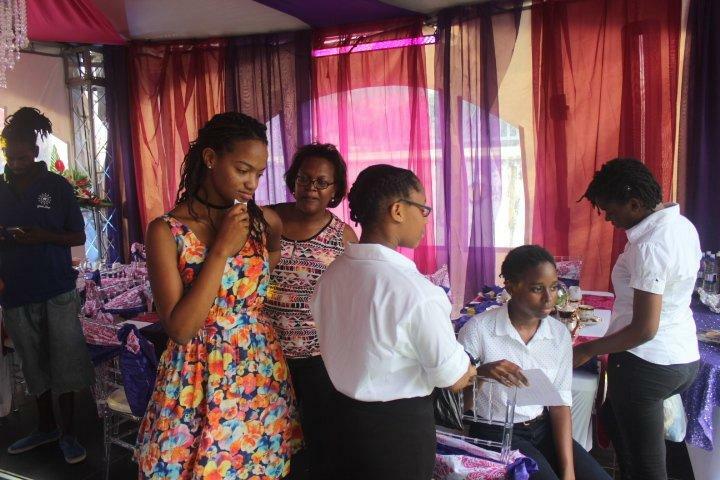 Last year’s show was a tremendous success with participants ranging from 18 -24 yrs ( Beulah Sterling (24 years), Shecania Small (23 years), Olecia Lynch (24 years), Dahvana Providence (19 years), Latisha James (18 years). Our winner last year was Dahvana Providence who walked away with $1000 cash prize.This year we have increased the winnings and up for grabs is a First prize of $2500. All participants will get a stipend of $200 to assist with the purchasing of the necessities required for the design. All designs must be inspired by a piece of furniture featured in the current “Fashionable Furniture” brochure . $100 Courts vouchers to put towards any new purchase $999 and over on credit 24 months and over or use to pay towards an account. $100 fashion voucher from a fashion house. Interested persons are encouraged to collect their entry forms which are available at Courts Kingstown and Bequia branches. 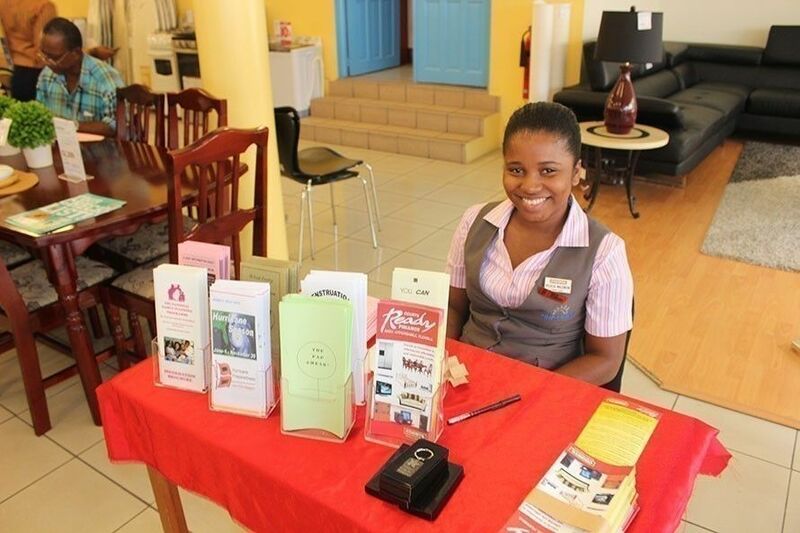 Bequia native, Veshka Telemaque would be enjoying one year’s worth of free NETFLIX, thanks to furniture and appliance store Courts St Vincent Limited. Telemaque was the winner of the store’s TCL promotion that recently ended, which saw persons purchasing a TCL SMART TV becoming eligible to win the online/ live streaming service, which is in high demand worldwide. The Hamilton, Bequia resident said that she is very excited to win the prize, seeing that she is already a NETFLIX subscriber. “I already have it at home so now that I have won it for a year, that’s a great thing. The free service is just the icing on the cake,” Telemaque stated. A long-time customer of Courts, Telemaque said that she would continue to support the company, since it gives chances and opportunities to all. Four member singing group New Starzz are the face of this year’s Courts Carnival campaign. 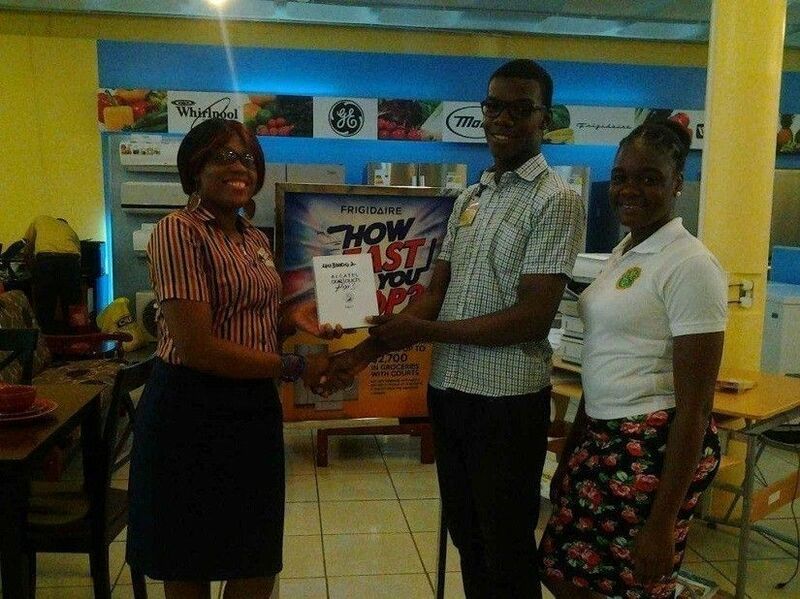 The 2014 winners of the Uncle Skinny talents search competition signed a deal with the furniture and appliance store to promote the deals and offers available during the Carnival season. The melodious group, which comprises Ansil “Chickyn” Commissiong, Marcus “Jimps” Currency, Joren “Eezy” Nelson and Fizroy “Fitz” Creese, transformed their 2015 Carnival rendition “Girl Come Over,” to the new jingle that will be heard in store, as well as on radio and television commercials nationwide. Commissiong, speaking on behalf of the group, said that the partnership with Courts is an overwhelming experience for them, as it gives them an opportunity to interact with a wider audience through the promotion’s marketing campaign. He said that the youngsters were thankful for the opportunity to work with the leaders in furniture and appliance in St Vincent and the Grenadines, and hopes that many of their fans would support the store, as well as customers of the store would become fans of the group. Courts Commercial Manager Lisa Veira noted that Courts was proud to join forces with New Starzz, as it has done with other local artistes over the years. She pointed out that for this promotion, Courts aligned itself with the artiste as they have potential, and are relatively new on the entertainment scene. She said that Courts was glad to choose this year the young, energetic and vibrant Starzz, who mirror what Courts stands for during the season. This year’s promotion will see Courts customers paying Nothing down and Nothing to pay for 60 days, and four customers will win a free one year Netflix subscription, with the purchase of a TCL Smart TV. As part of the Carnival package, persons spending $999 or more, cash or credit, will get a free Guiness t-shirt pack, and will be entered in a chance to win a free costume from the section “Bacchanal”, compliments SVG Players International. The Courts Carnival promotion runs until July 4. 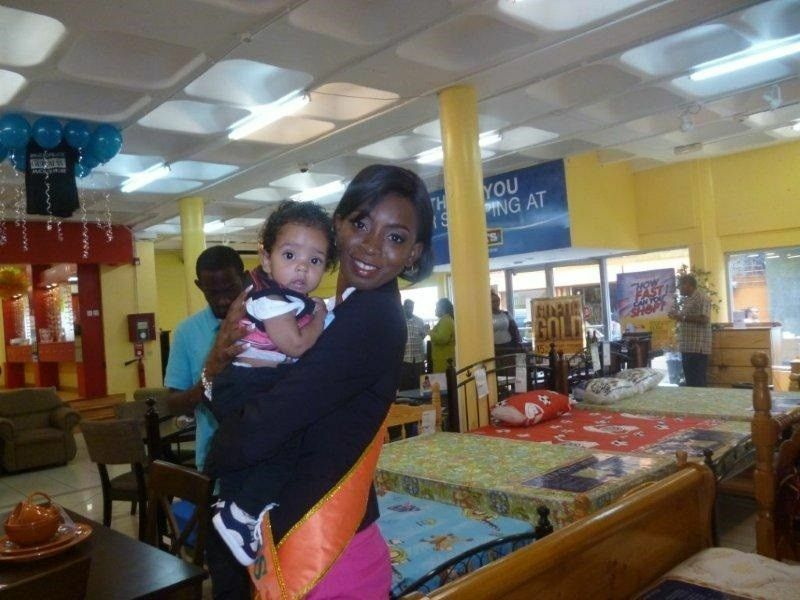 In keeping with an annual tradition of rewarding the winner of the Miss SVG pageant, furniture and appliance store Courts last week made a presentation of a mobile device to this year's winner, Deyonte Myers. Courts presented Myers with a Samsung Galaxy Tablet, a move from the customary laptop that had been provided over the recent years. Courts Commercial Manager Lisa Veira said that the move was in keeping with the technological times, as she presented Myers with the gift and wished her all the best in her upcoming ventures. 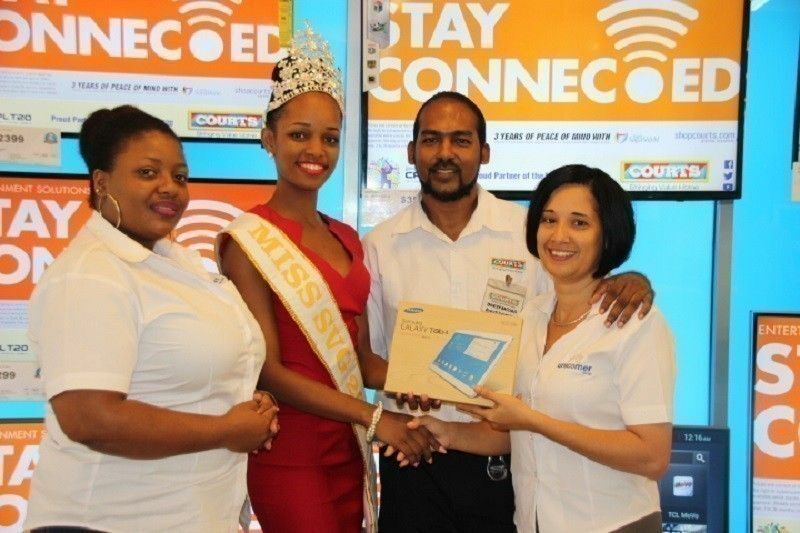 "Courts has been at the cutting edge of technology, and this year we are showing this by presenting Miss SVG 2015 with a lighter, and just as fast device, which can serve the same purposes as any other computer device in store. 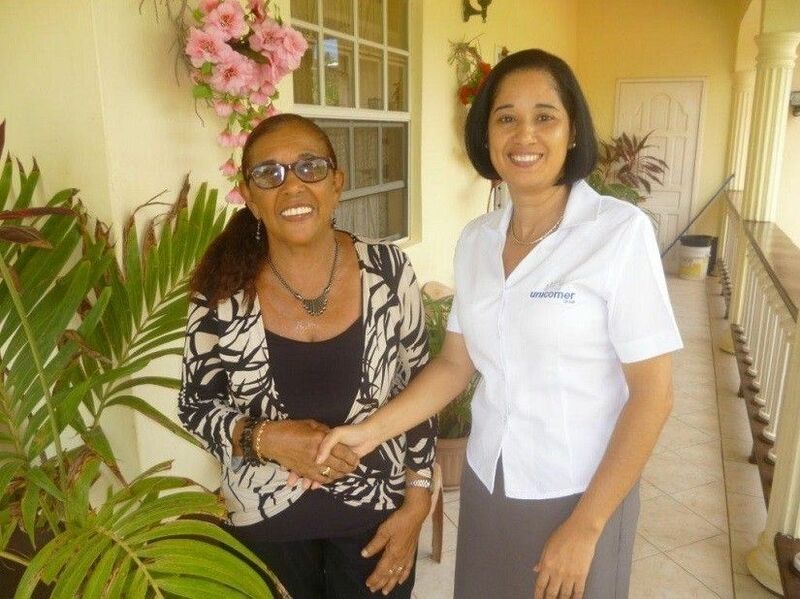 We hope that this gift will go a long way in helping Miss Myers in her upcoming engagements, and every success as an ambassador to St Vincent and the Grenadines." 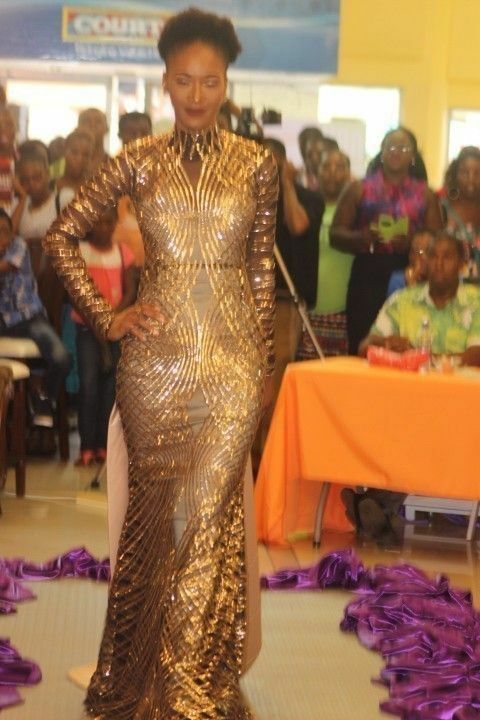 Myers, who represented Mustique Company in this year's pageant, graciously accepted her gift, which she indicated would go a long way in upcoming studies. "I am very thankful to Courts for this gesture. A device like this will help me in my studies and I truly appreciate it," Myers said. The teachers and students of the Windsor Primary School have promised that they will be following in the footsteps of Rhianna Harry, and will keep the title of Courts Primary School Reading Competition champions at the school. This morning during the school’s assembly and devotions, the furniture and appliance store launched the 2015 competition, which is slated to kick off on June 29 and will run until July 1 with the preliminary rounds. The local finals are slated for September 2015. 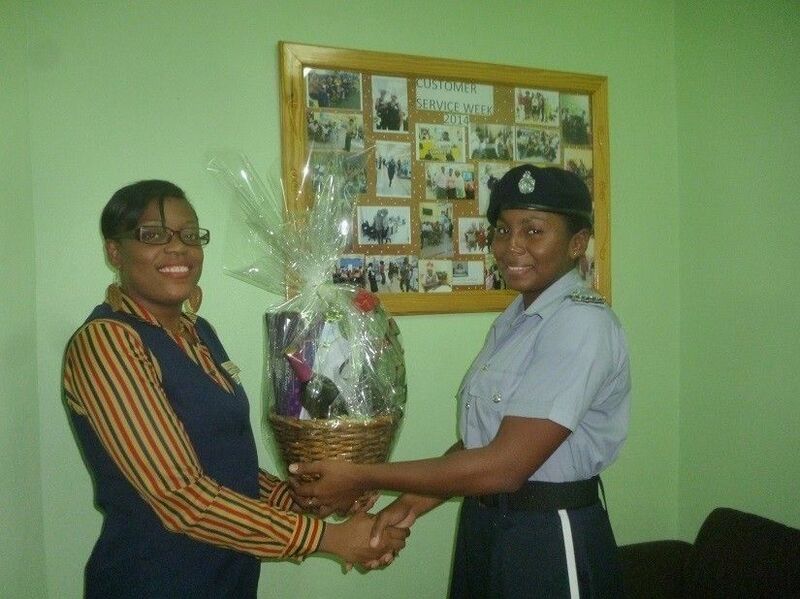 General Manager of Courts St. Vincent, Michelle Samuel, took the opportunity to once again congratulate the school for producing last year’s winner Rhianna Harry, and challenged the institution to do its best at this year’s competition. This year, the winner of the finals of the local leg of the competition will receive a monetary gift, as well as a number of prizes from various sponsors of the competition, and will also represent St. Vincent and the Grenadines at the regional finals slated for Dominica. Harry, who put in an excellent performance at the regional finals last year, thanked Courts for the opportunity to represent her country overseas, and also thanked her teachers and mother for the support given to her throughout the competition. She also encouraged her fellow students to practise in order to sharpen their reading skills, as she wished the best to whoever will be representing the school this year. 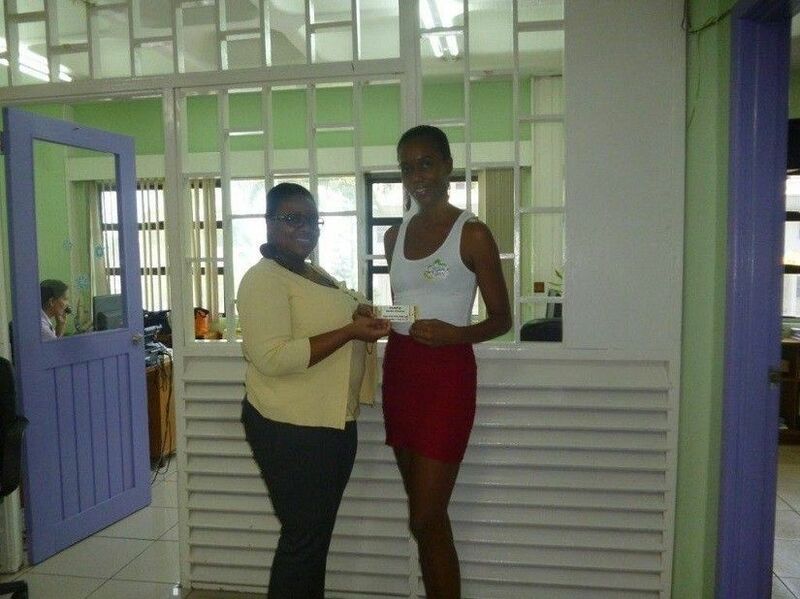 Last year Courts made a donation to the Ms Bequia Beauty show by way of small domestic products that were given to the winner of the competition. This year is no different as Commercial Manager – Lisa Veira has expressed the company’s commitment to supporting the Grenadine Island that is trying to revamp their festivities. 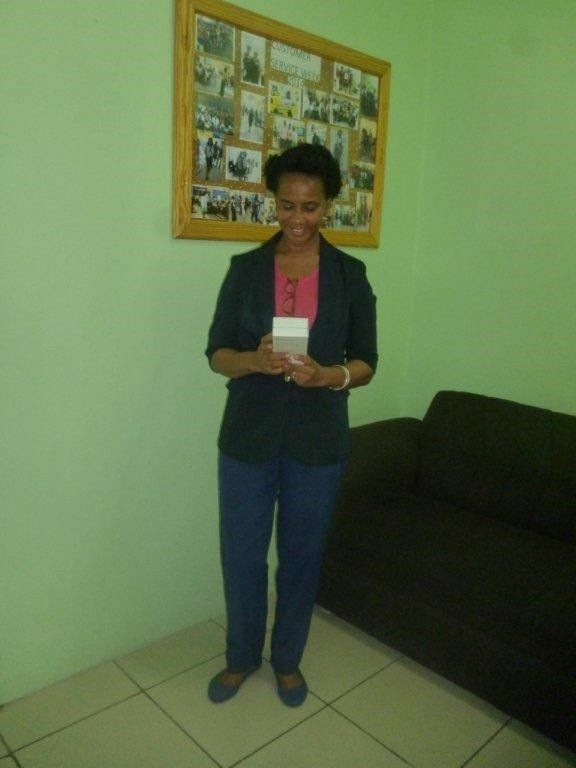 Bequia’s Manager- Afranka Graham made the handing over of some of the prizes last week Friday to member of the Committee who were very excited to have Courts partner with them a second year in a row. 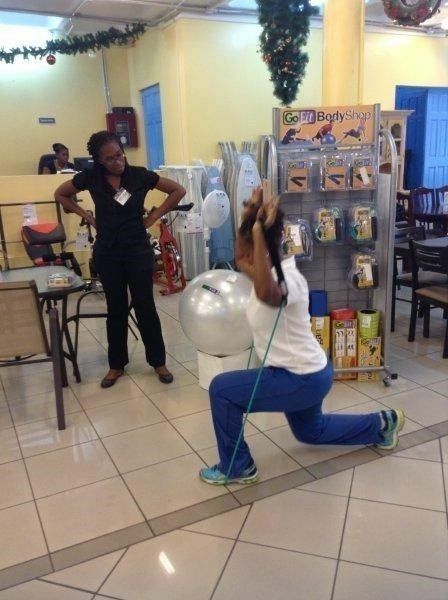 Furniture and appliance store Courts St Vincent is doing its part to ensure that its customers stay healthy and fit. 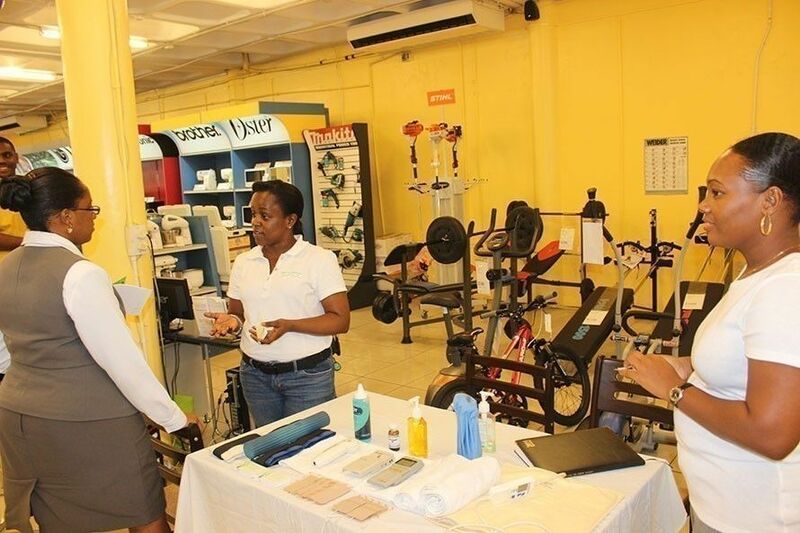 Last Friday at the Kingstown showroom, customers were treated to a demonstration of fitness equipment and techniques by sports and fitness co-ordinator Samantha Lynch, and they also received healthy lifestyle tips from Sylvia Gould of Altcos Wellness Enterprise. Courts is currently offering up to 30 percent discount on home gym equipment, including bench press with weights, exercise bikes, weights, treadmills, massage bars, balls and total gym systems. Customers posting “selfie pics” of themselves working out on the Courts Facebook page also stand a chance of winning a number of great prizes from the store. Healthy living is also a part of staying fit, and Gould drove this point home to customers, who visited her booth on the showroom floor. Armed with a wealth of information, as well as products such as the highly touted moringa teas, powders and capsules, as well as coconut oil, the professional nurse and motivational speaker showed customers ways to incorporate these scientifically proven local products into their diet, which would help in many ways, including giving energy for their workouts. The three-week long fitness promotion runs until June 5. 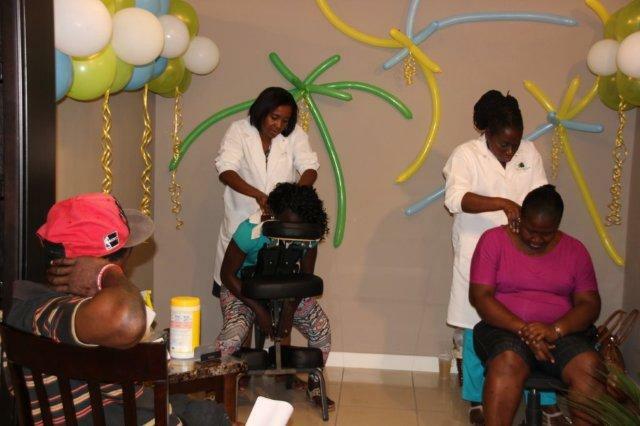 Customers of furniture and appliance store Courts St Vincent Limited got a sweet taste of what it’s like to be pampered, as the store launched its Sweet Retreat Promotion last week. Courts partnered with The Onyx Spa to give their customers free shoulder, neck and hand massages, last Friday at the Kingstown location, where hundreds of customers took advantage of the offer, as well as free blood pressure and sugar checks, which were administered by registered nurses. The campaign, which runs from May 9 to June 6 this year, will see customers receiving fabulous offers and savings on selected bedding products as well as free gifts with purchases. Customers would pay nothing down and nothing for the first 60 days, and also receive discounts on mattresses when they purchase a bed frame, as well as discounts on bedroom furniture with the purchase of a divan. Also in the spirit of Courts Corporate Social Responsibility, Courts will donate a portion of the proceeds of sale of bedding items to a charitable organisation- Guadalupe Home for Girls. Three lucky customers would also receive gift vouchers to visit The Onyx Spa for full treatments. Also taking place currently at Courts is the store’s Keep Fit Campaign, which offers deals and discounts on assortment of weight and bench sets, total gym systems and fitness equipment, and of course, fitness prizes to be won. Courts will have in store this Friday 22nd May, members of the Altcos Wellness Enterprises team, who would offer samples of their products, as well as provide advice and counselling on various health, wellness and fitness techniques. 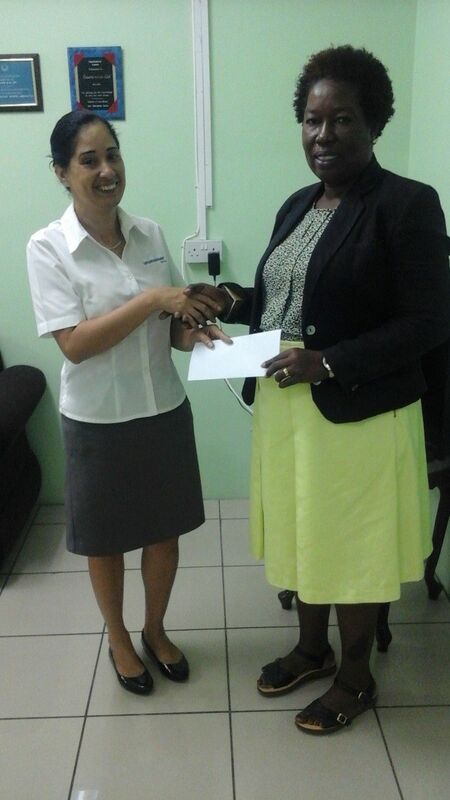 Courts Customer wins US $200 in Cash in Major Appliance Campaign Six Customers to win! 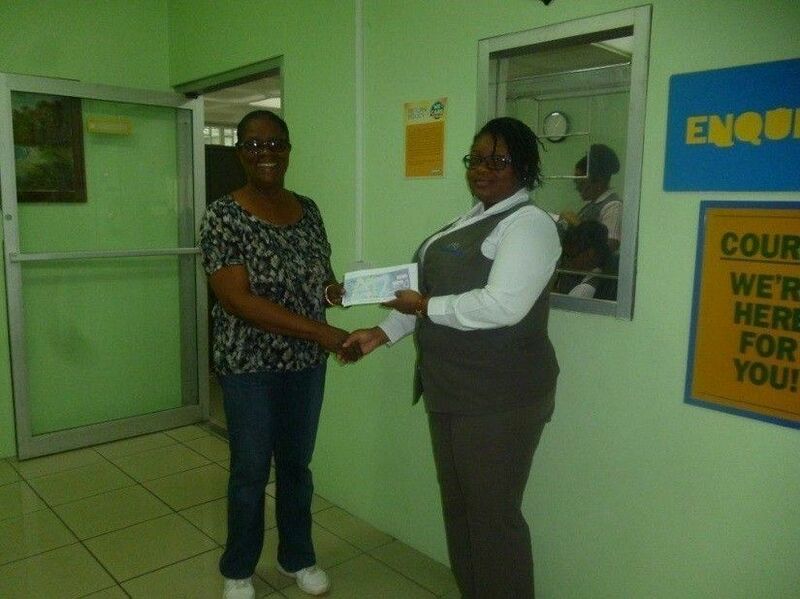 Reese Edwards has been announced as the first of six lucky customers to walk away with US $200 in Cash. This announcement was made earlier this week, by the company’s commercial officer - Ms Lisa Veira, during a short presentation ceremony held on Tuesday April 7th 2015. St. Vincent and Grenadine’s leading retailers of the world’s best brands on April 1st launched a campaign that features the company’s wide range of both small and large appliances and highlights amazing deals and offers available in store. This promotion will continue until the 9th of May 2015. The offers for this promotion include: A chance to win US $200 in cash with the purchase of any appliance valued at $999 and over and a chance to win $11,000 in prizes of your choice with the purchase of any Mabe appliance. Customers, who shop on Courts Ready Finance terms 24 months, pay absolutely nothing for 60 days. You too can win big once you shop at Courts! Visit us online for more information on our many deals and promotions at www.shopcourts.com or on Facebook at Facebook.com\courtsstvincent, We would love to hear from you! 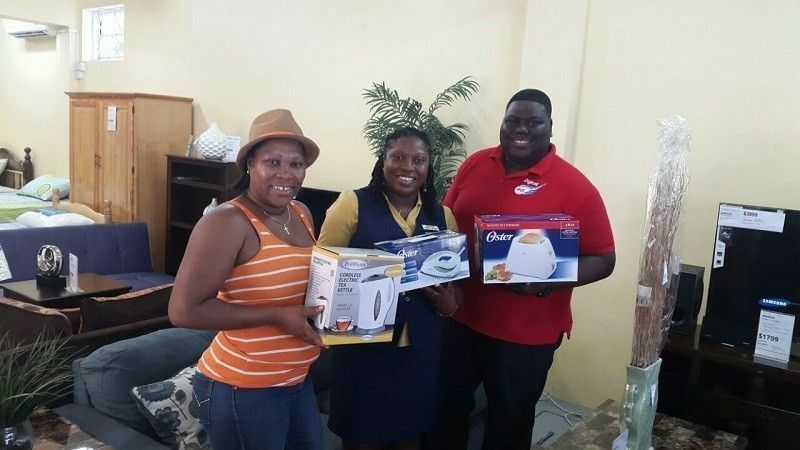 Courts Donate Small Appliances to the GARIFUNA Cultural Inc.
At Courts, we take our Corporate Social Responsibility very seriously, whether it is through our annual schools reading competition, our support of the Health Sector and through many sporting initiatives. It is our aim to do what we can to make better current and dire situations being faced by various non-profit organizations in St. Vincent and the Grenadines. 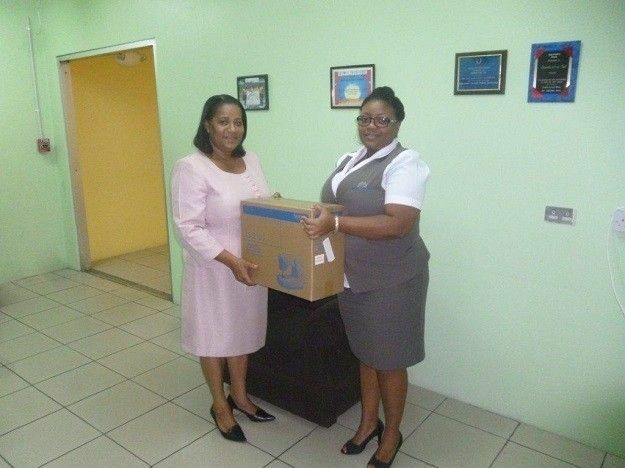 Our latest donation was made on Wednesday 4th March at the Company’s flagship branch. 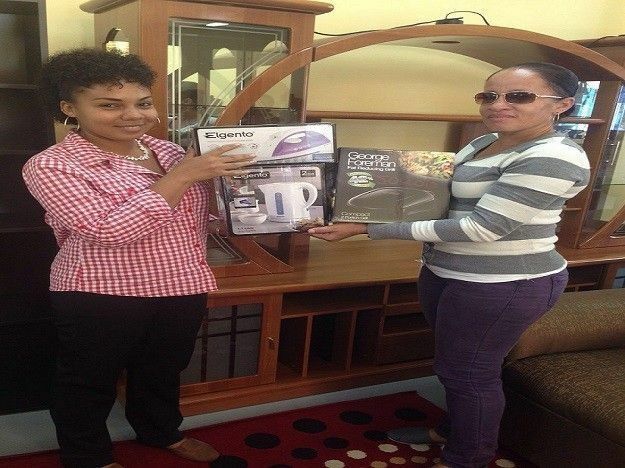 At this hand over, The Courts Commercial Assistant, Ms Indra Grant presented an Oster toaster and Premium kettle to a representative from the GARIFUNA Cultural committee in an effort to raise funds for National Hero’s day scheduled for March 14th. The GARIFUNA Cultural Inc is a non-profit organisation dedicated to the awareness of the GARIFUNA heritage and culture locally, through a diversity of programmes and activities that benefit the community of Sandy Bay. 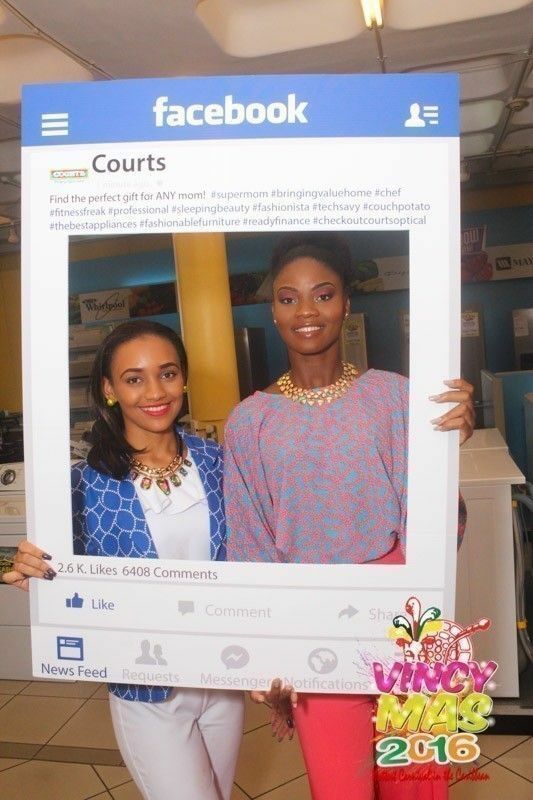 Courts would like to take the opportunity to invite prospective shoppers to visit us on www.shopcourts.com and to hear about our many deals on offers, like the Courts facebook page at facebook.com/courtsstlucia. We look forward to serving you. Ottley Hall resident Celia Frederick was the most recent beneficiary of Courts Corporate Social Responsibility in action. Weeks after her home was partially gutted by an electrical fire, Frederick received a General Electric stove to replace the one she lost in the blaze. Frederick expressed her gratitude to Courts for the gesture, which she indicated would be a major part of her road back to recovery. She said that she was aware that she had some way to go before her life cold get back to normal, but the contribution of the stove from Courts will make the process much easier. 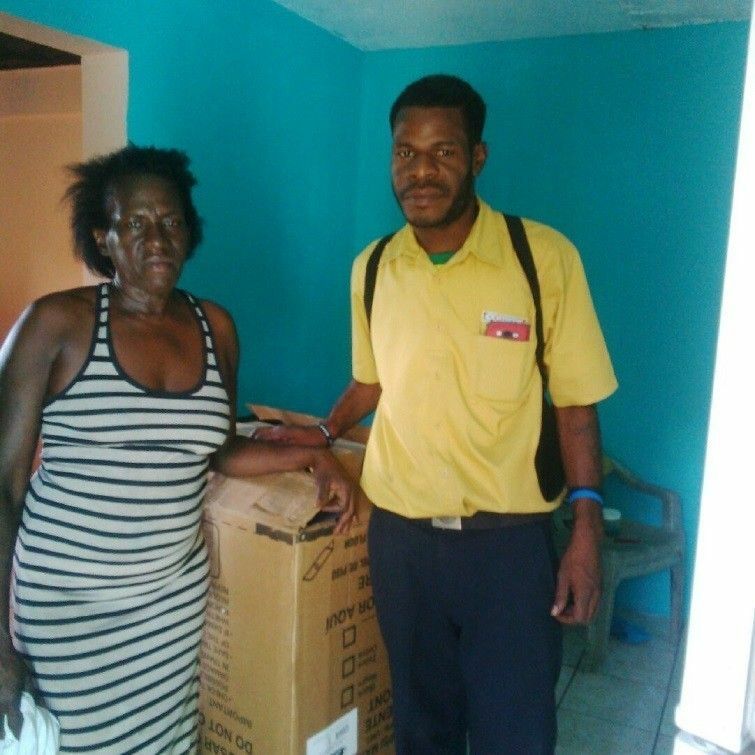 Courts Commercial Manager Lisa Veira, pointed out that the donation of the stove was a small but meaningful gesture to the homeowner, who has lost practically everything through an unfortunate circumstance. Veira said that the gift shows that Courts reach goes beyond the sale of furniture and appliances, but also towards the welfare of its customers and other citizens of St Vincent and the Grenadines. For years, Amy Richards has been a loyal customer of Courts St Vincent Limited, and has purchased furniture, appliances, electronics and other items from the country’s leading furniture and appliance retailer. 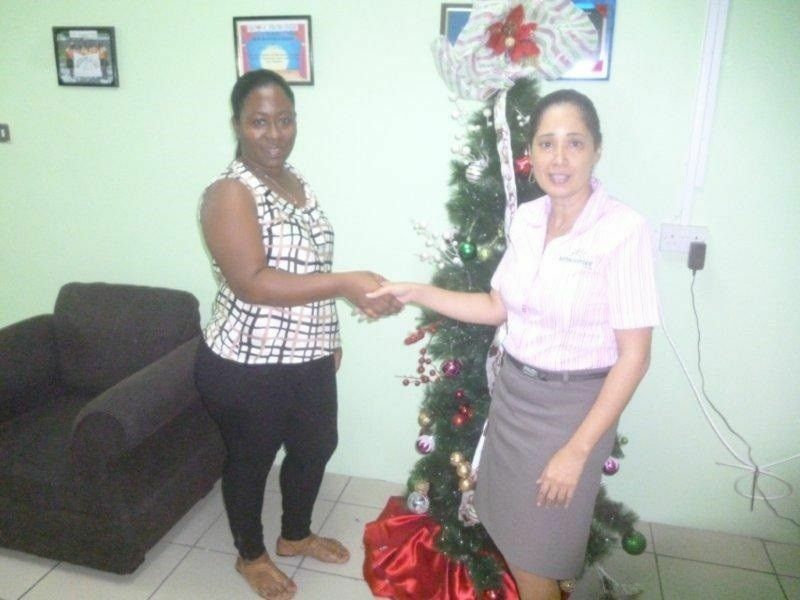 This week, the Fountain/ Belair resident was rewarded for her loyalty, with the LG Flex Curved smart phone; the world’s first curved smart phone, after winning Courts’ LG Christmas campaign. Richards, who purchased an LG stereo system during the Christmas season to qualify for the draw, said that she felt good about her after- Christmas gift, which would replace her out-dated cell phone. She said that the gift was an unexpected but appreciated one. “I am very happy about winning. I didn’t really think I was going to win, but I hoped to win,” Richards, a former teacher and head teacher said. She said that this was the first time that she has won anything from the furniture and appliance store, and was very appreciative of the phone, which she said she intends to put to full use. Richards’ prize was presented by Commercial Manager Lisa Veira, with Courts General Manager Michelle Samuel and Commercial Assistant Indra Grant who were on hand to congratulate her. 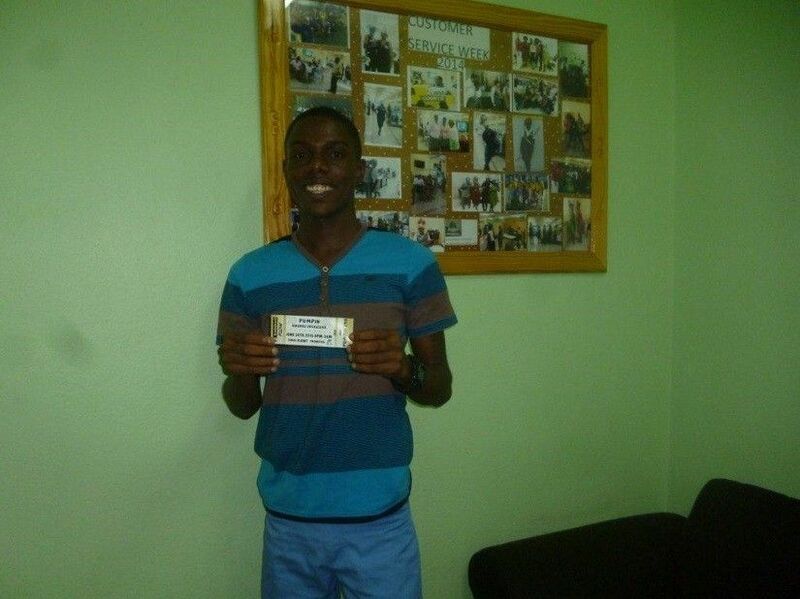 Meanwhile, school teacher Ledson Jack won himself the ultimate Samsung Entertainment Package, as part of the Christmas campaign. The Diamonds Village won himself a Samsung Galaxy S5, a Samsung tablet and a Samsung stereo unit, after purchasing a Samsung Grand smart phone. Jack and Richards are two of the many satisfied Courts customers who were rewarded for their loyalty to Courts as they shopped during the “Make their Christmas Wishes come true campaign." 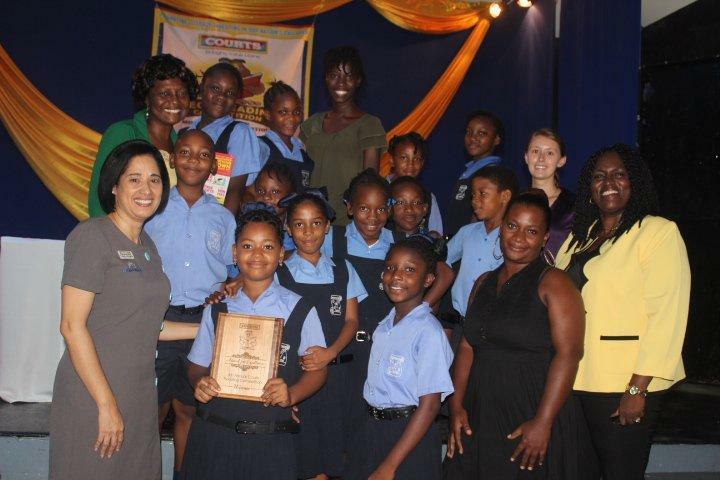 The stage is set for the local leg of the sixth annual Courts Schools Reading Competition, which was launched in grand style on Wednesday September 10th 2014. 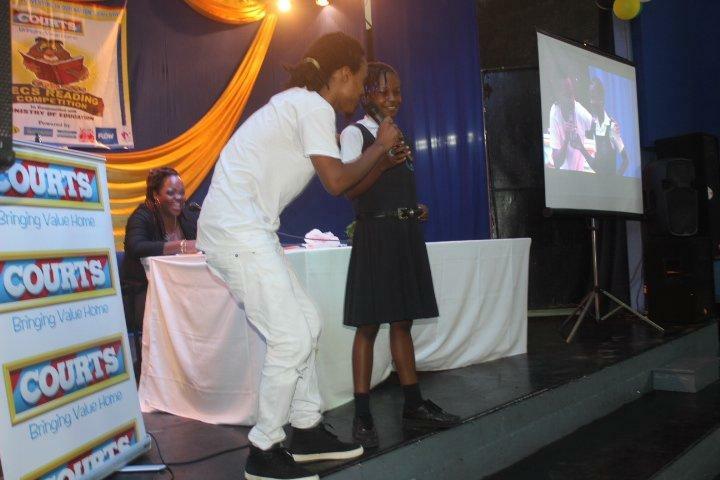 Seven finalists from primary schools around St. Vincent and the Grenadines will be selected for the National finals to be held on September 25th 2014. The winner of the National leg of the competition will get the privilege and honour of representing ST. Vincent and the Grenadines at the Regional finals to be in Grenada on Thursday October 16th 2014. 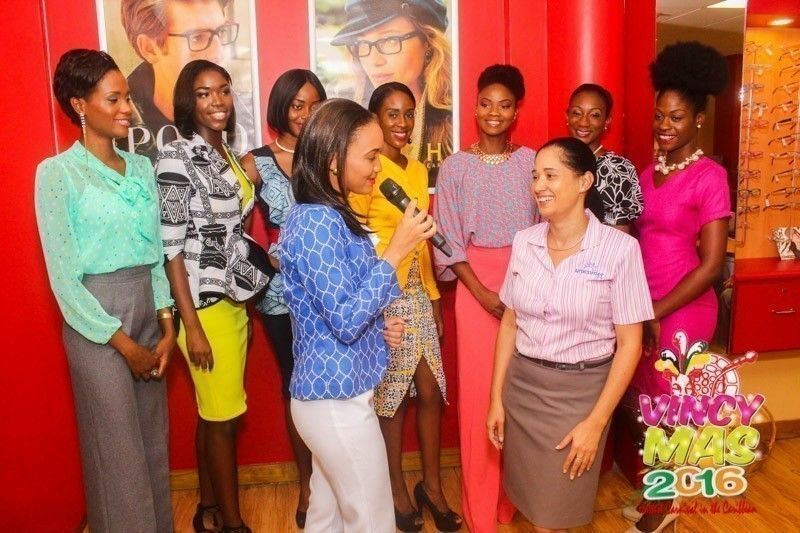 Courts ST. Vincent Senior Manager, Michelle Samuel, spoke on behalf of the company at the launch. She described the competition as one that continues to be valuable to the students who participate at both the preliminary and national levels and is overwhelmed at the growth of this competition over the past six years. She also said that Courts was proud to have launched a competition that continues to fight illiteracy in students between the ages of eight and nine years old and aid in their development. 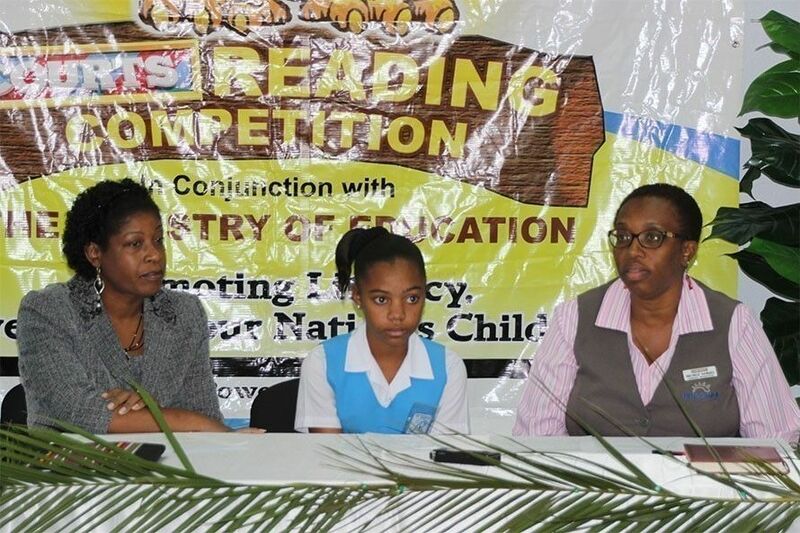 This Reading Competition held in collaboration with the Ministry of Education’s Curriculum Development Unit will see the winner walking away with $2000 in cash plus a laptop. The winning School will also walk away with $2000 in cash. At the Regional leg of the competition, the winner will compete with champions from St.Lucia, Antigua, Dominica, ST. Kitts & Nevis and hosting country Grenada. 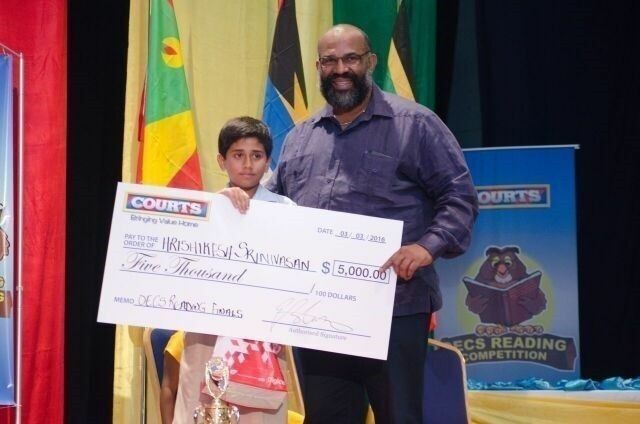 They will compete for the coveted title of Courts OECS Reading Champion 2014, an additional $5000 cash for themselves plus the winning school will also receive $5000 in cash. The students will be required to read two passages, a narrative and a news piece. Each student will be given one minute to peruse each passage before reading. 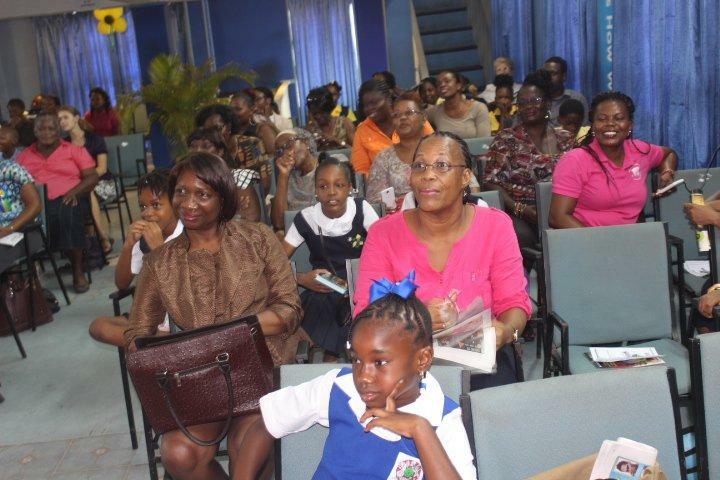 The competition will access the students reading fluency, accuracy, enunciation, confidence and expression and is open to all primary schools throughout St Vincent and the Grenadines. 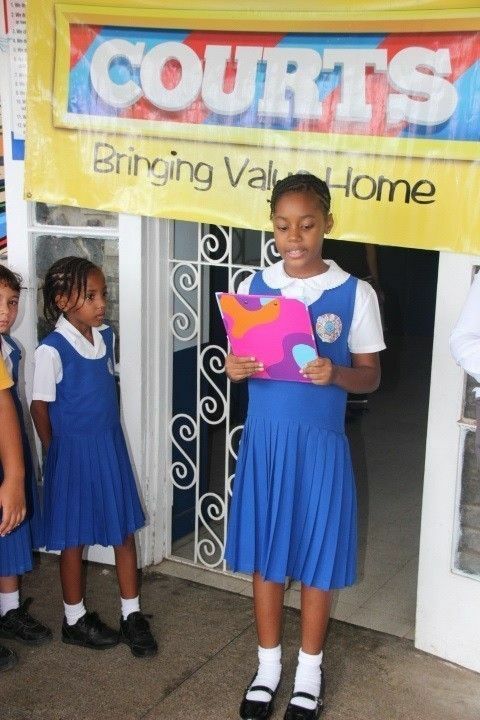 Kristen Barbour of the St Mary’s Roman Catholic School was last year’s winner and represented St Vincent and the Grenadines in the OECS finals that were held in St. Lucia last year. 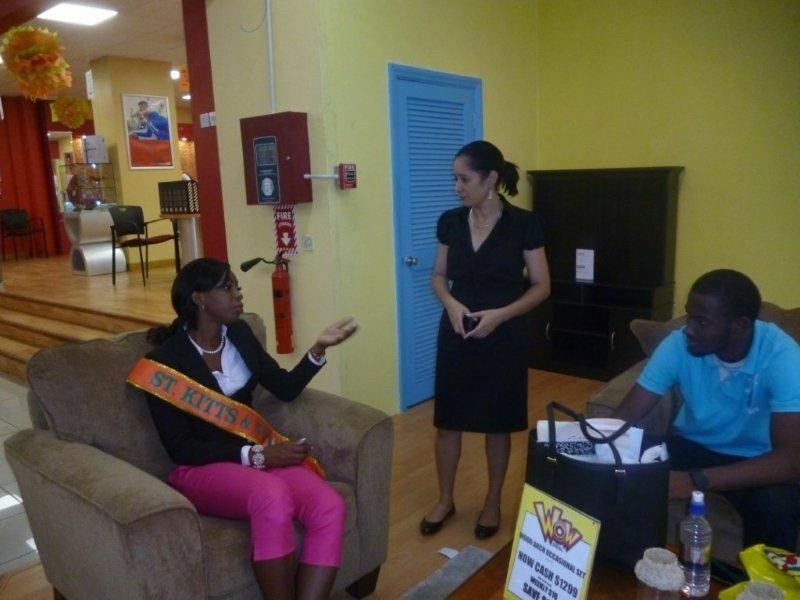 Furniture and Appliance store Courts St Vincent Limited held its first Health and Safety Awareness Week last week. According to Commercial Officer, Lisa Veira, the week ran from August 11 to 16, and included a number of activities geared at bringing further consciousness to the need for not only staff, but also customers to remain safe and healthy at the workplace and also at their homes. 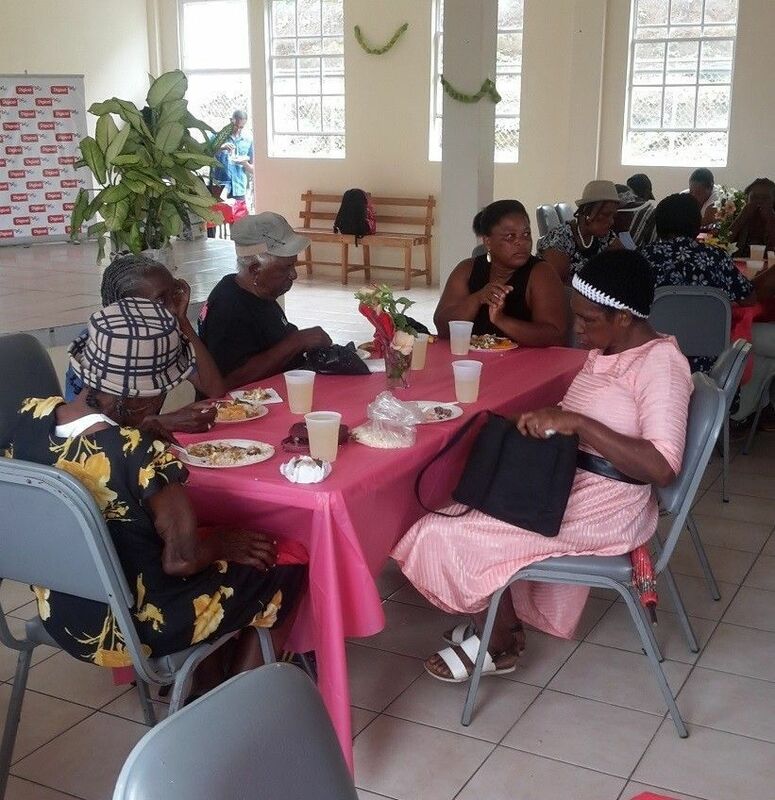 The highlight of the week was a mini health and safety fair that took place in Kingstown on Wednesday, August 13, and on Friday, August 15 in Bequia, showcasing the benefits of choosing a healthy lifestyle, which boosts an individual’s chances of enjoying a happier and longer life. Courts Customer Service Officers and corporate partners demonstrated and explained various aspects of health and safety, including proper safety attire for the workplace, home security systems and ways to adapt and sustain a healthy lifestyle. Customers were also able to receive blood and pressure checks. Corporate partners involved in the exercise included the community nursing department, Altcos Wellness Centre, Metrocint General Insurance, Shepherd’s Trading, Third Eye Security Company, Andrew Providence, and Health Springs. A 10 per cent discount was offered on purchases of any bedding or small domestic appliance, since it is felt that these items contribute greatly to the promotion of a good night’s rest and healthy food preparation. Veira said that the week of activities was extremely successful, since the awareness of health and safety was heightened for employees, and the people they serve on a daily basis. “We at Courts have a social responsibility to provide a healthy and safe work and shopping environment for both our employees and customers. When Nadia Crickshank-Muckett was unable to make it into Courts to deal with an “issue” on her account, Courts officials decided to travel to Barroullie to have it sorted out. 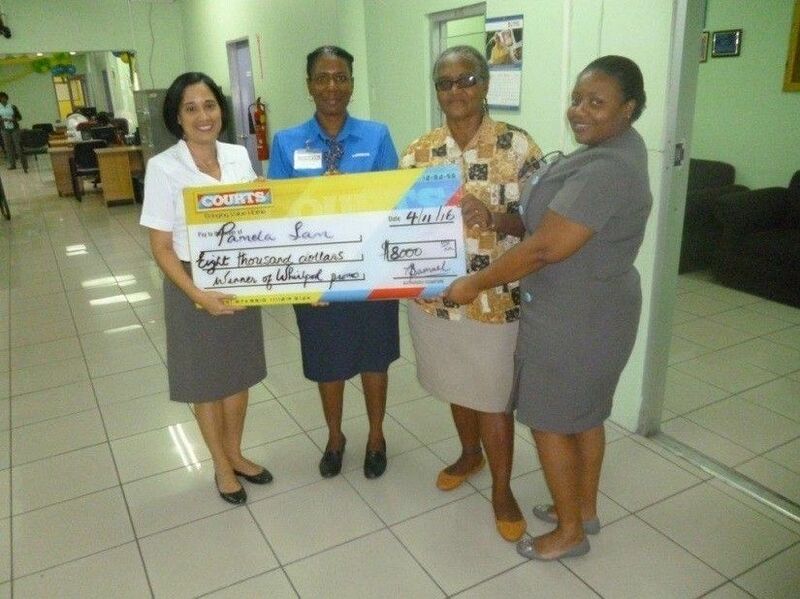 The issue turned out to a pleasurable one, as Muckett, a teacher at the Barrouallie Government School, had just won the Courts/MABE “Win Your Dream Promotion” which saw the long-time customer having her dreams fulfilled to the tune of $11,000. 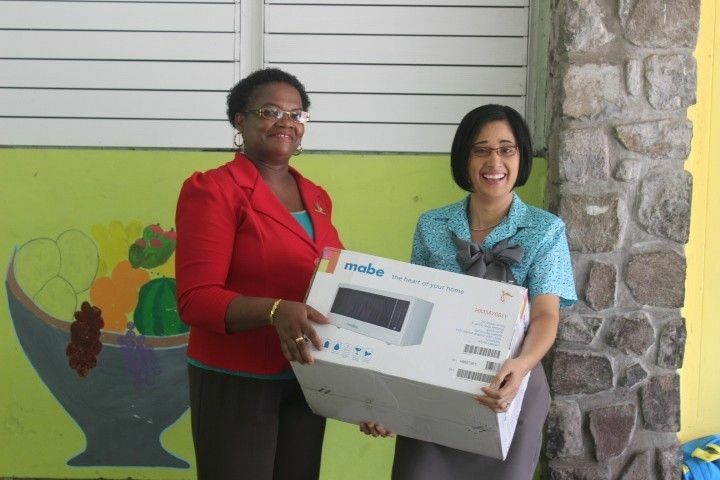 Courts Country Manager Michele Samuel explained to the overjoyed grade four teacher that her purchase of a MABE four-burner stove in the month of May qualified her for the draw, and congratulated Muckett as she informed her that she was the big winner of the reward. Surrounded by cheering students and teachers, the animated educator said that she was excited with the news, but indicated that she had a feeling that something was up when she received the initial phone call. “I was thinking that something is wrong with the warranty, but when they said that they couldn’t give someone the paper for me to sign, I suspected that I won something,” Muckett said. Although Muckett was informed that Courts would finance any of her dreams up to the value of the prize, the grateful customer said that a majority of the winnings will be going back to Courts. “There are so many things but I know for sure I want my flat screen TV because I am a big cricket fan, and when CPL cricket starts, I want to sit down and watch dem boys knock fours and sixes. Muckett said that she was also planning on purchasing a refrigerator, but now she can save that money and let her dreams do the purchasing. Muckett also had high regards for Customer Service Representatives Indra Charles, who sold her the stove, as well as Michelle John, from whom she purchased another item. She said that years of being a customer at Courts has finally paid off, as she had always entered the promotion, with hopes of winning a prize, and now, her dream has come true. Those members of the Nanton family, who escaped death when a landslide destroyed their home during the Christmas floods, have been presented with a stove, compliments Courts. Courts Senior Marketing Executive Alexis John and a delivery team from Courts transported a 30 inch Indurama stove, fully fitted with a 20 pound gas bottle, hose and regulator, to the family in Rose Bank, much to their surprise and appreciation. Five members of the close-knit family died when a landslide displaced one home, which toppled over on to another, where family members were. Some members of the family were rescued, suffering a variety of injuries. 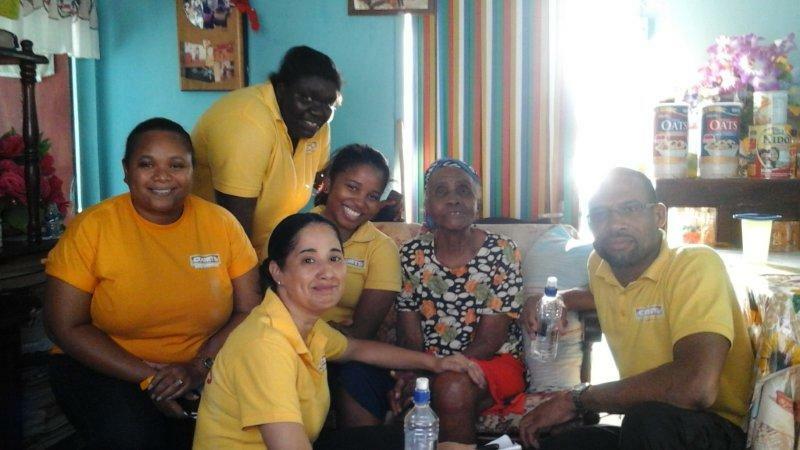 Mr Wendell Nanton, one of the survivors, said that the family was deeply grateful for the gesture, and thanked Courts for extending care and consideration to the family in its time of mourning and need. He said that the appliance was definitely an essential need, seeing that the family had lost all their possessions in the landslide. 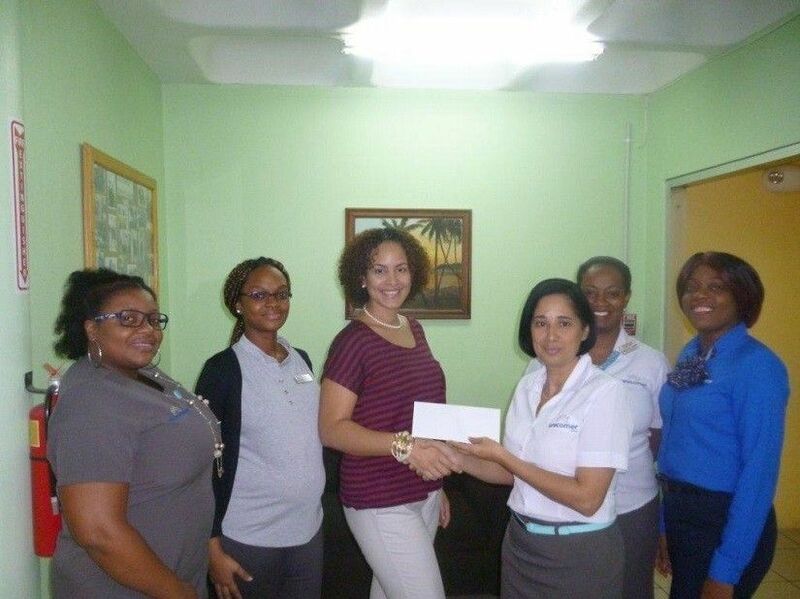 The company’s charity was also extended to two of the shelters in the islands North Leeward area. The furniture and appliance store donated to the Rose Bank Community Centre Shelter a MABE 11 cubic foot refrigerator and an Indurama 24-inch stove, also fitted with a 20 gas bottle, regulator and hose. The persons previously housed at the Buccament Bay Secondary School and who have since been relocated to the Rillan Hill Community Centre, were also the recipients of a MABE fridge and Indurama stove. John stated that the gesture was made in an effort to make persons more comfortable while they are housed at the shelters and are all further indications of the company’s commitment to the recovery efforts.